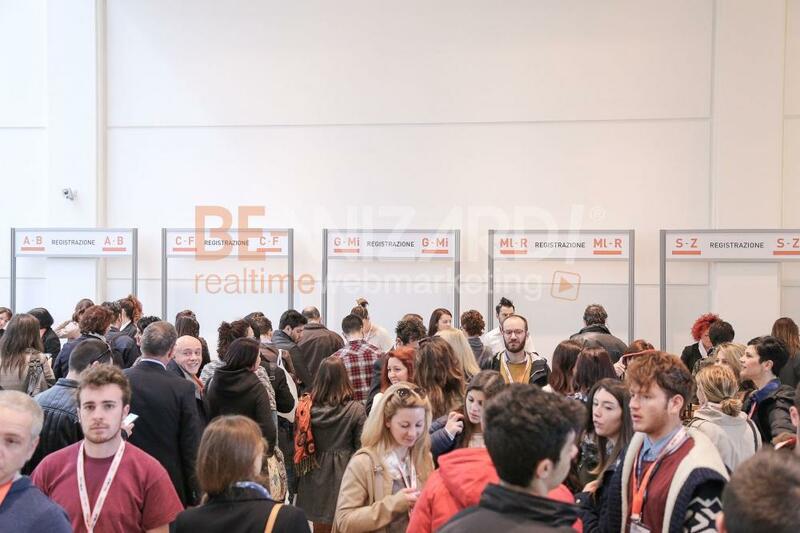 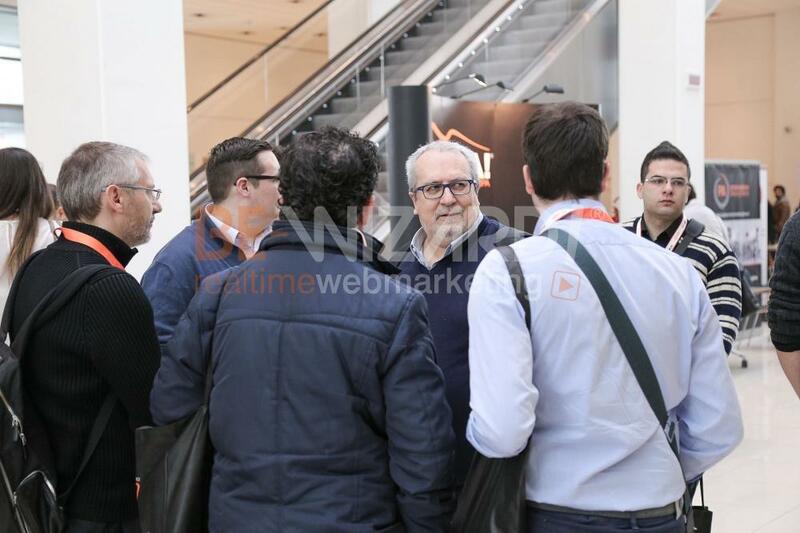 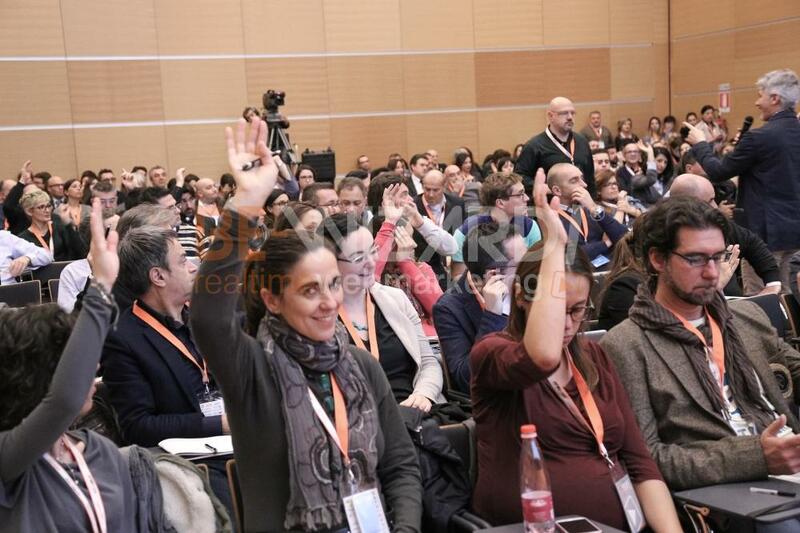 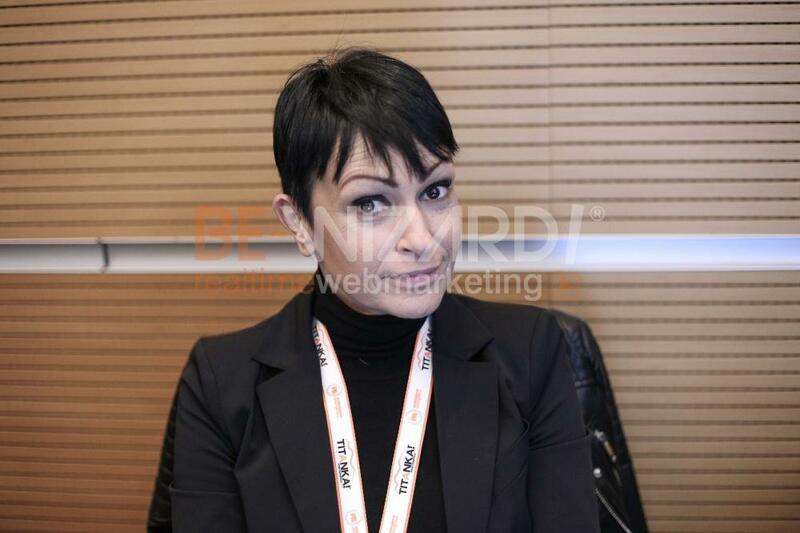 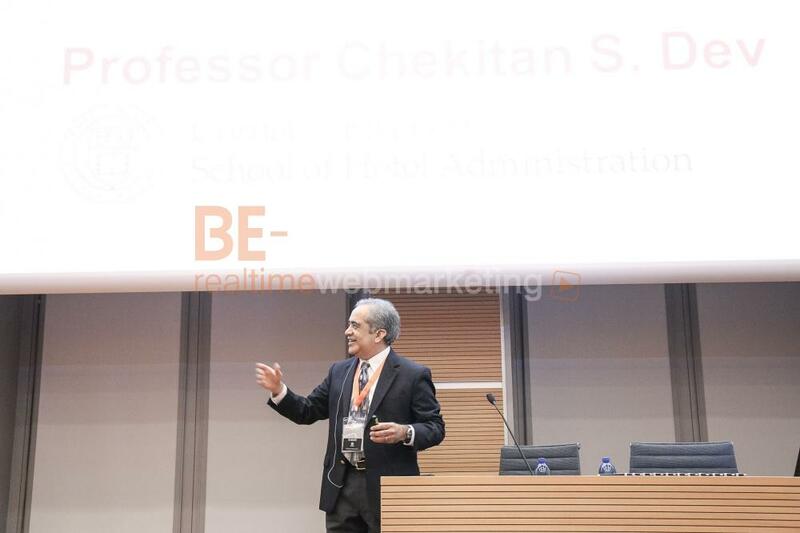 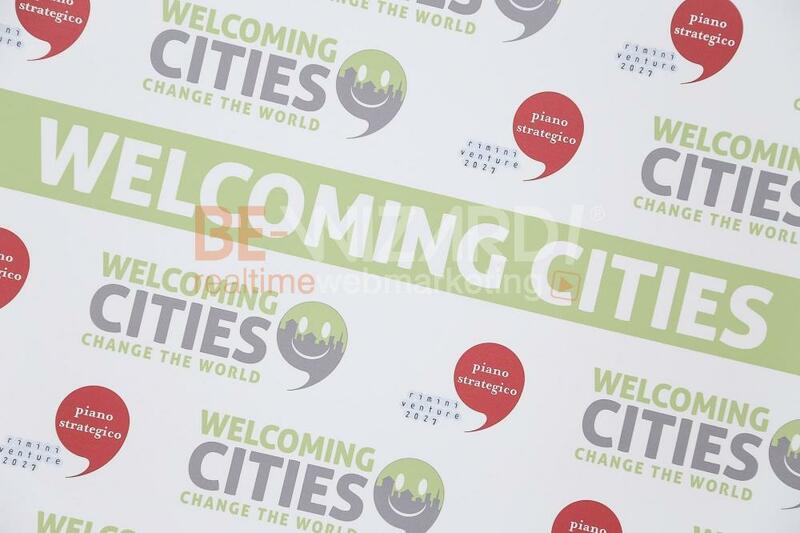 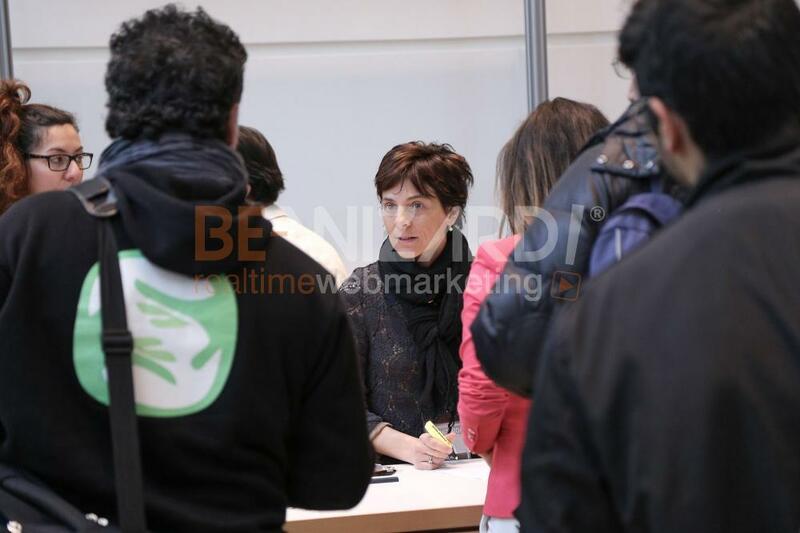 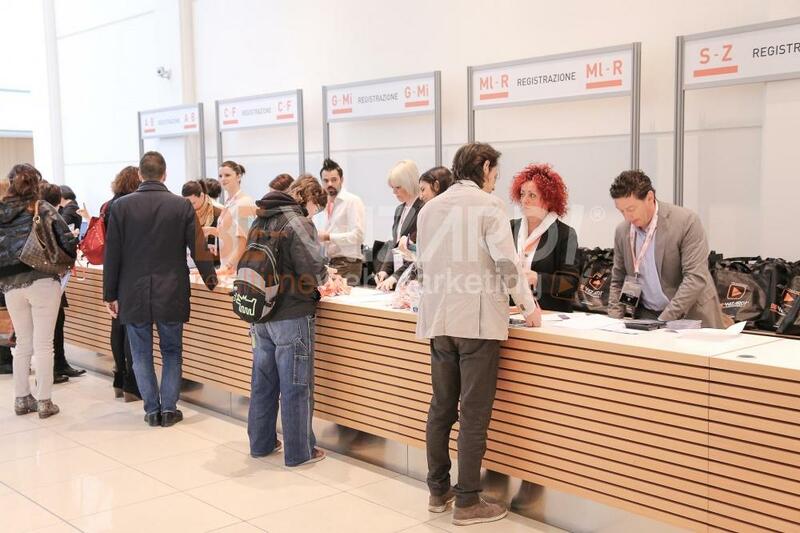 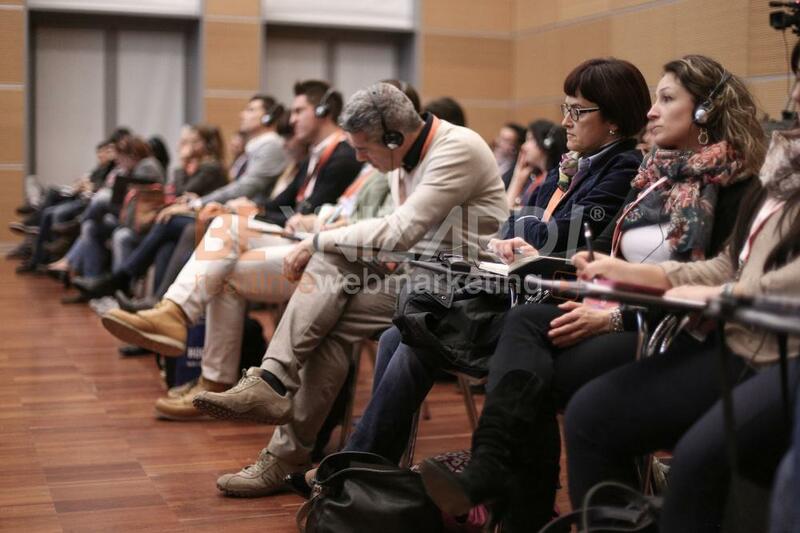 Many changes characterized the latest edition held in 2014, the year of specialization, in-depth analysis workshops, new spaces and side events, and especially Real Time Web Marketing, the inspiring theme of this incredibly successful sixth edition. 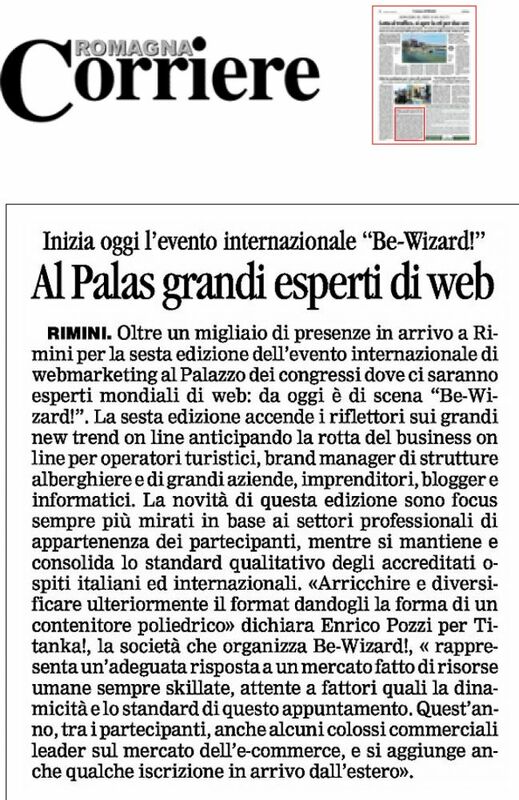 We chose the most beautiful, spacious and futuristic room of Palacongressi in Rimini, in order to let ideas and inspiration freely spread out. 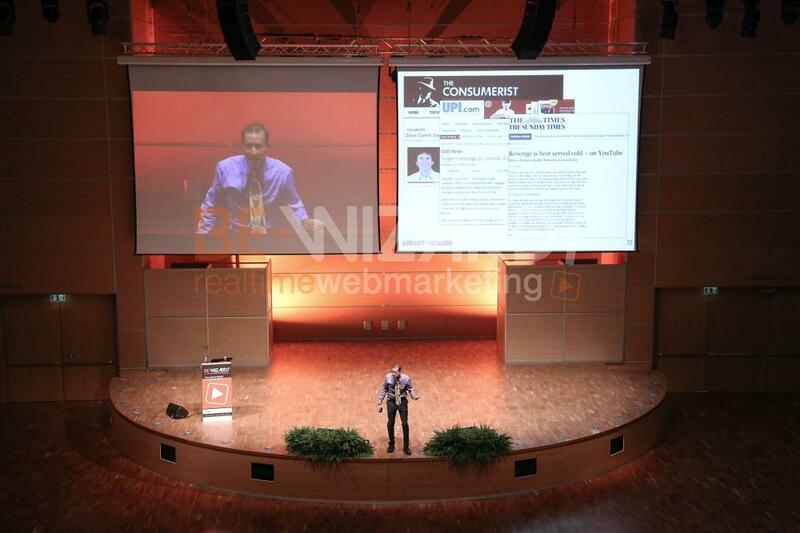 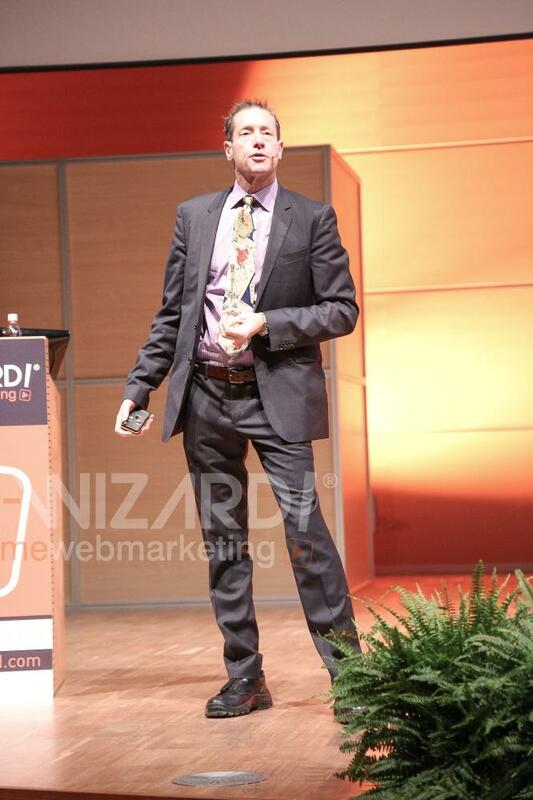 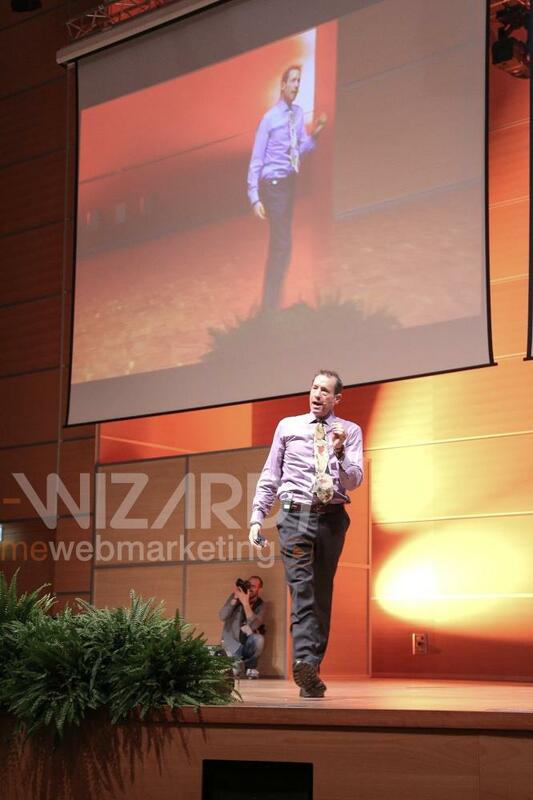 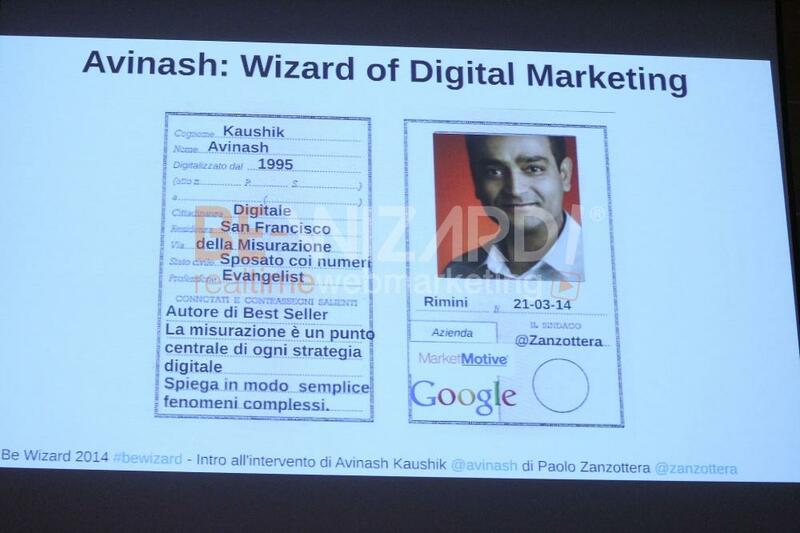 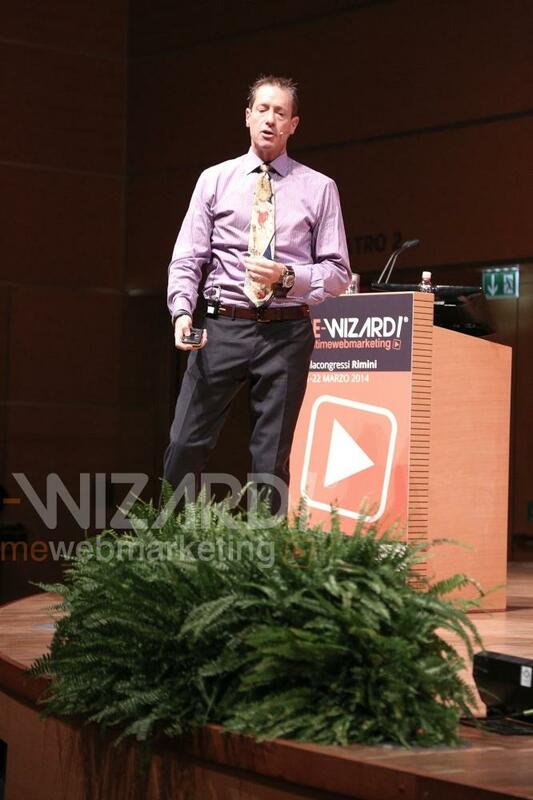 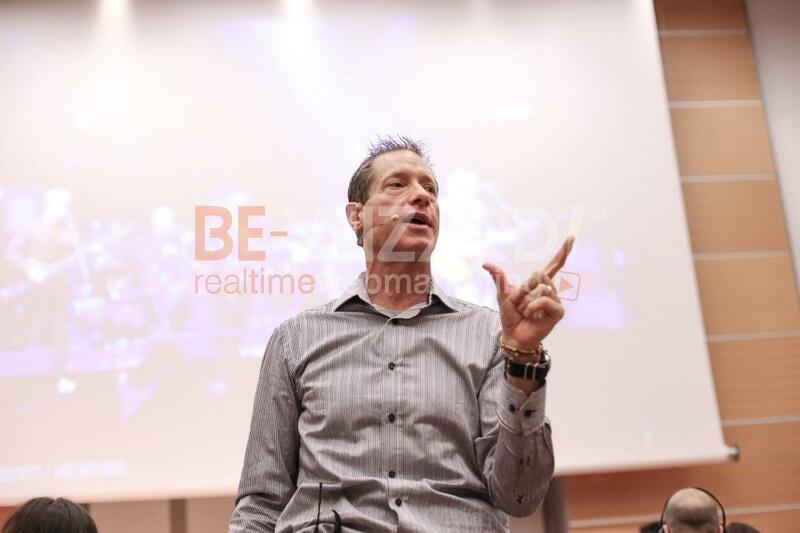 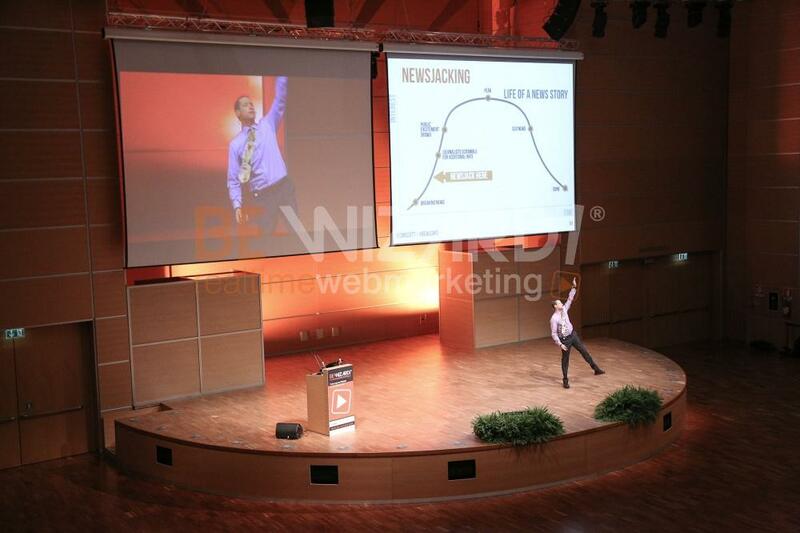 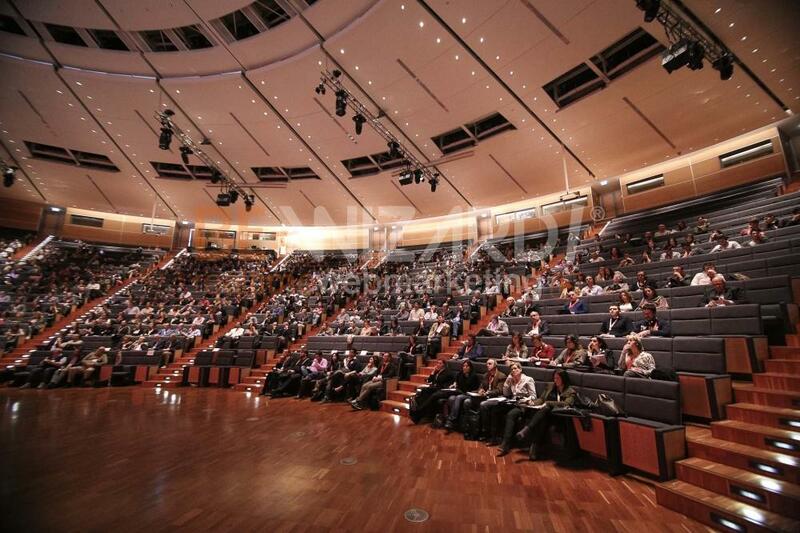 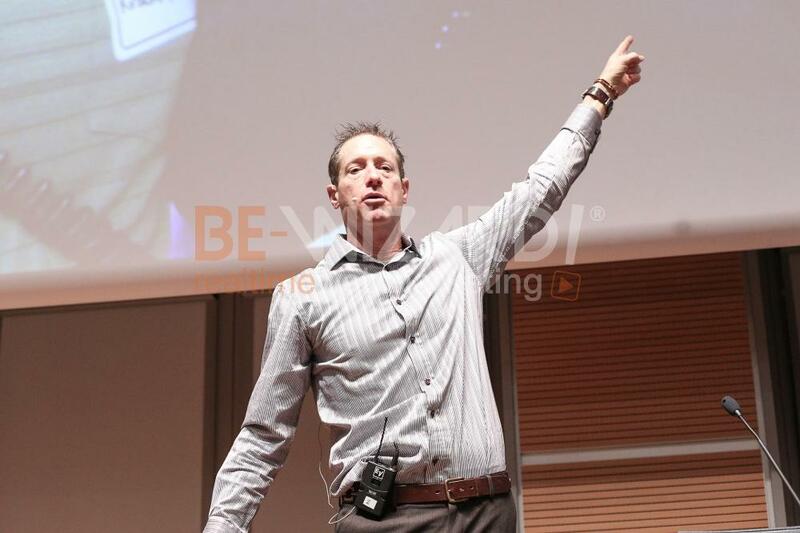 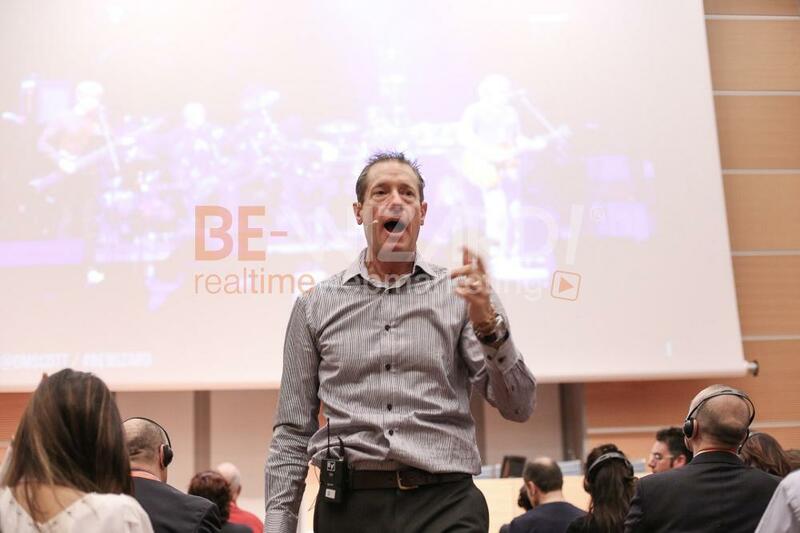 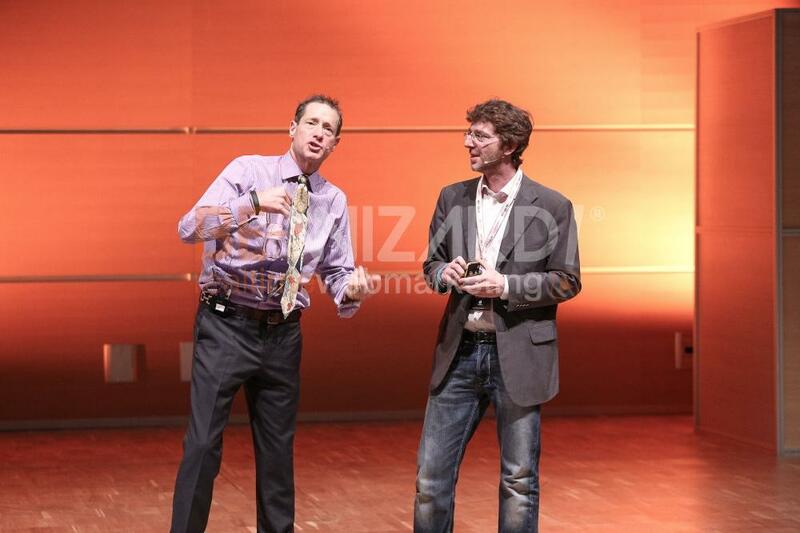 David Meerman Scott, Avinash Kaushik with a video contribution, Grag Jarboe, Justin Cutroni and Paolo Zanzottera, in the new role of moderator, enlightened the minds of almost a thousand participants. 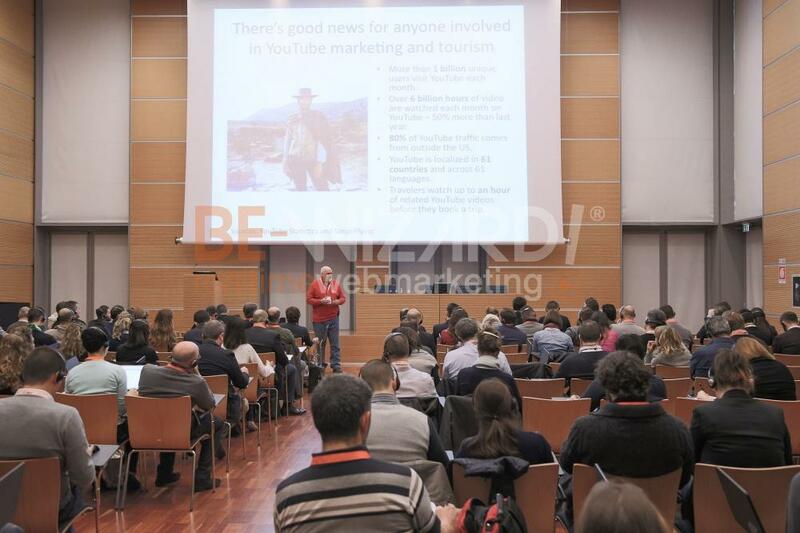 On Friday afternoon and Saturday morning, the specialization sessions proposed specific programs dealing with: tourism, territorial reception, e-commerce, advanced web marketing. 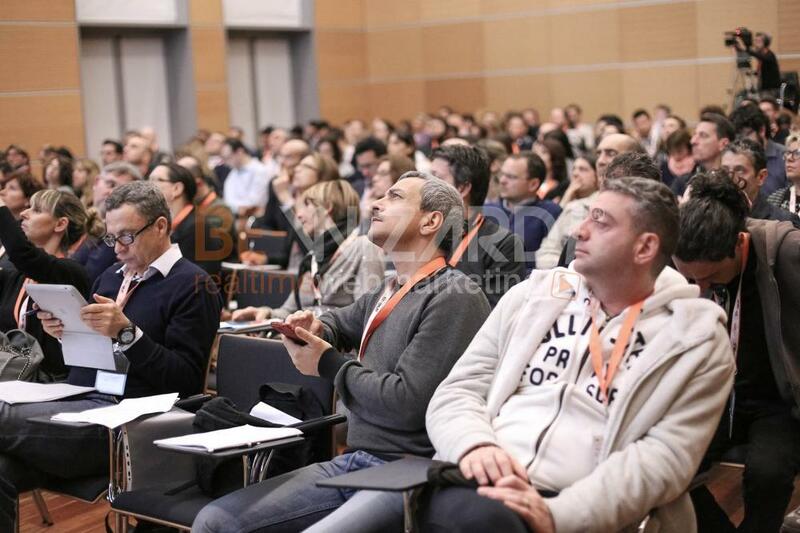 On Saturday afternoon, 5 in-depth analysis workshops allowed the further enrichment of the event with project presentations, new contributory topics relating to web marketing and sample case studies. 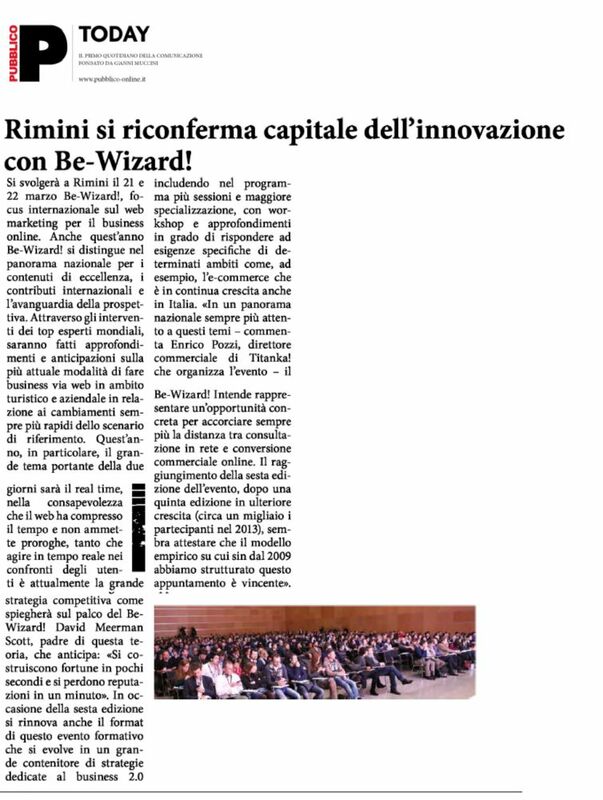 On the occasion of BE-Wizard! 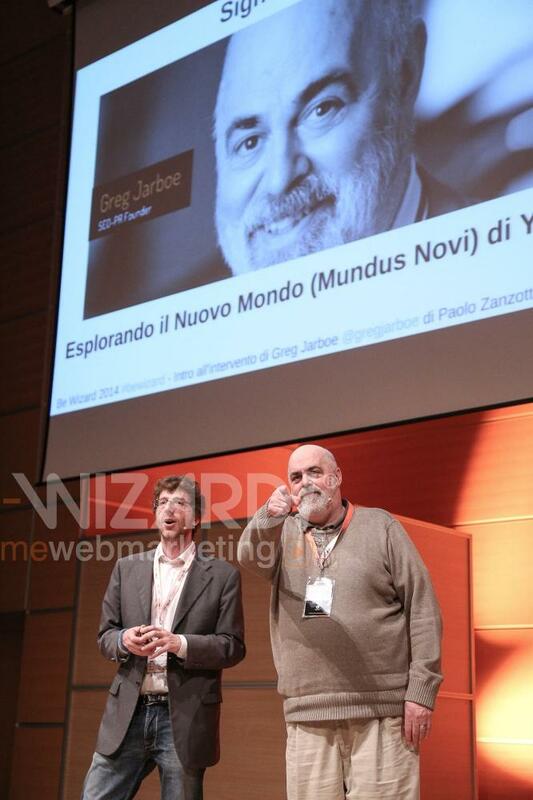 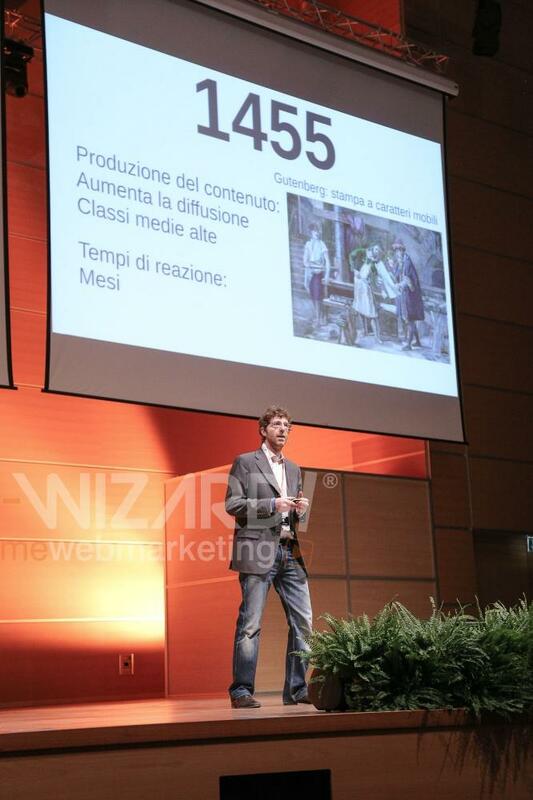 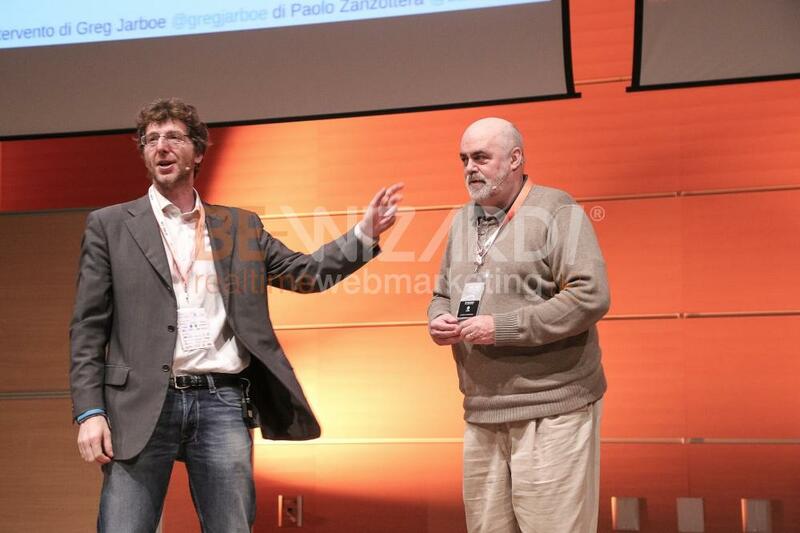 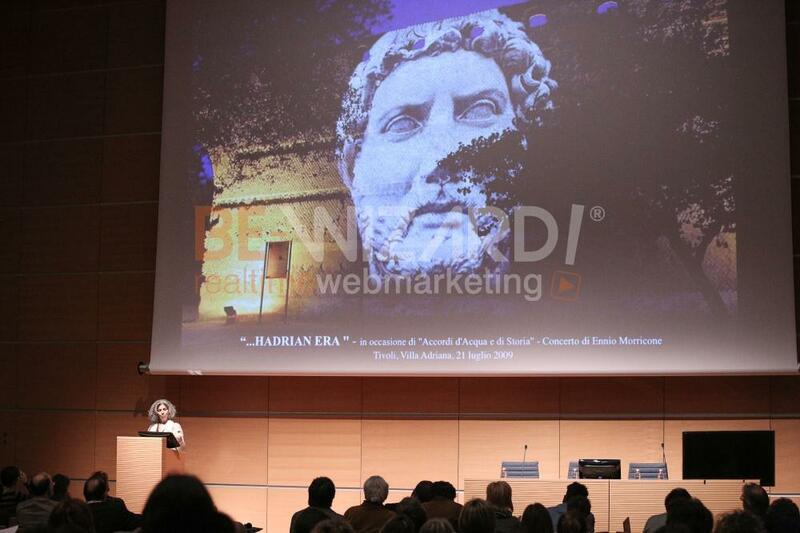 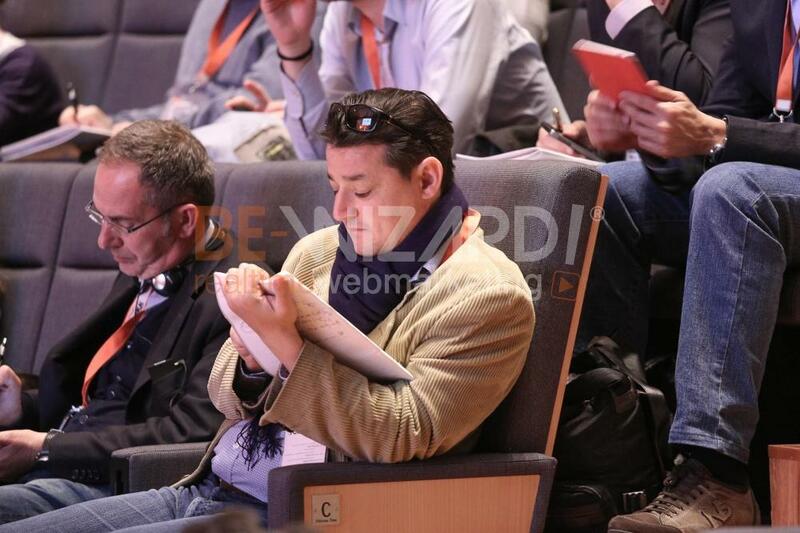 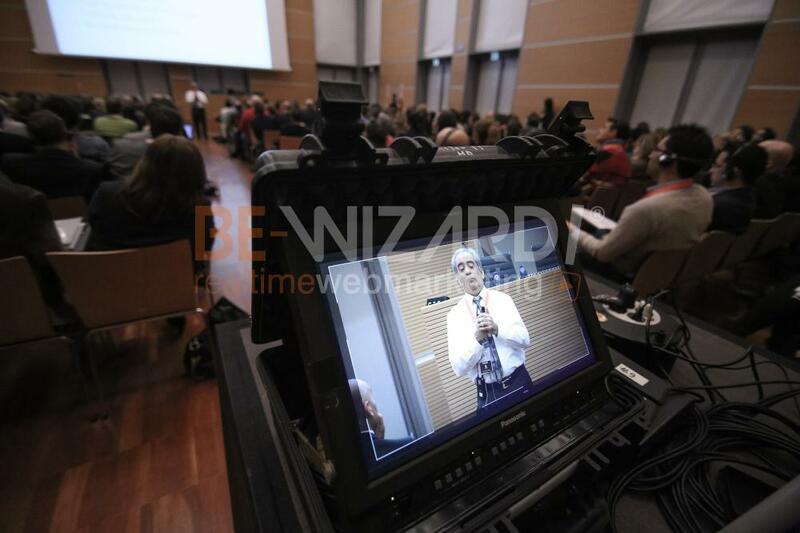 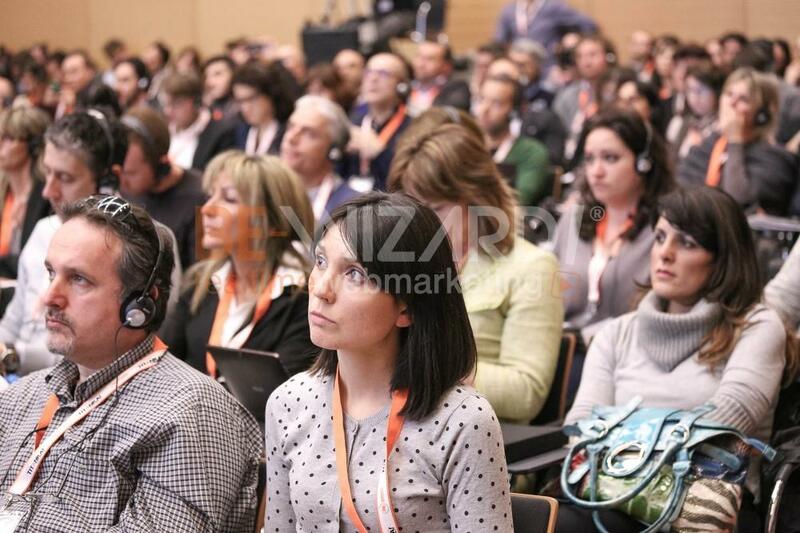 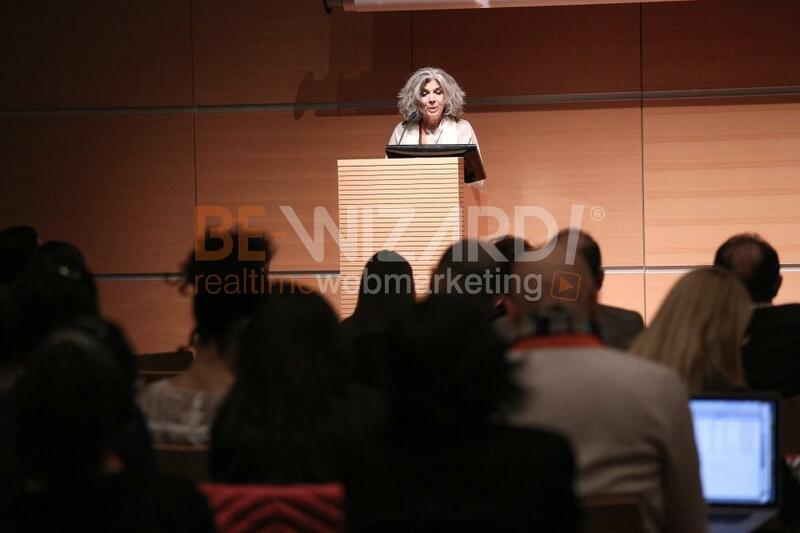 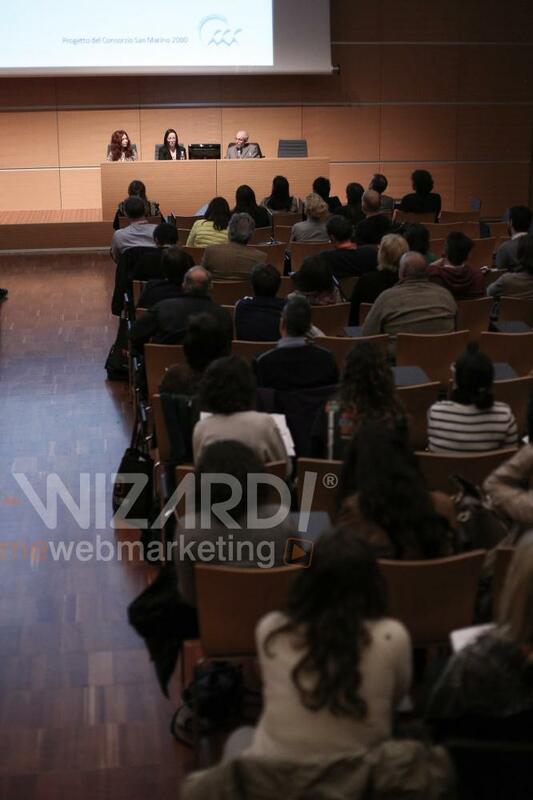 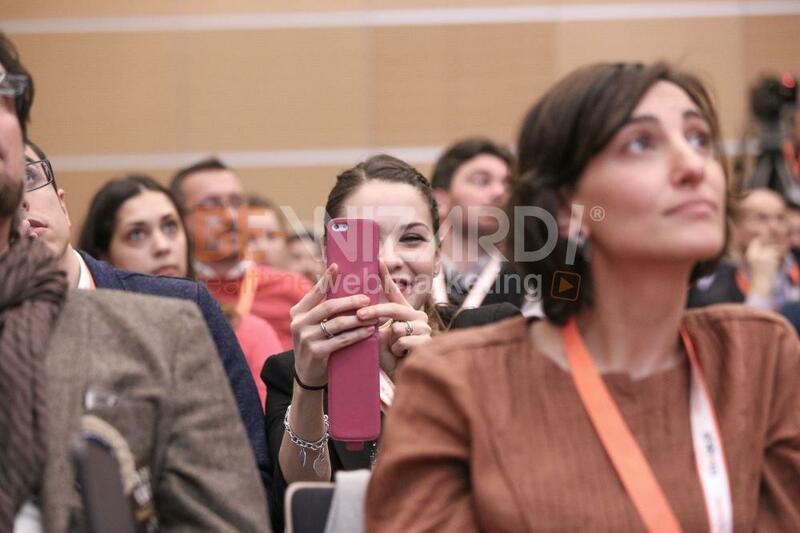 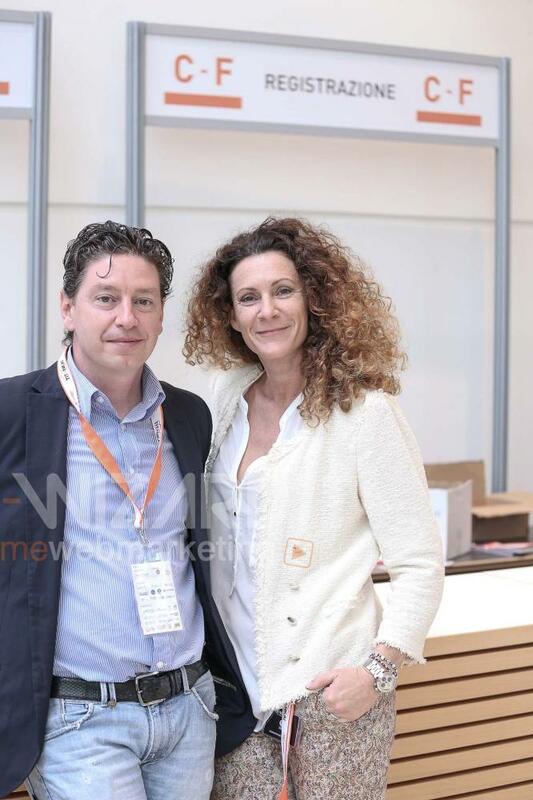 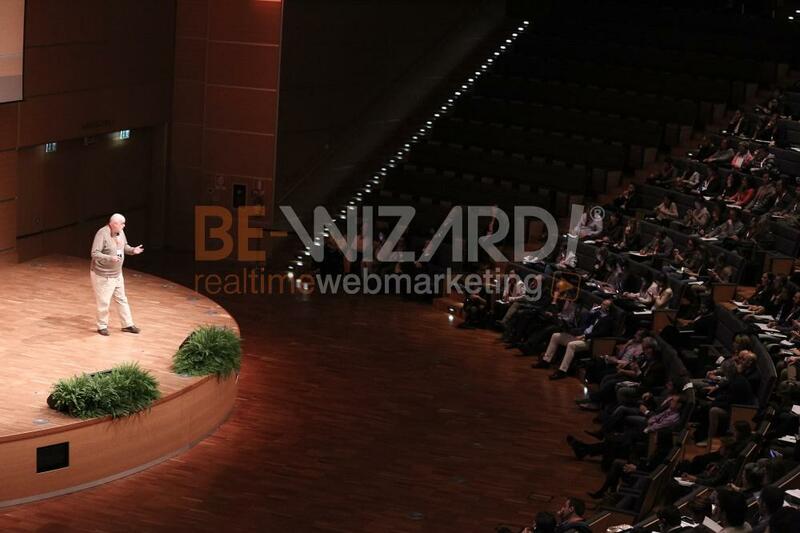 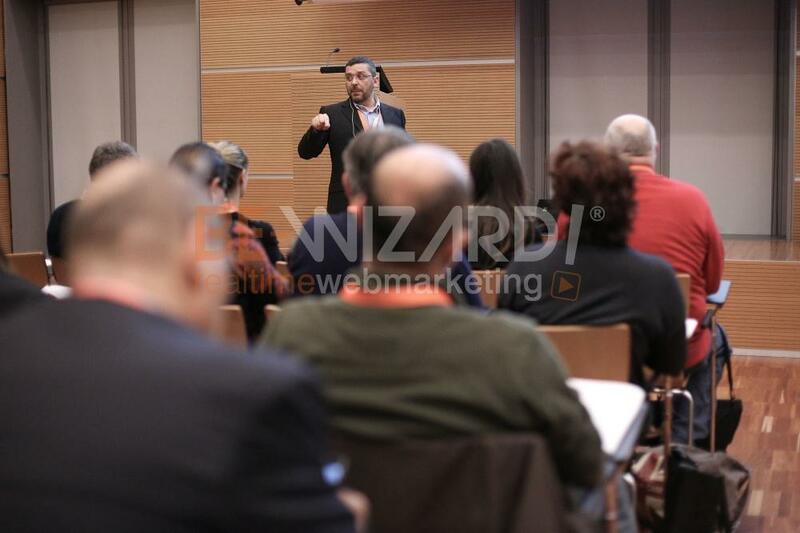 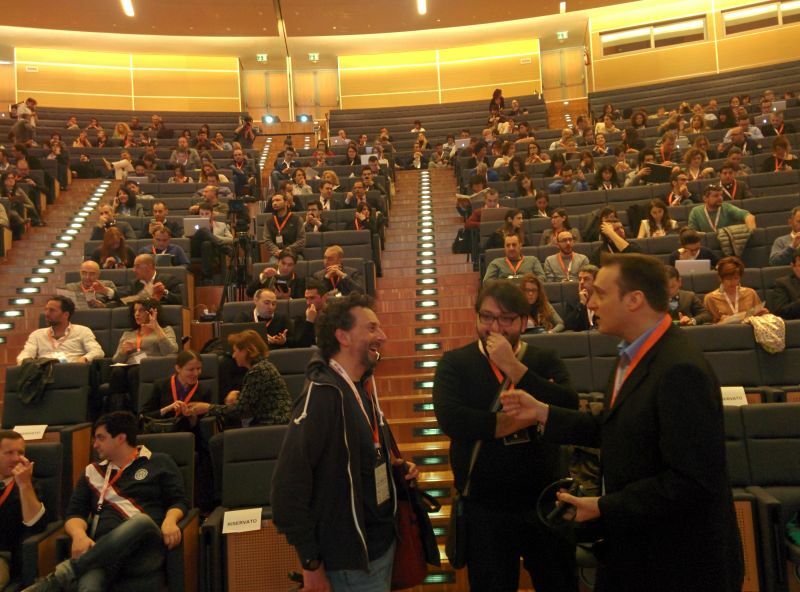 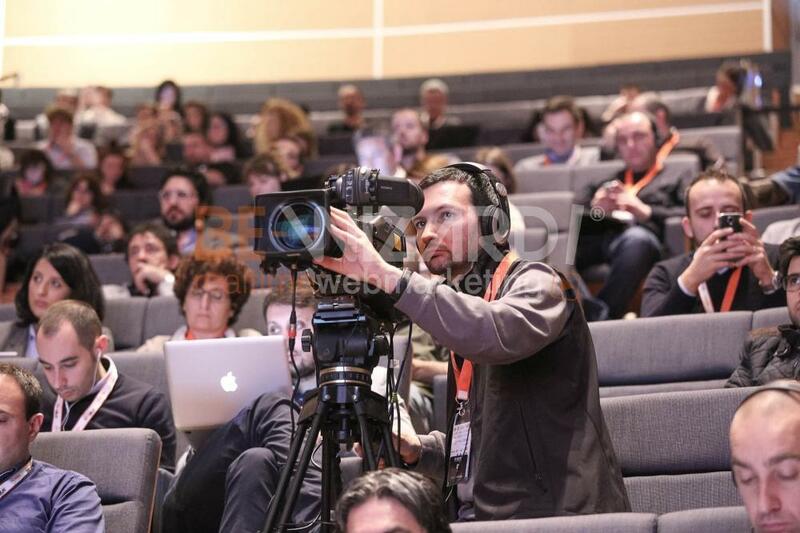 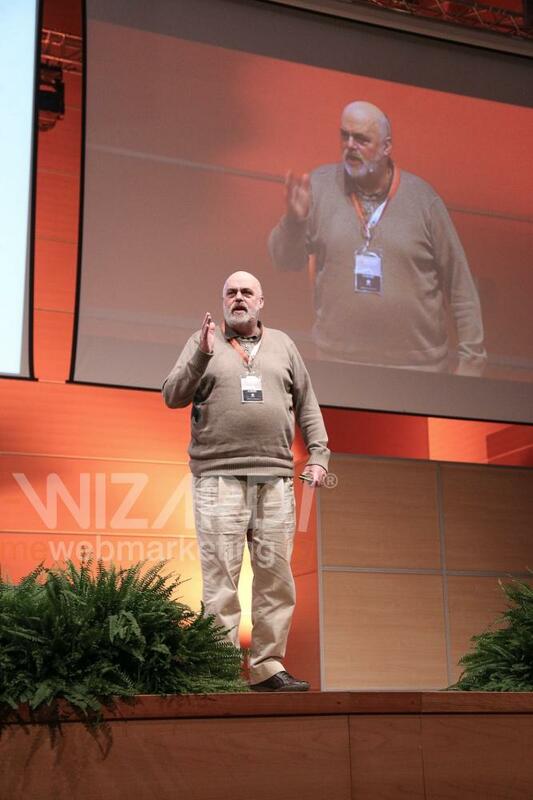 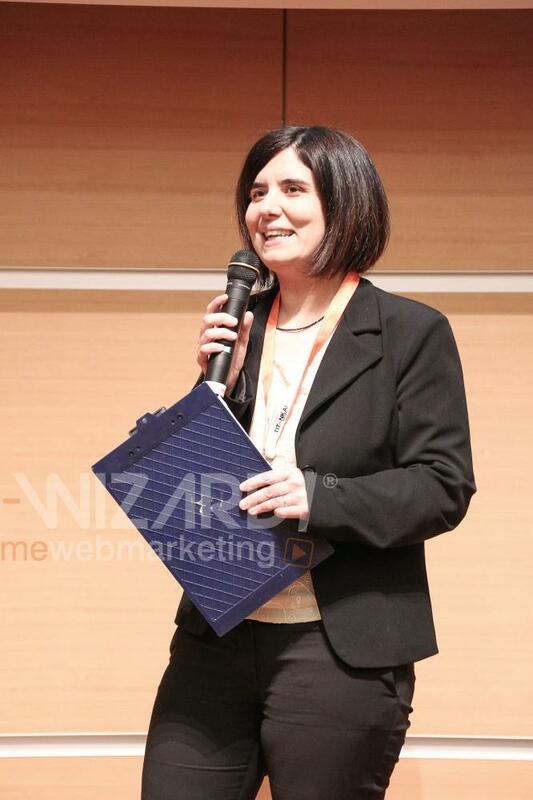 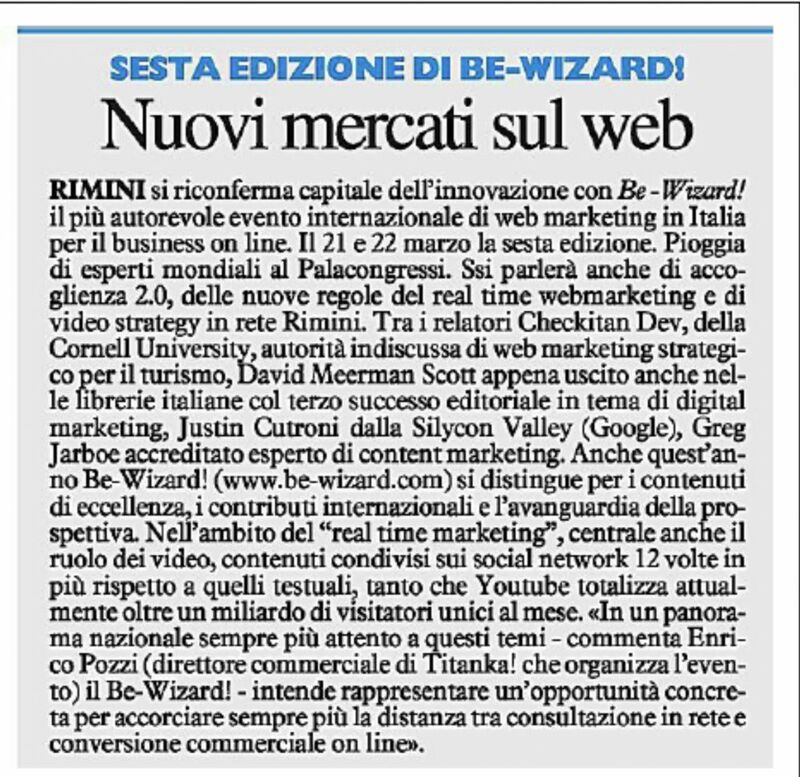 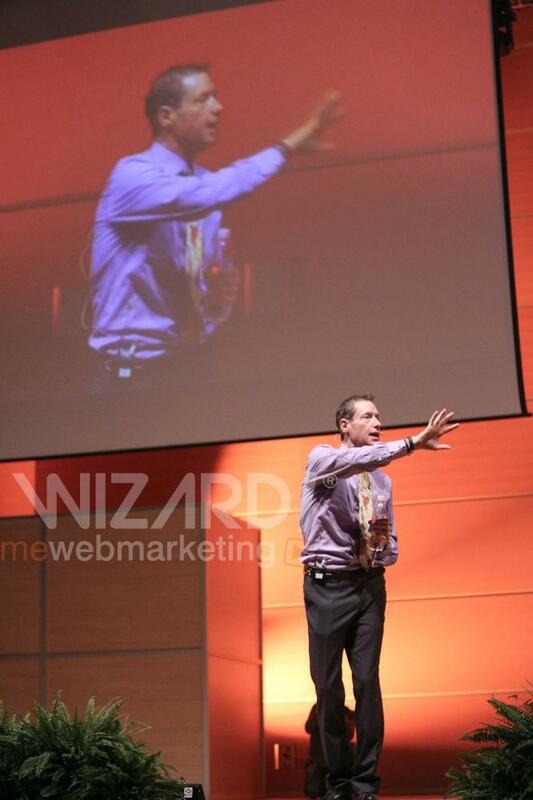 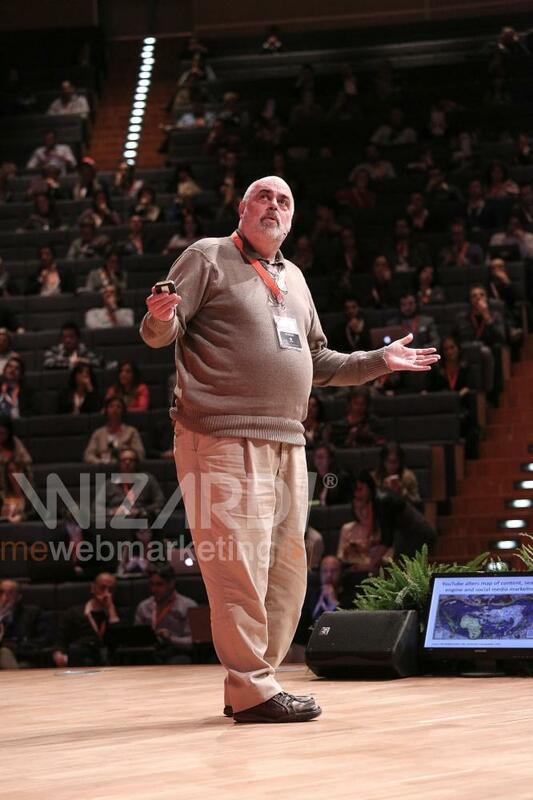 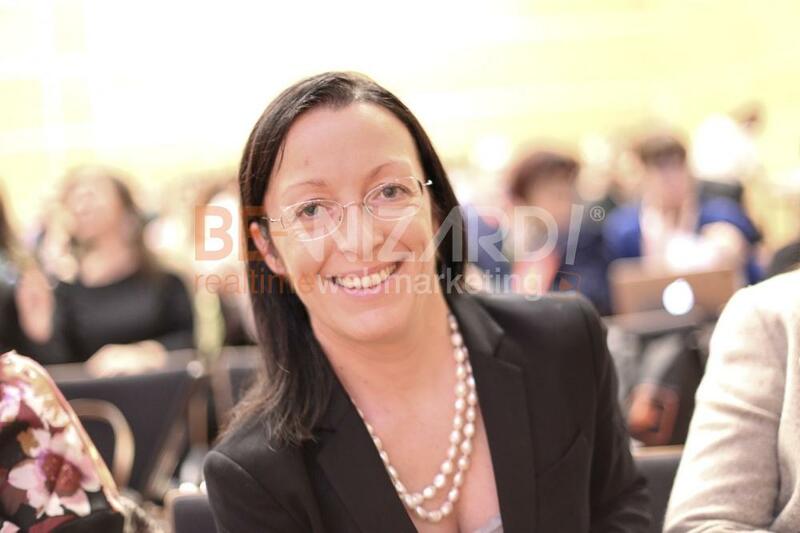 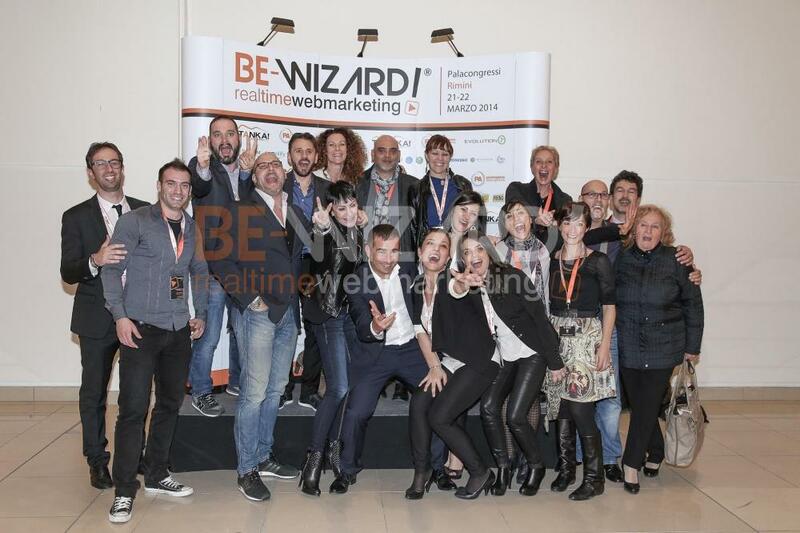 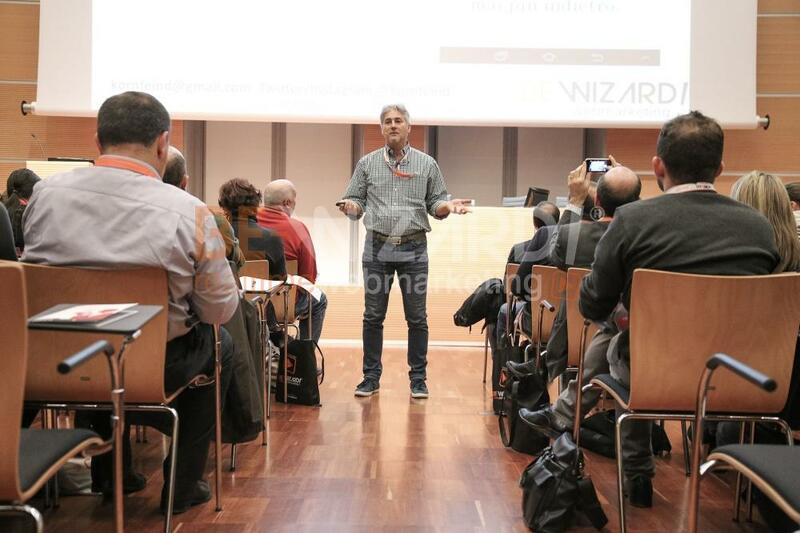 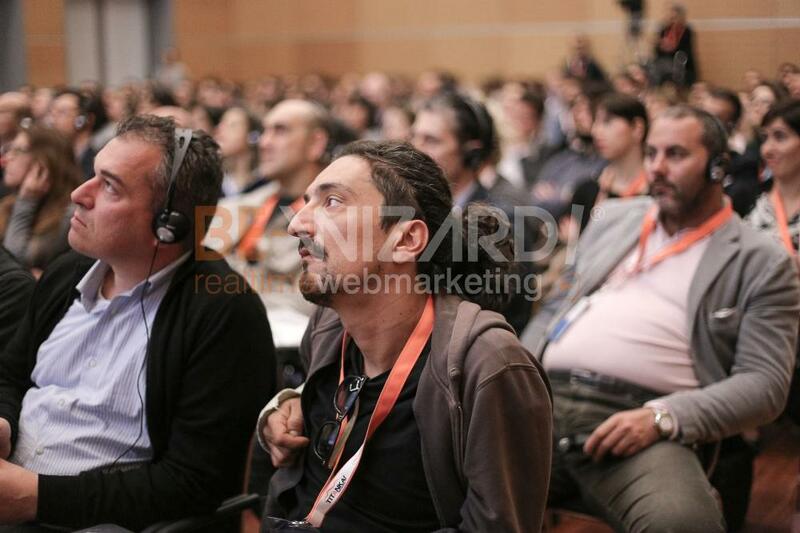 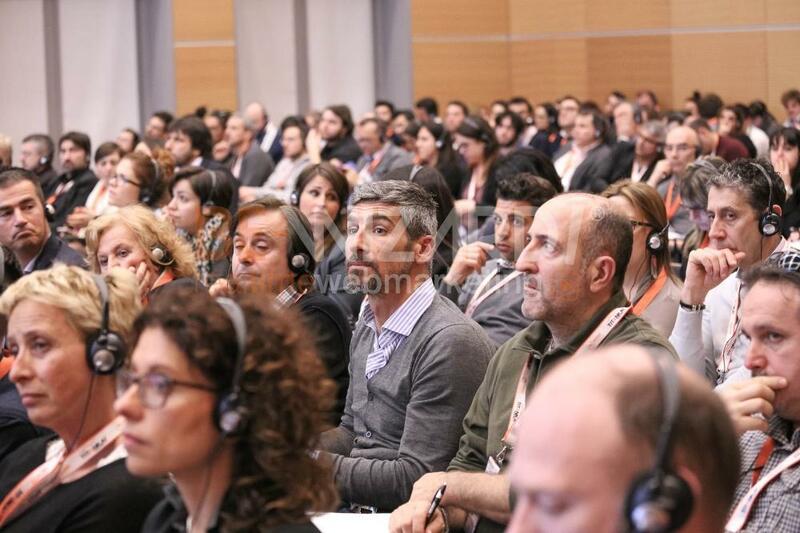 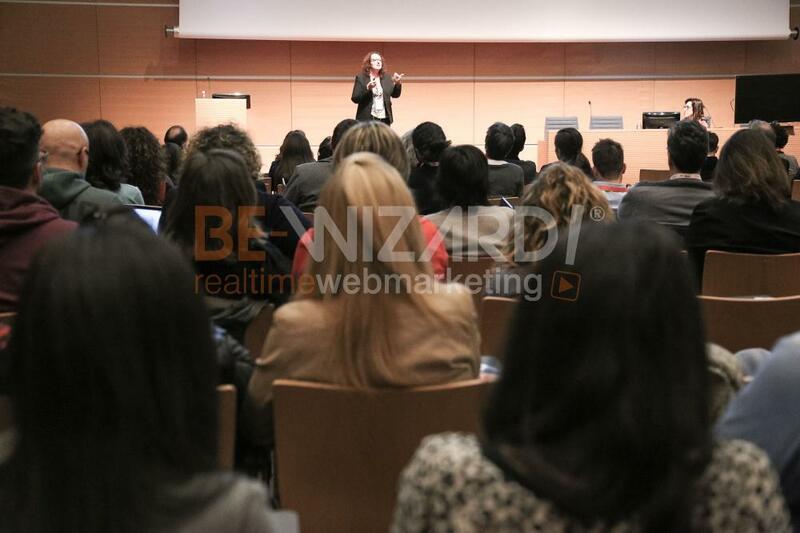 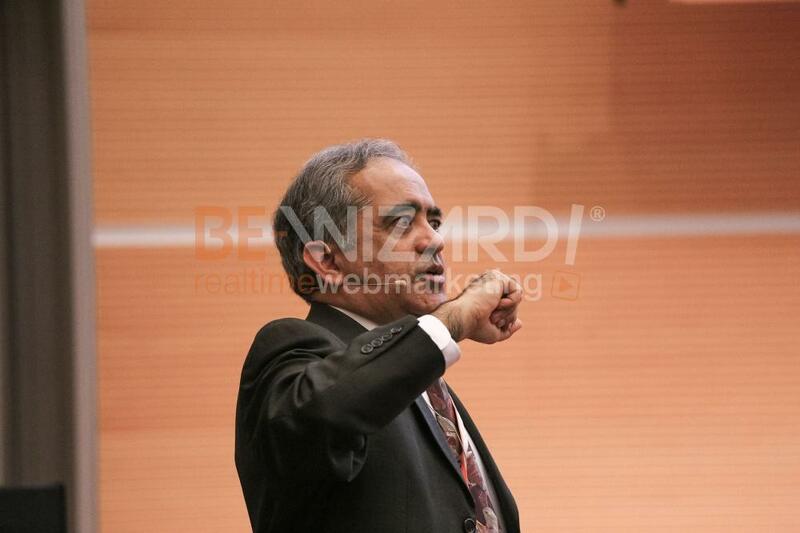 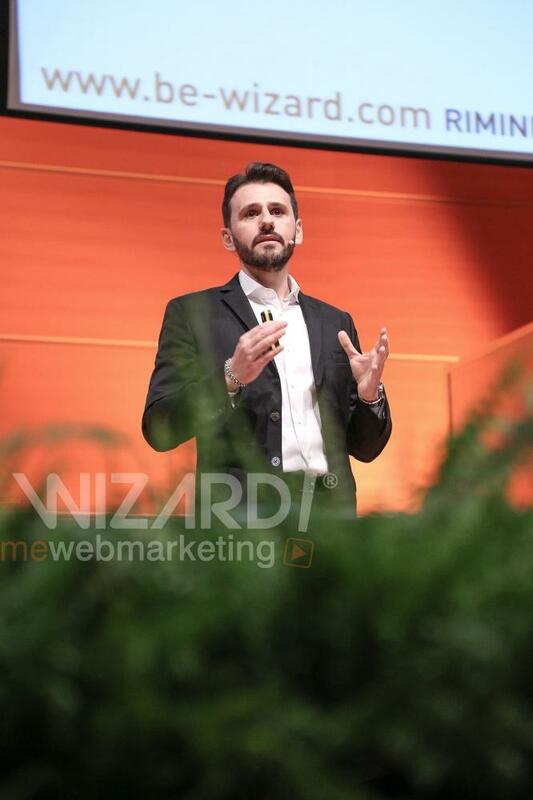 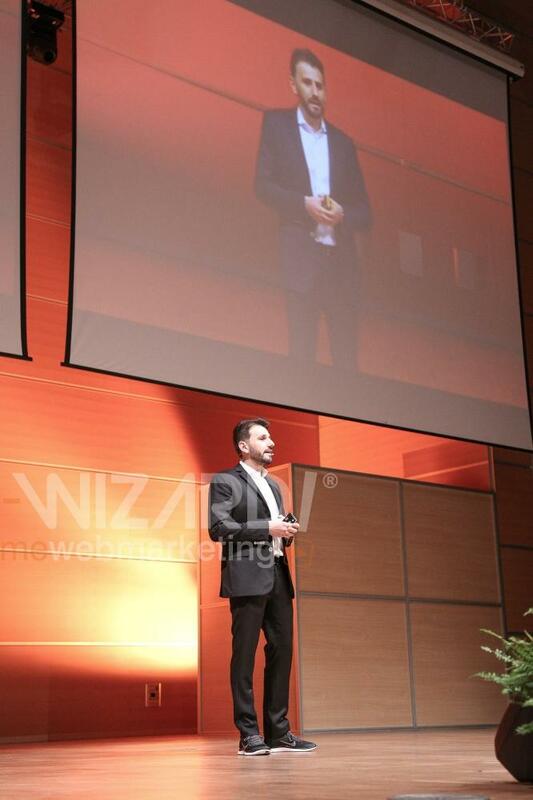 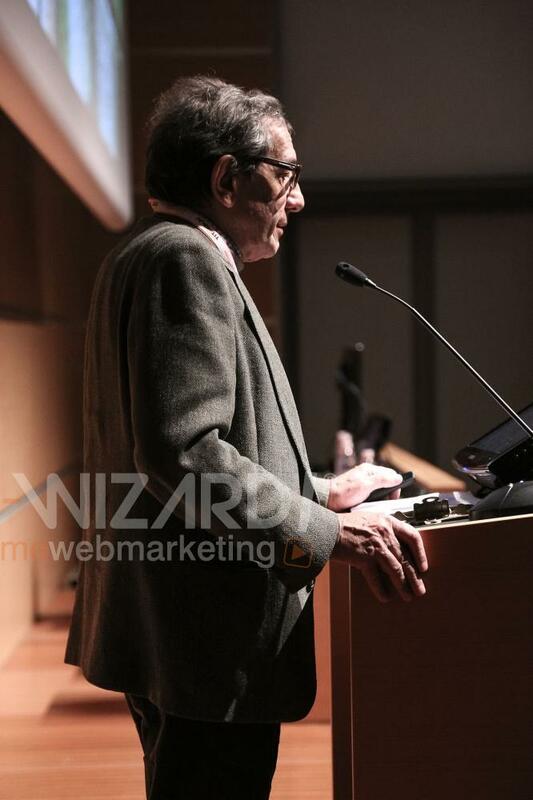 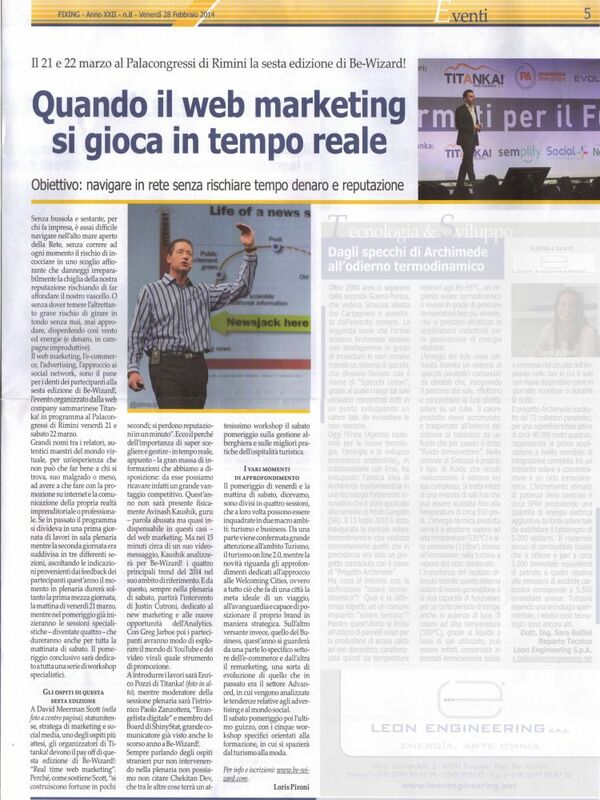 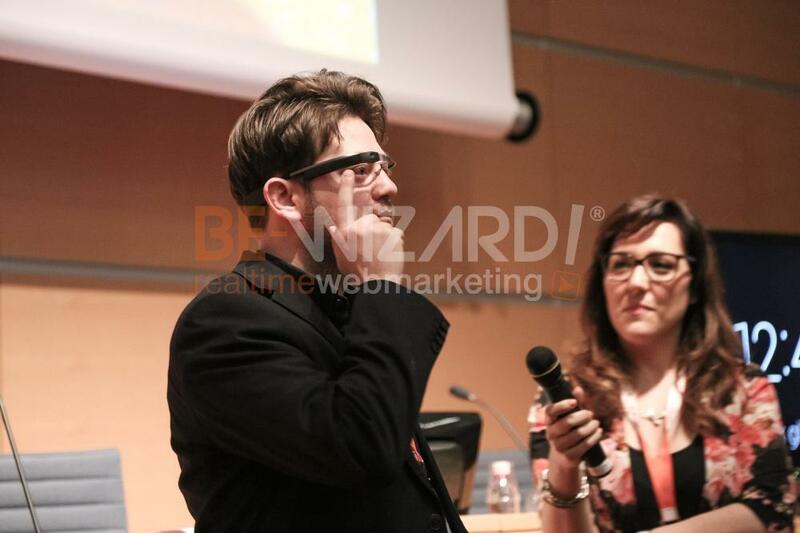 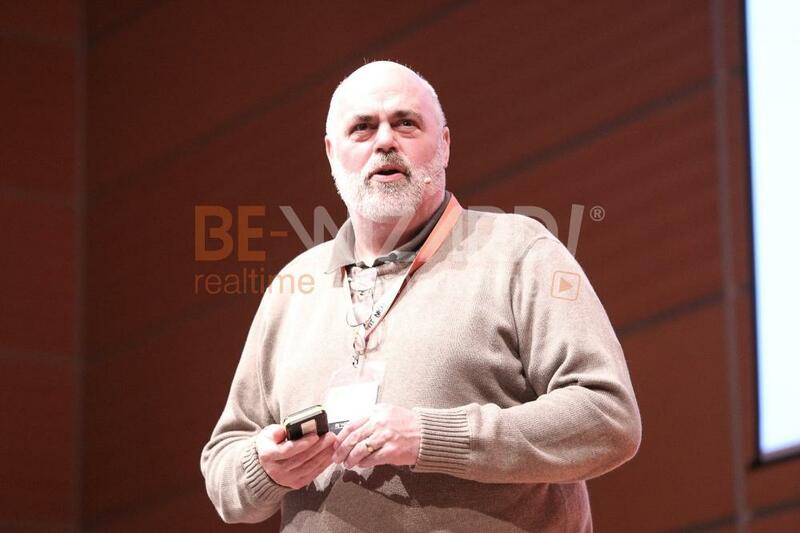 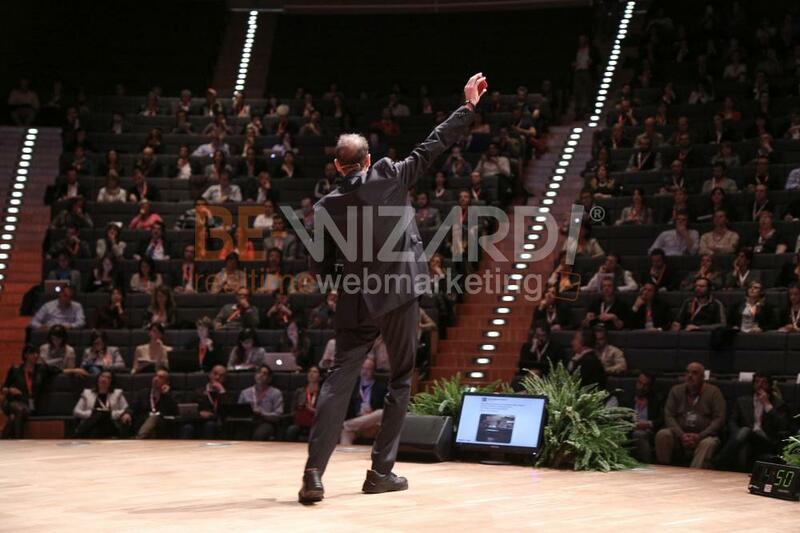 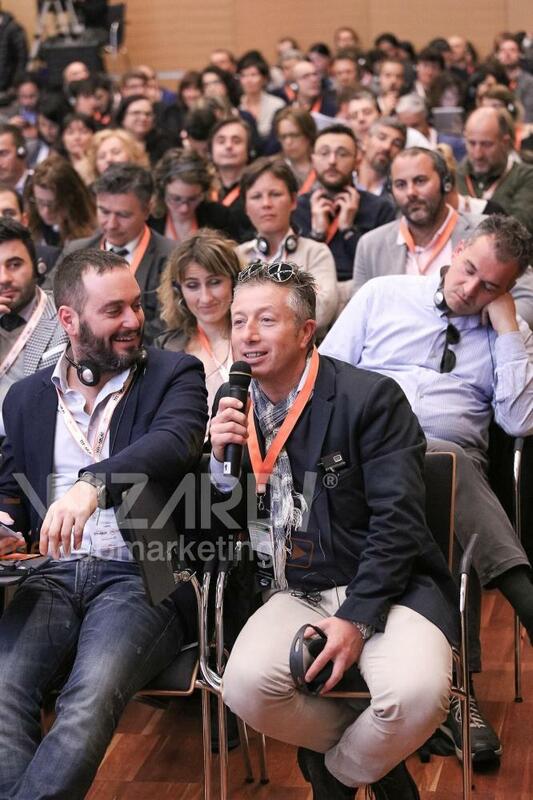 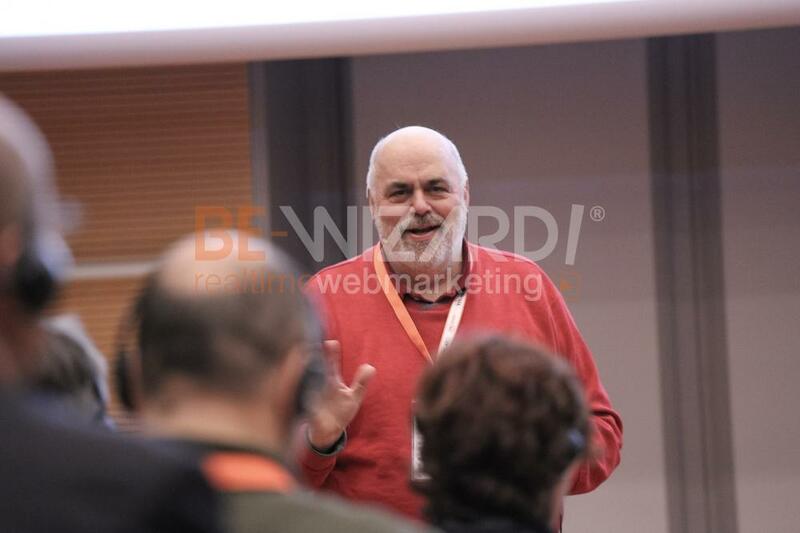 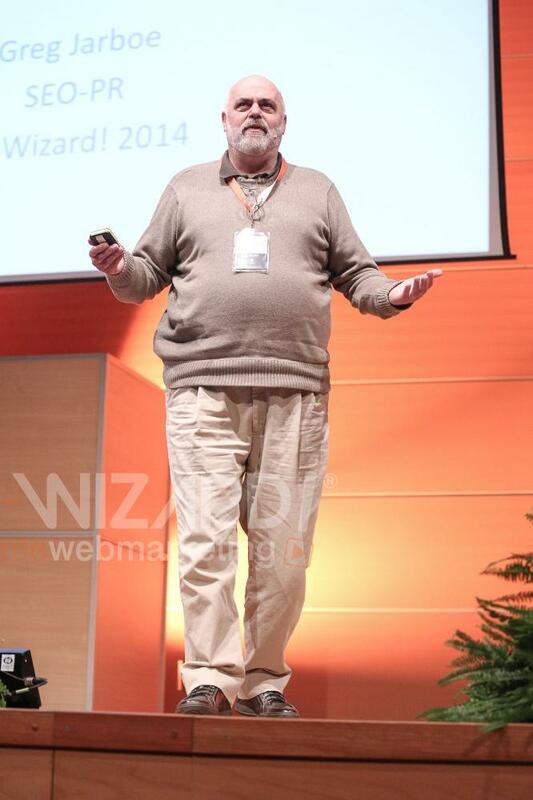 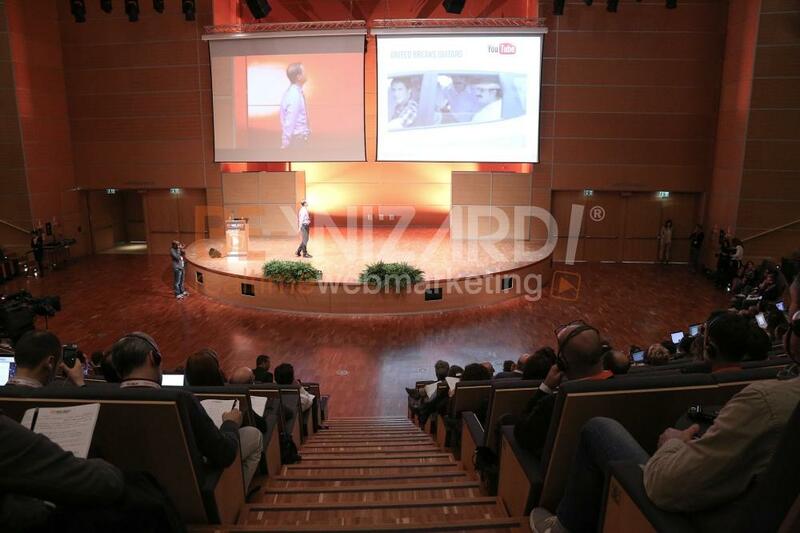 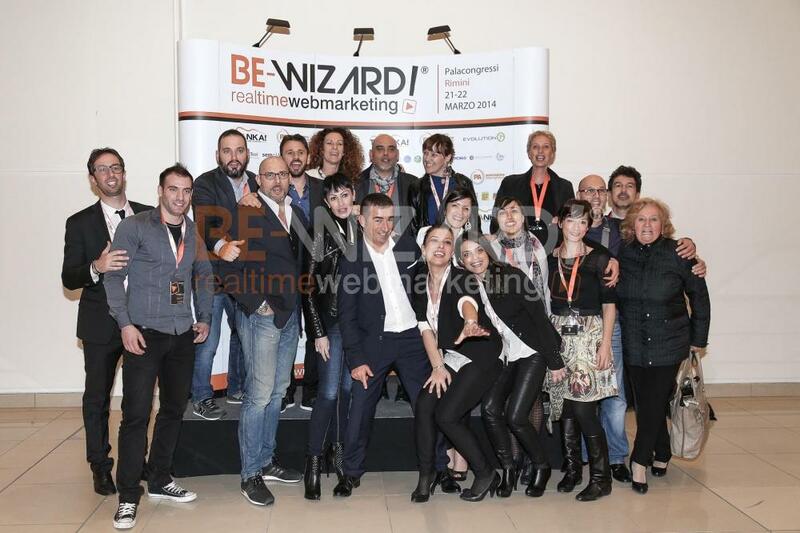 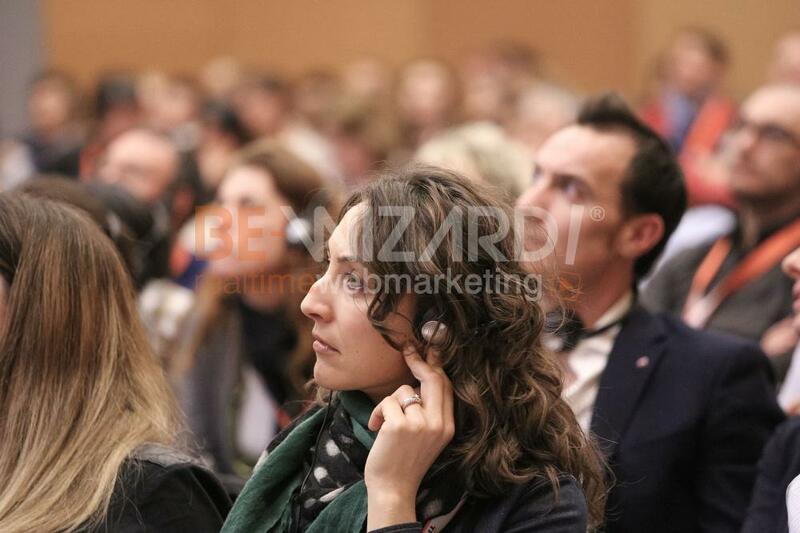 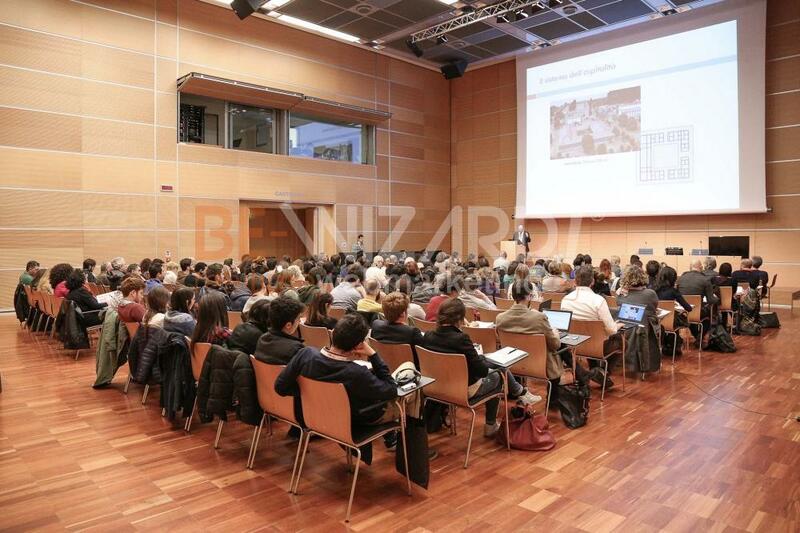 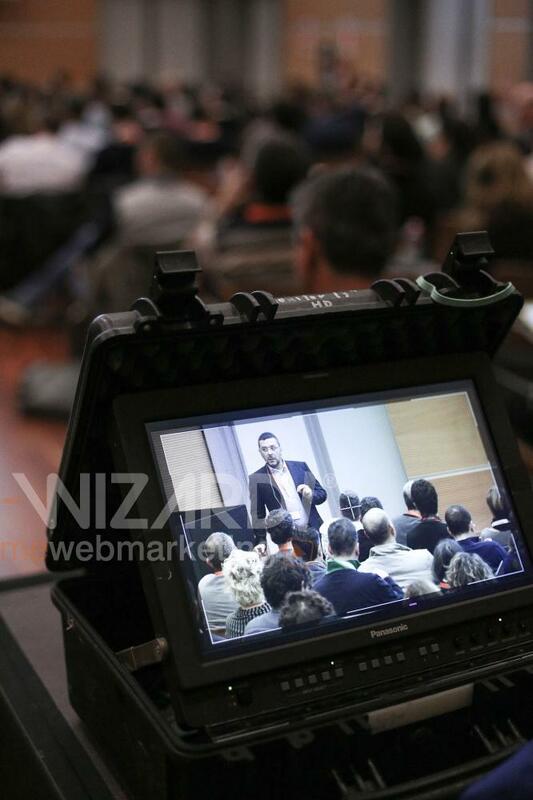 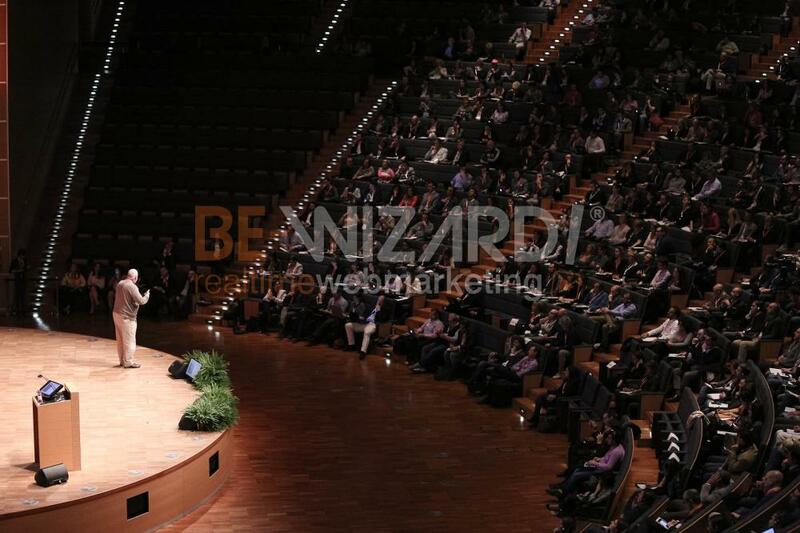 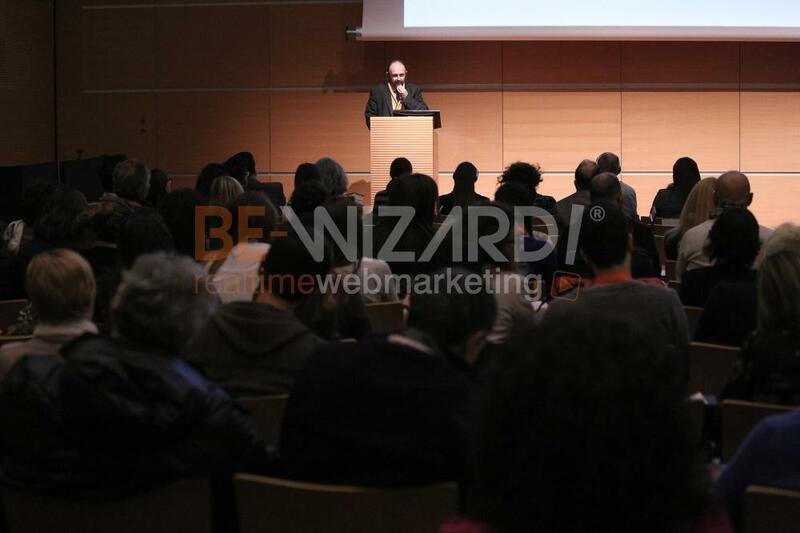 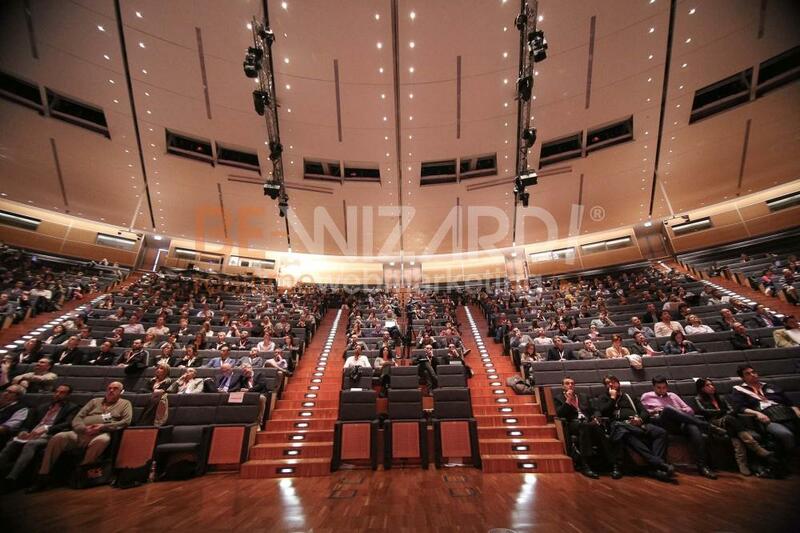 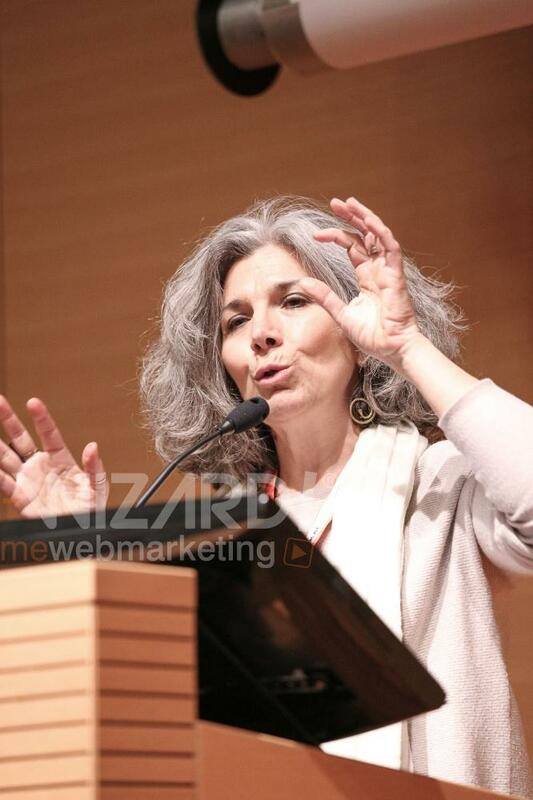 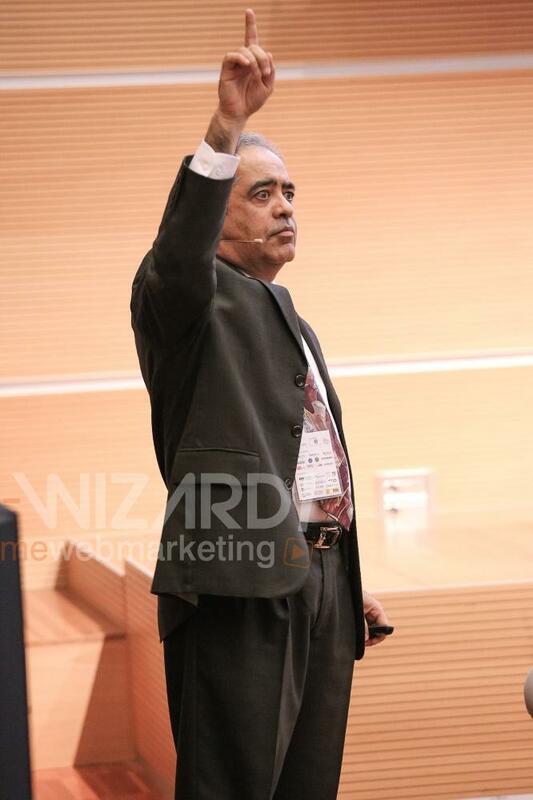 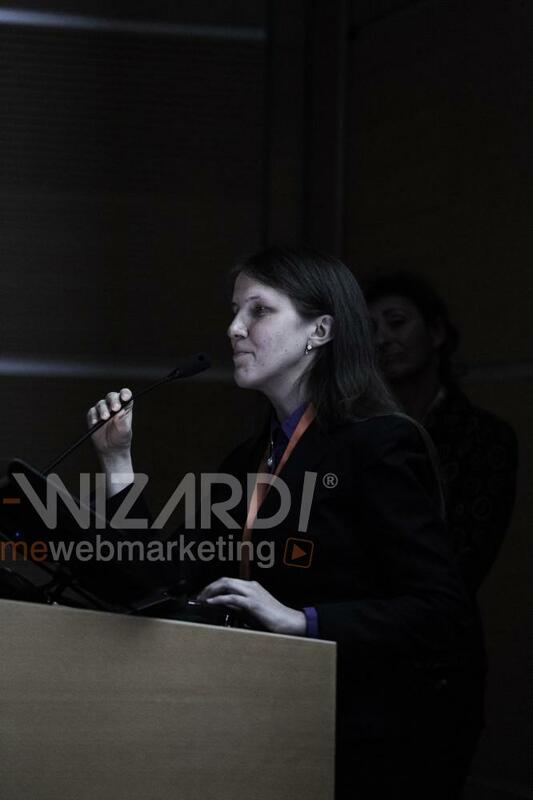 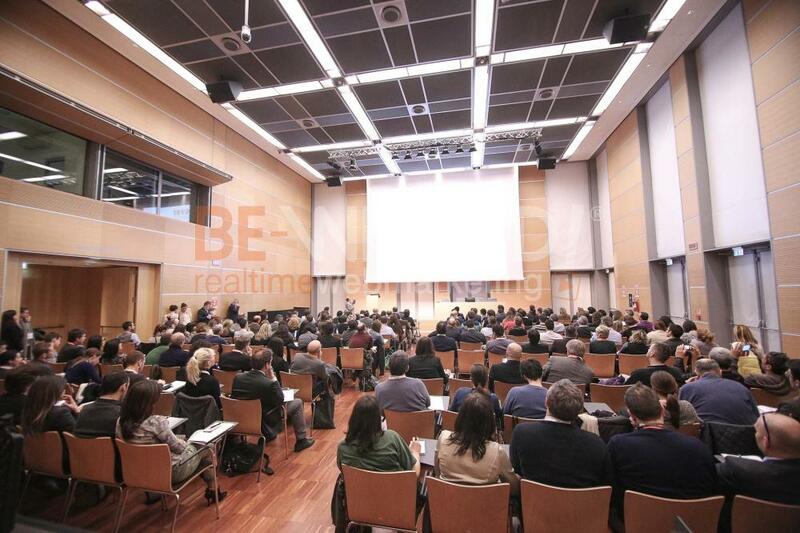 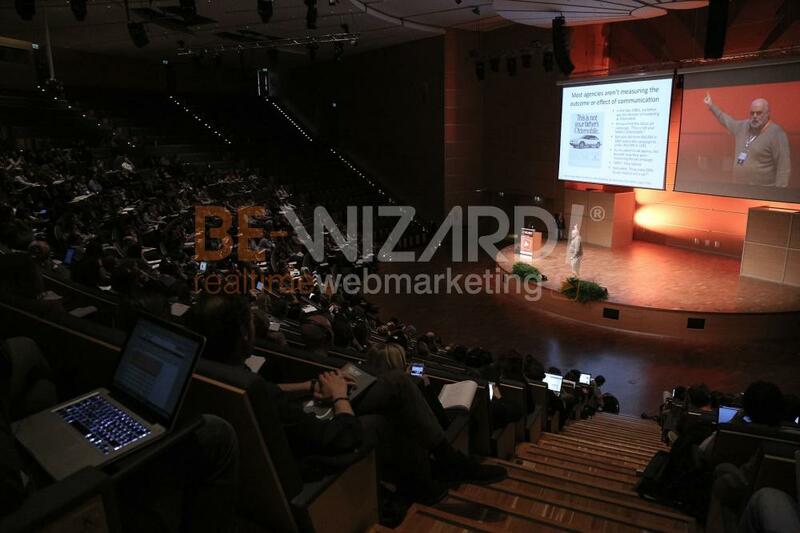 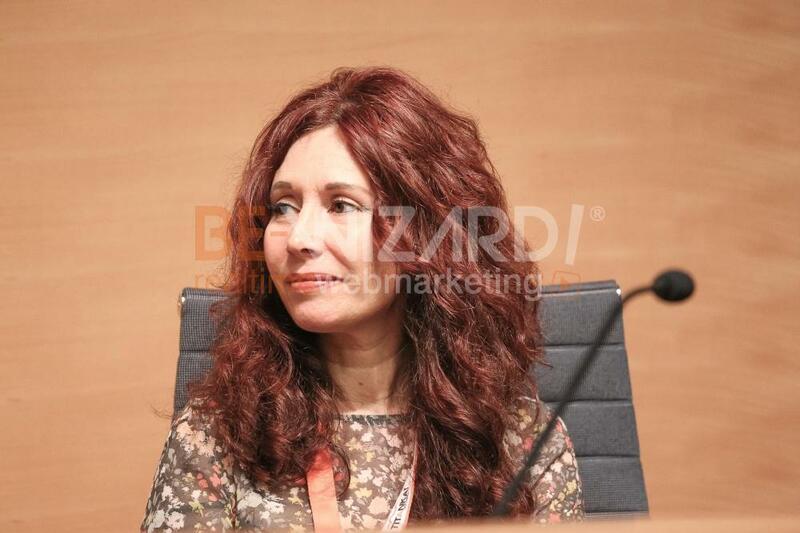 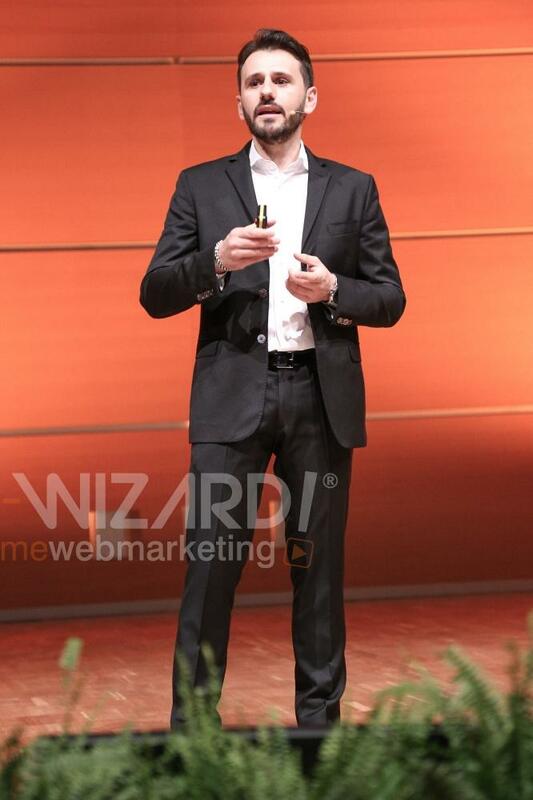 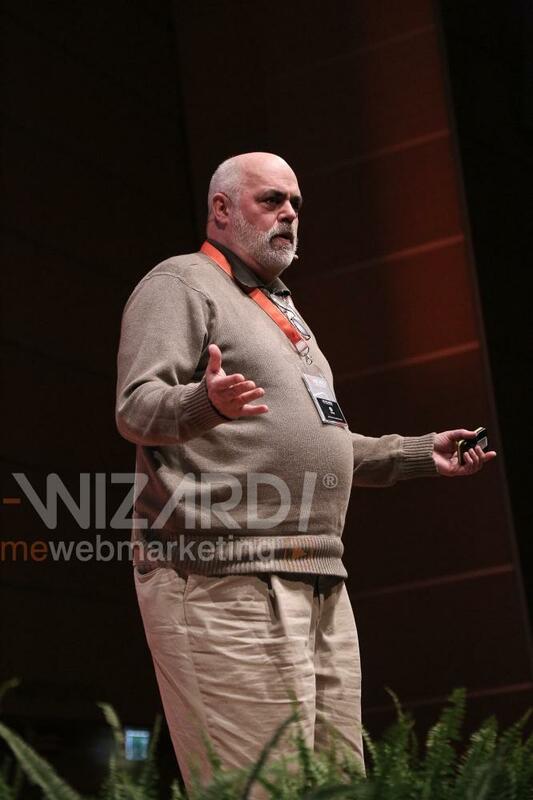 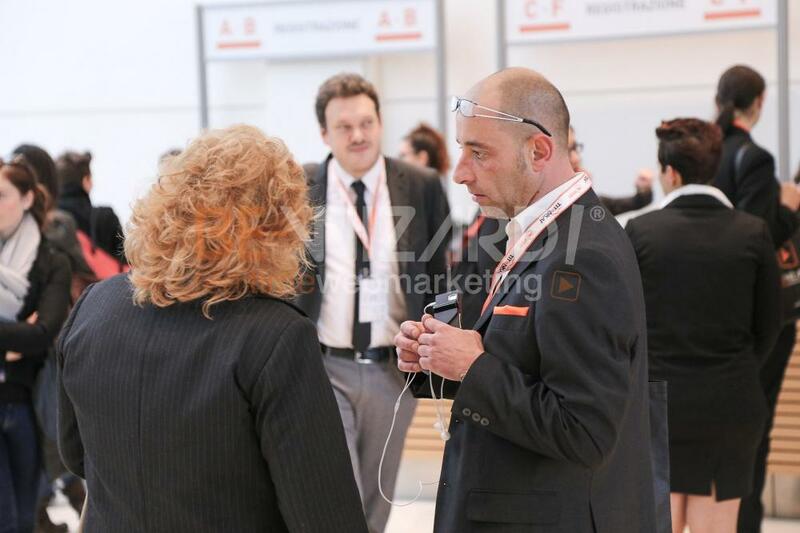 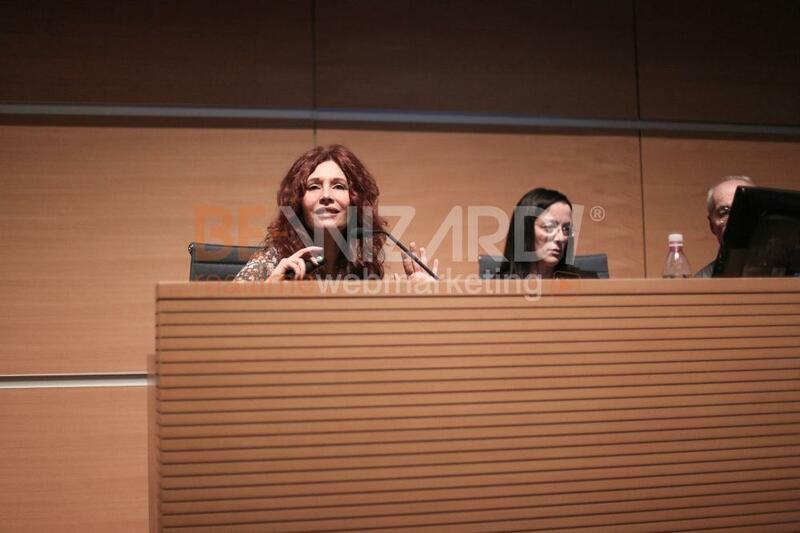 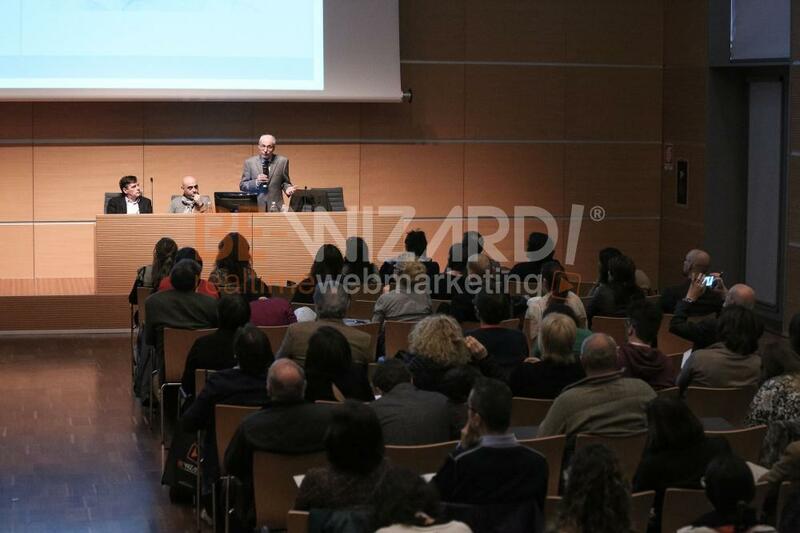 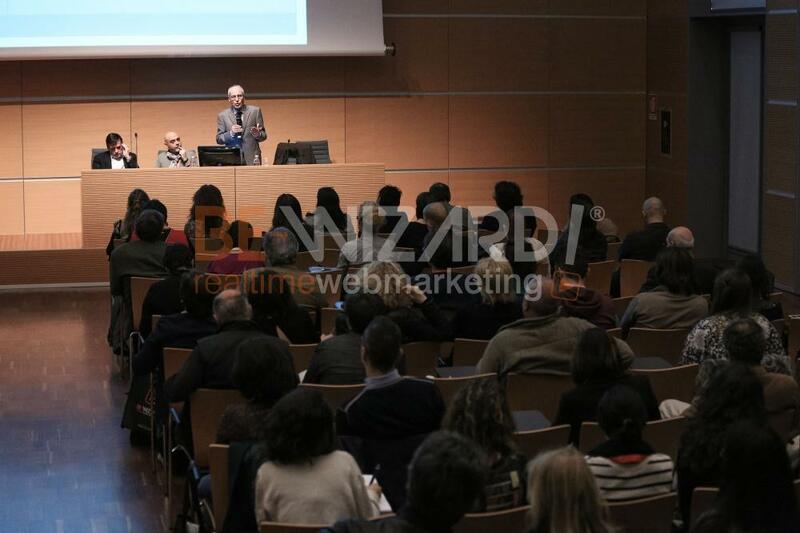 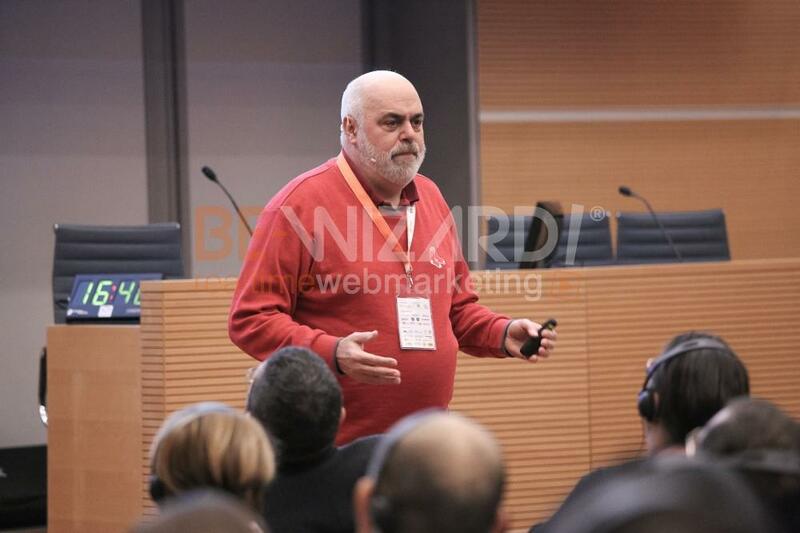 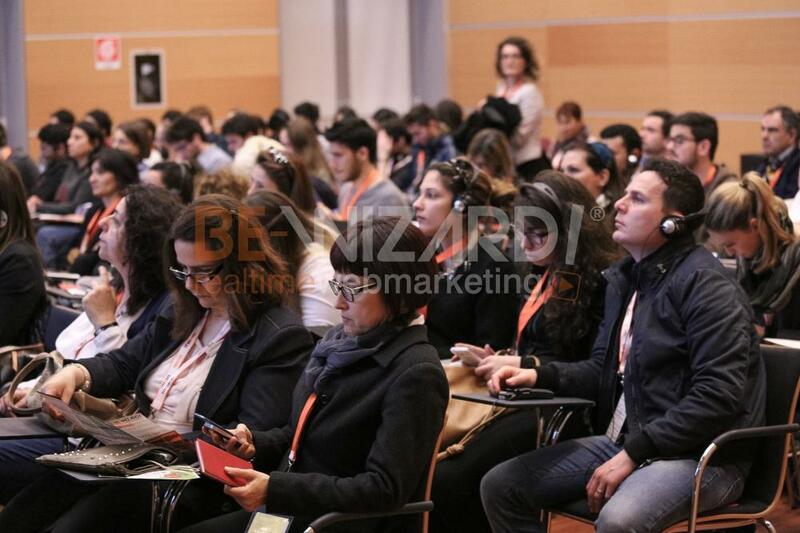 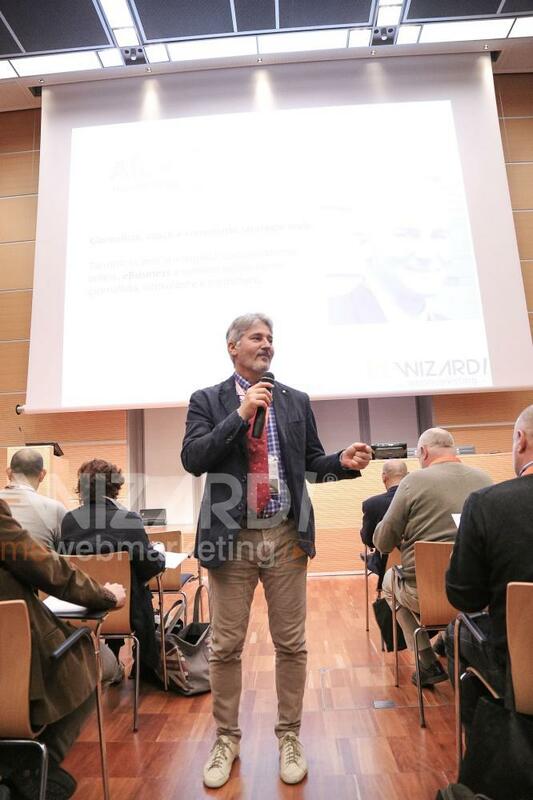 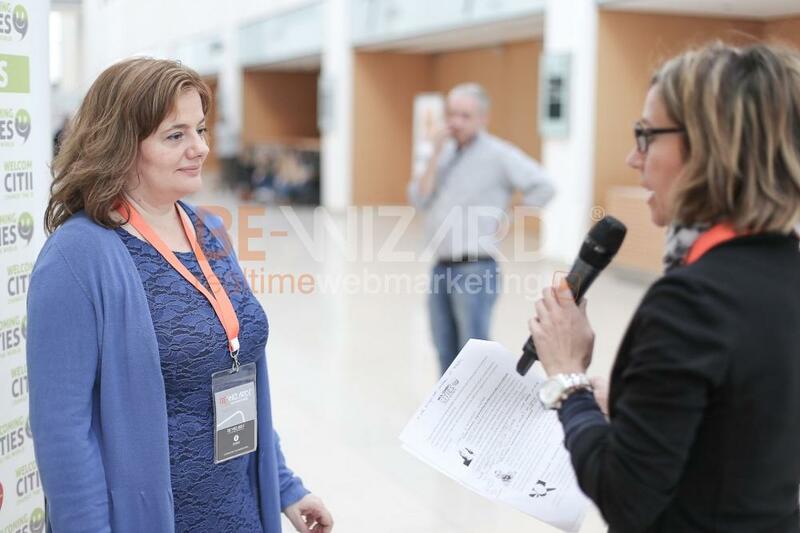 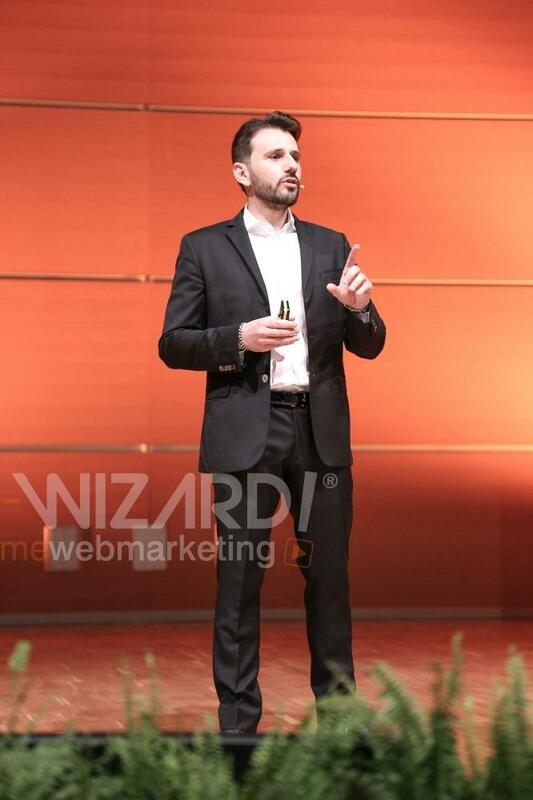 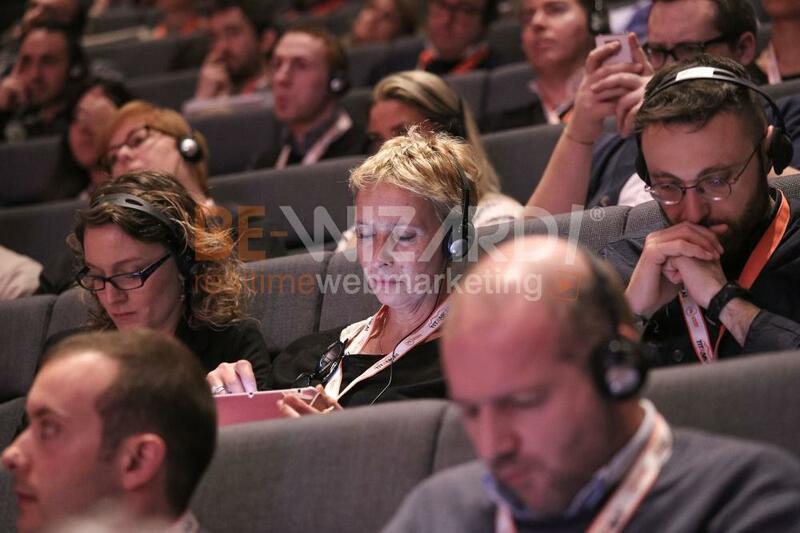 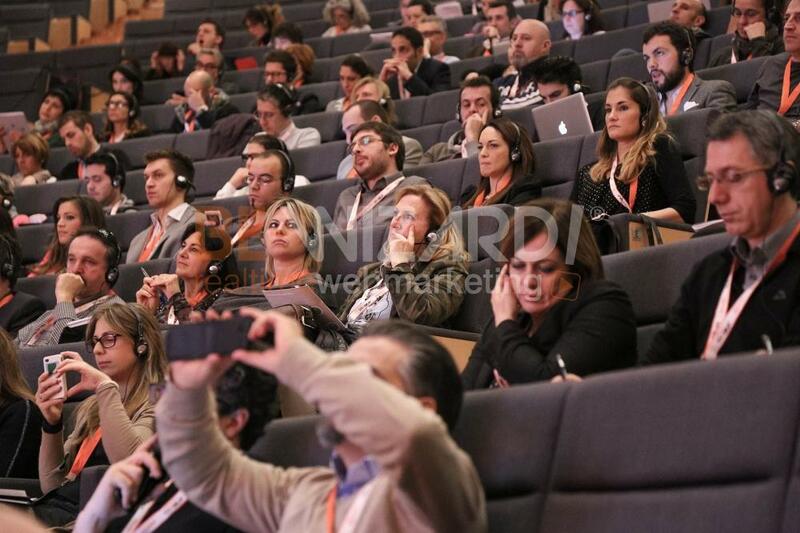 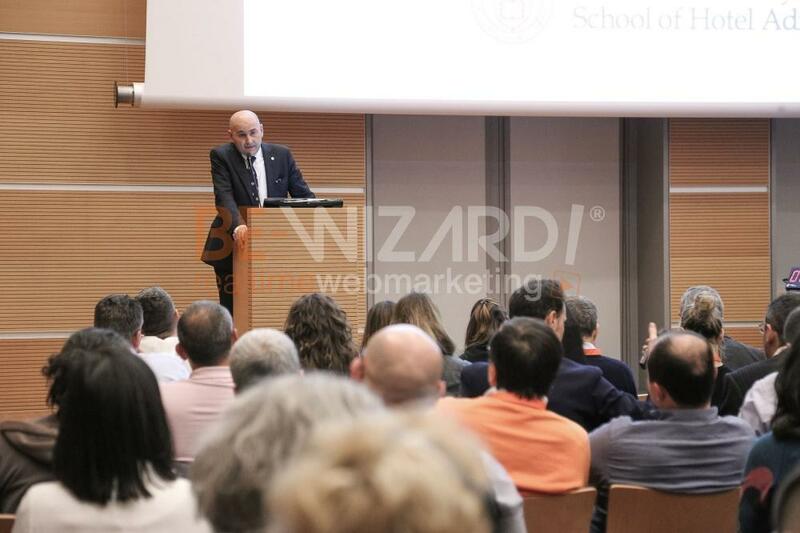 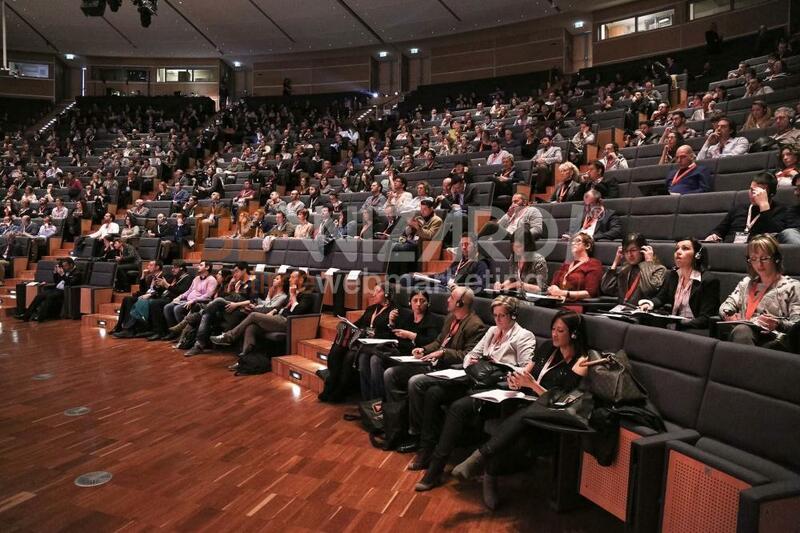 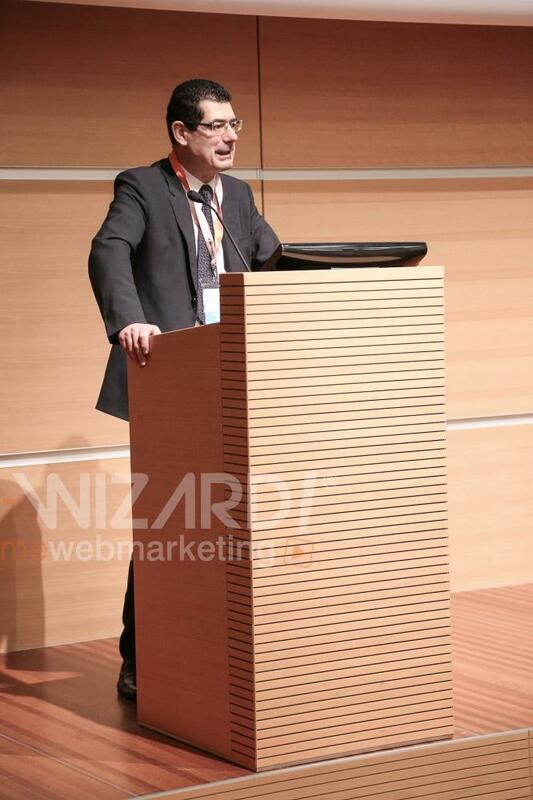 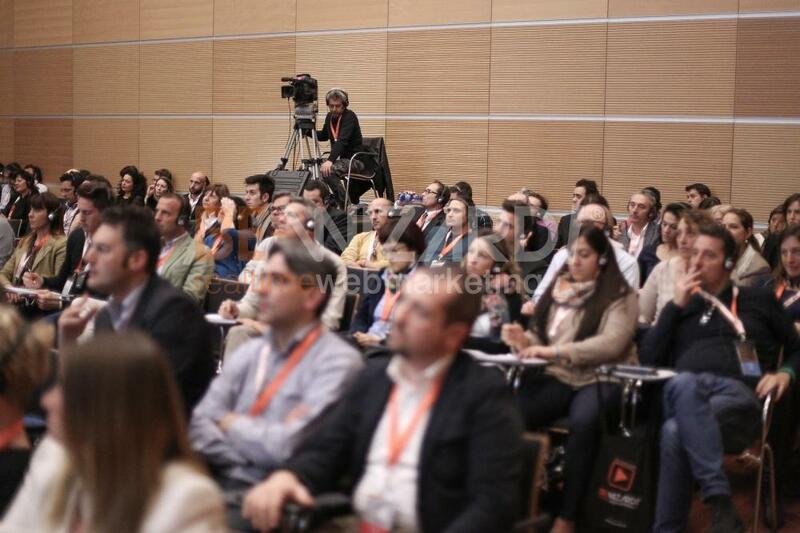 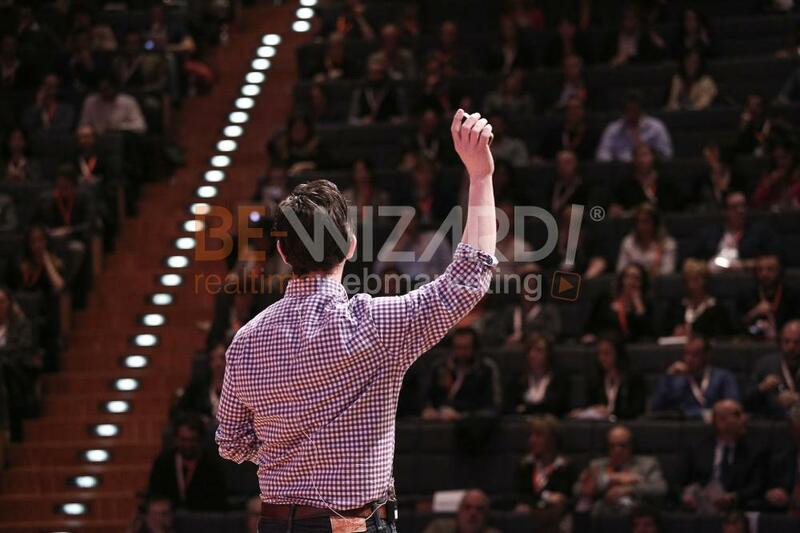 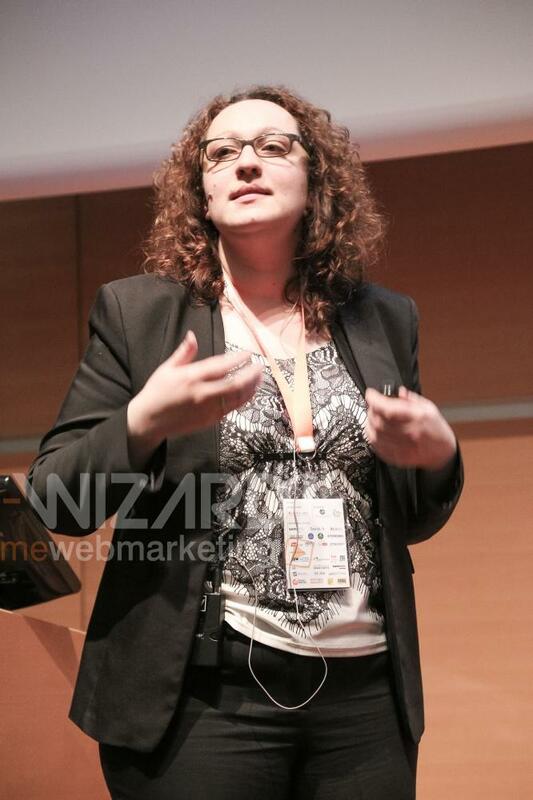 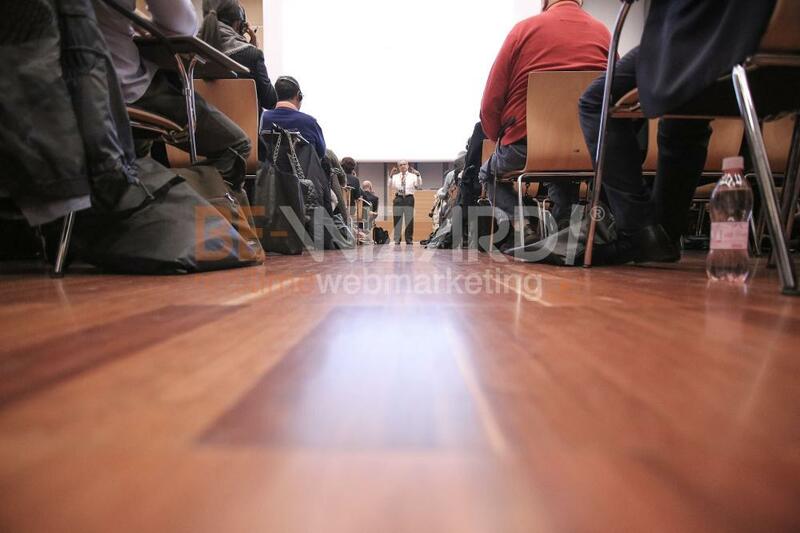 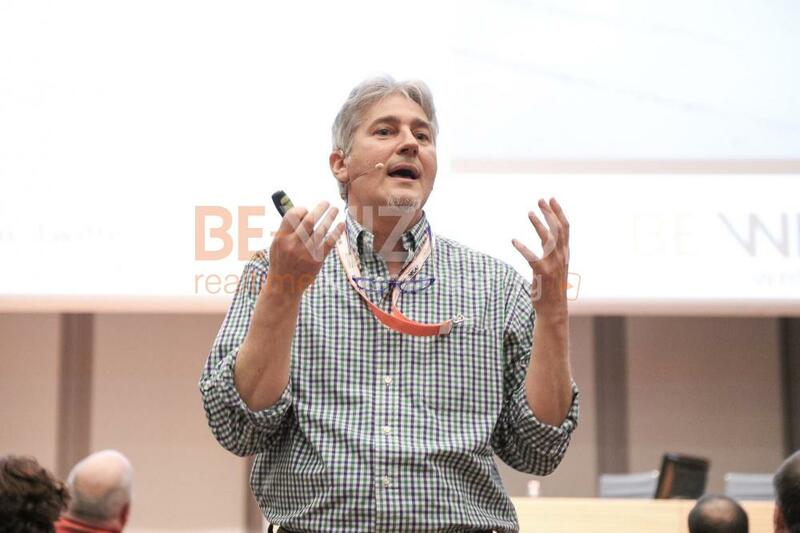 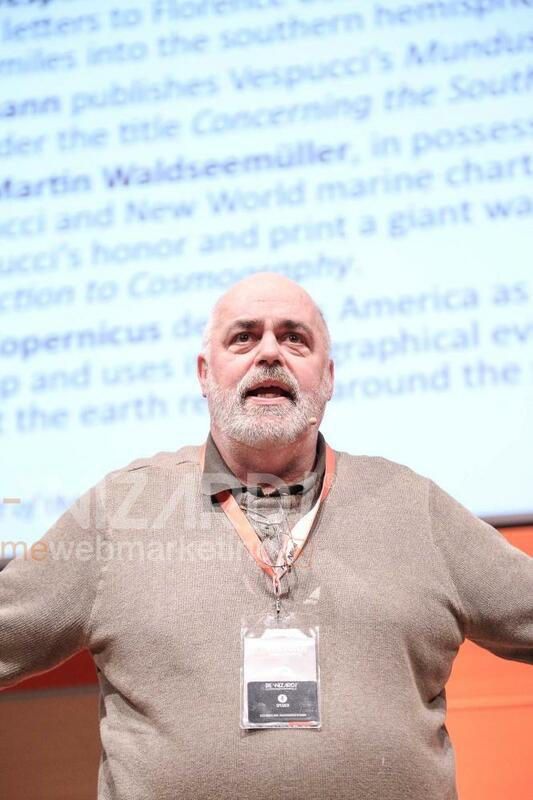 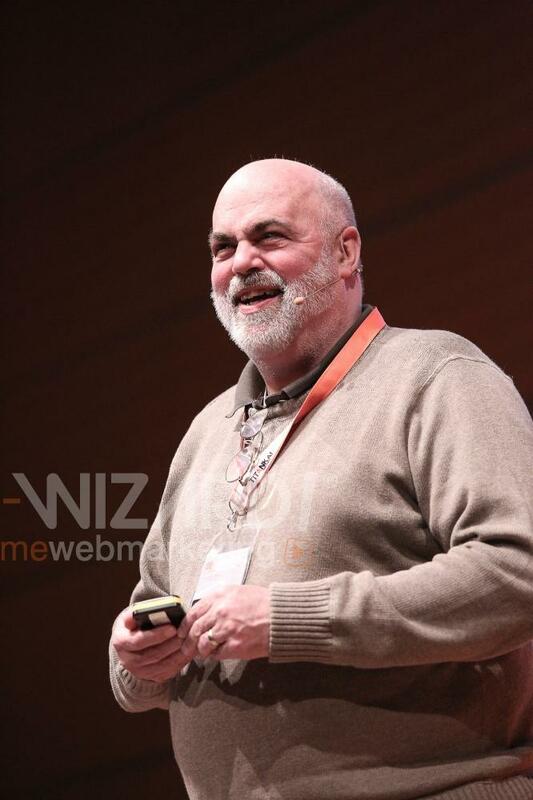 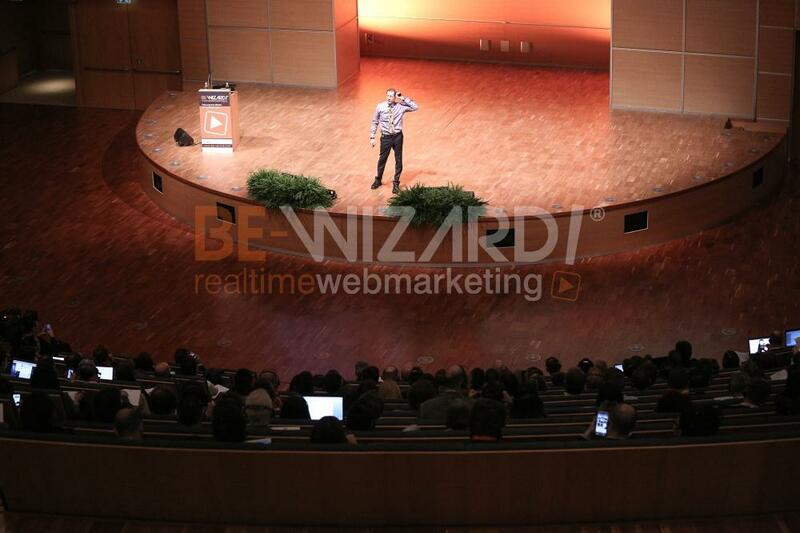 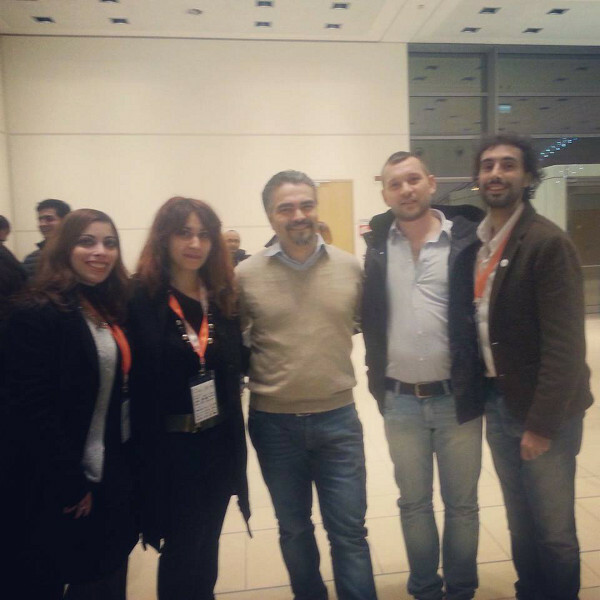 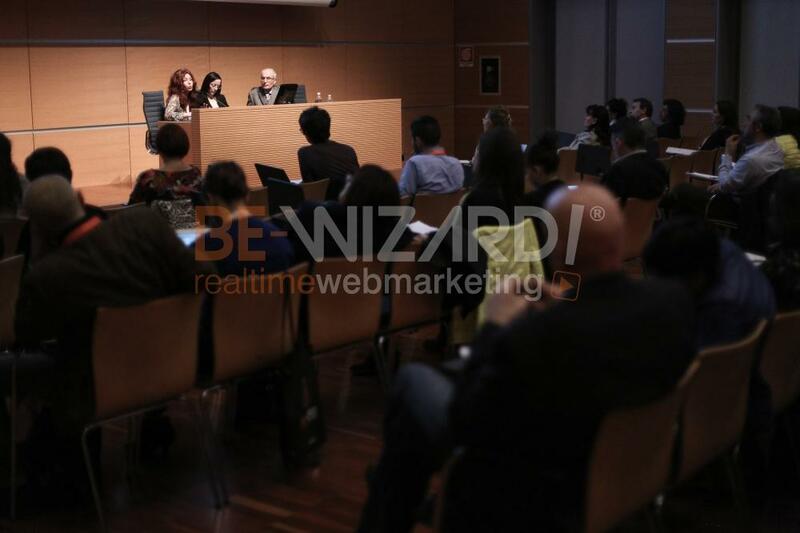 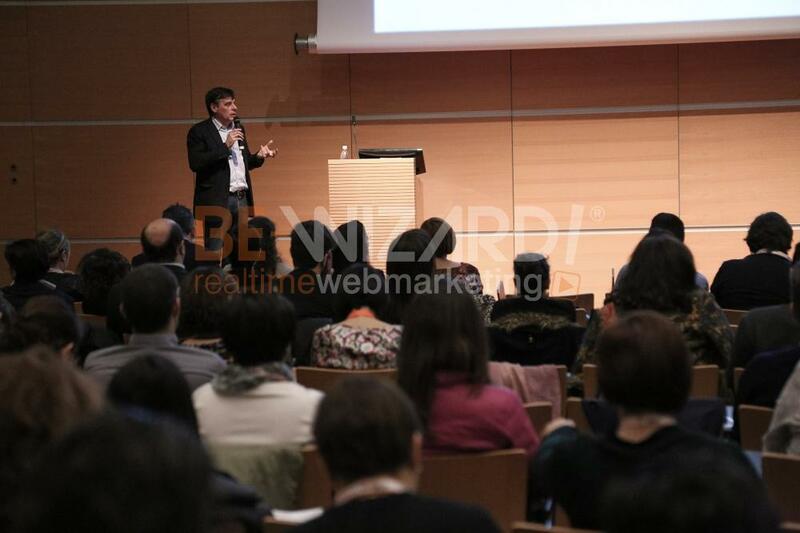 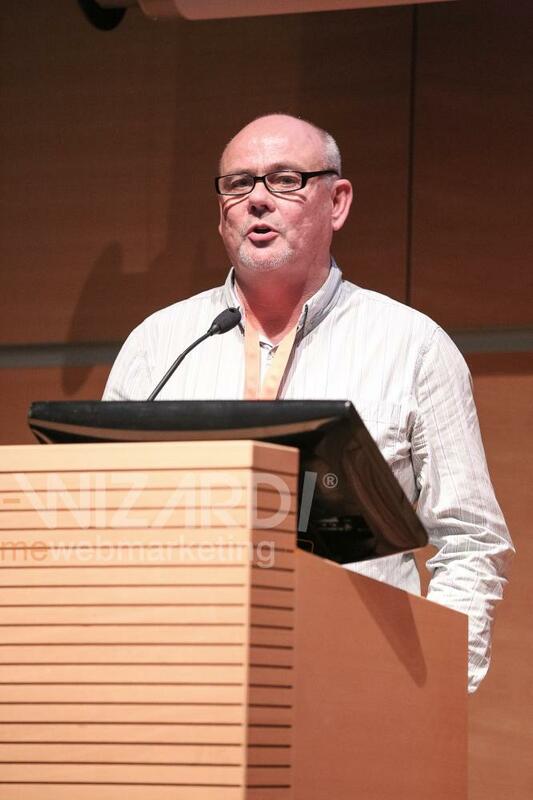 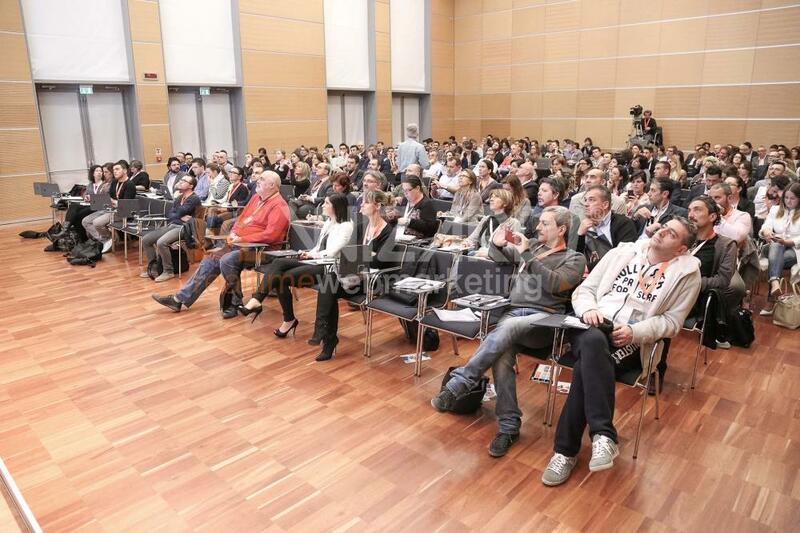 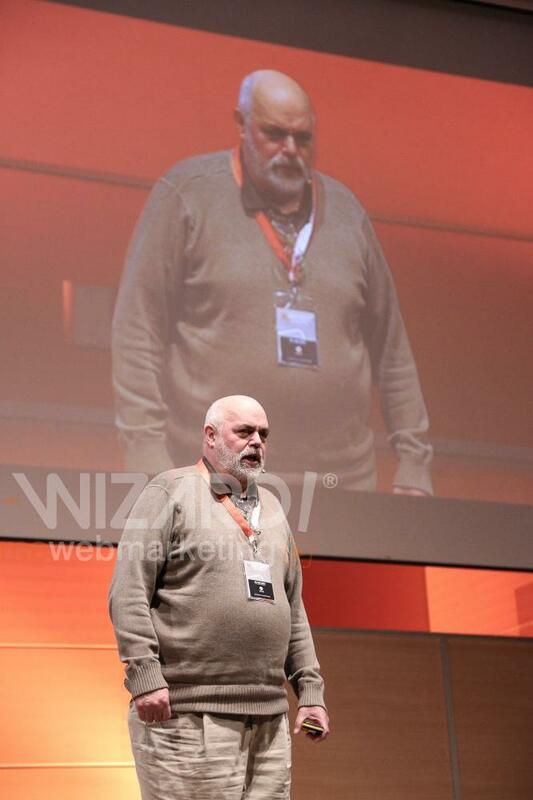 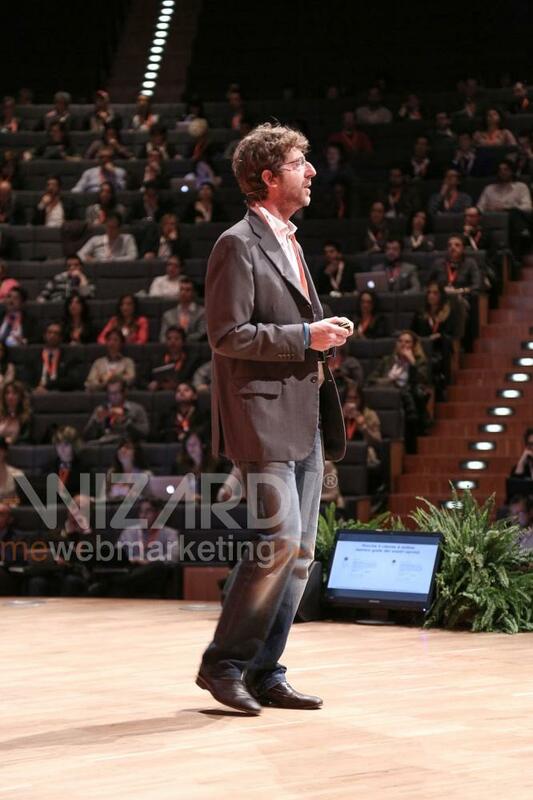 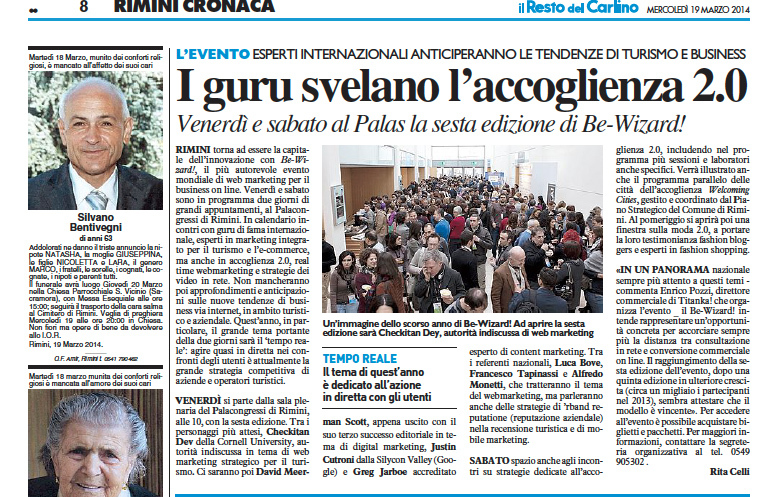 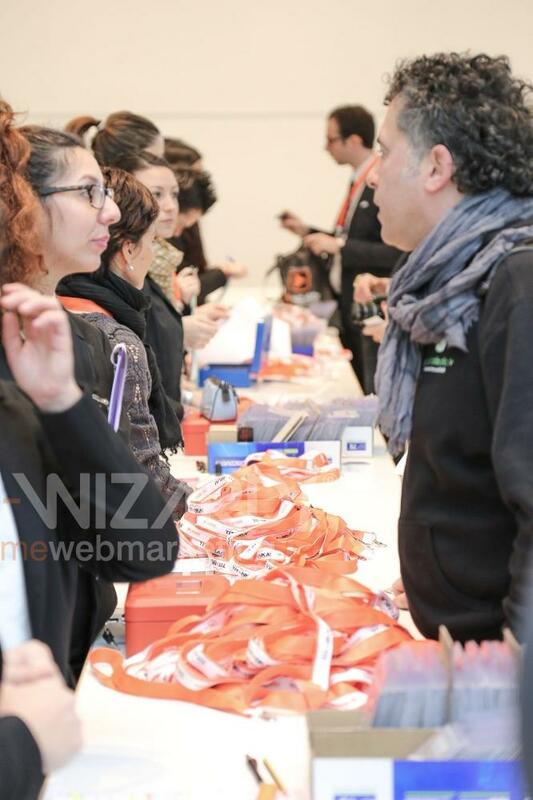 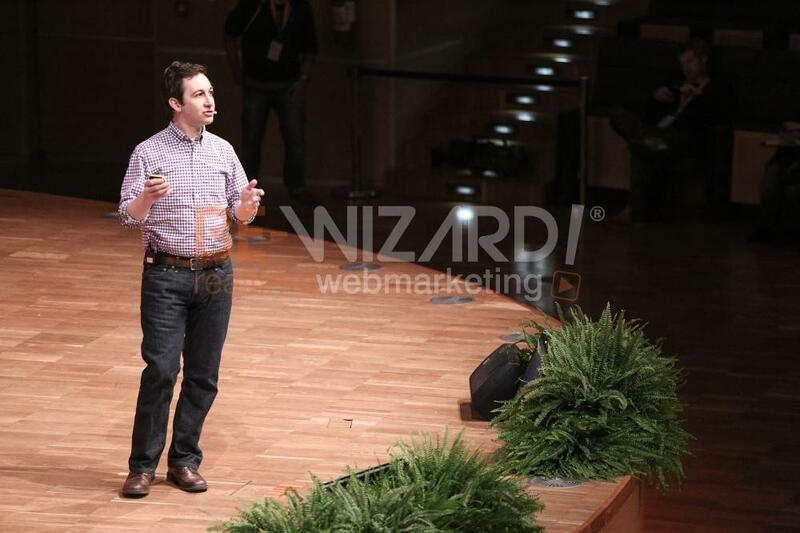 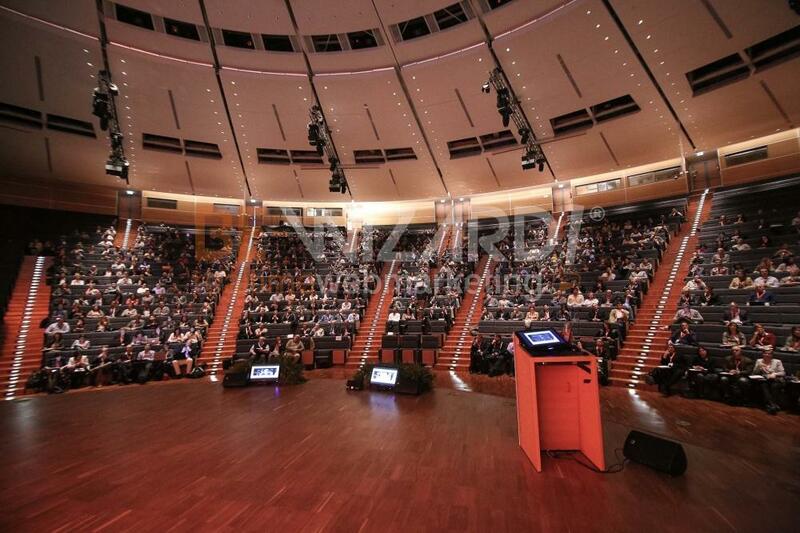 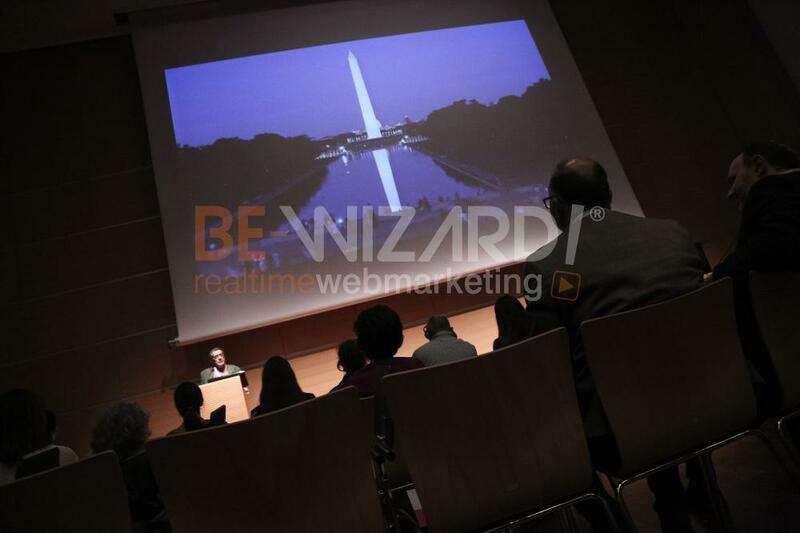 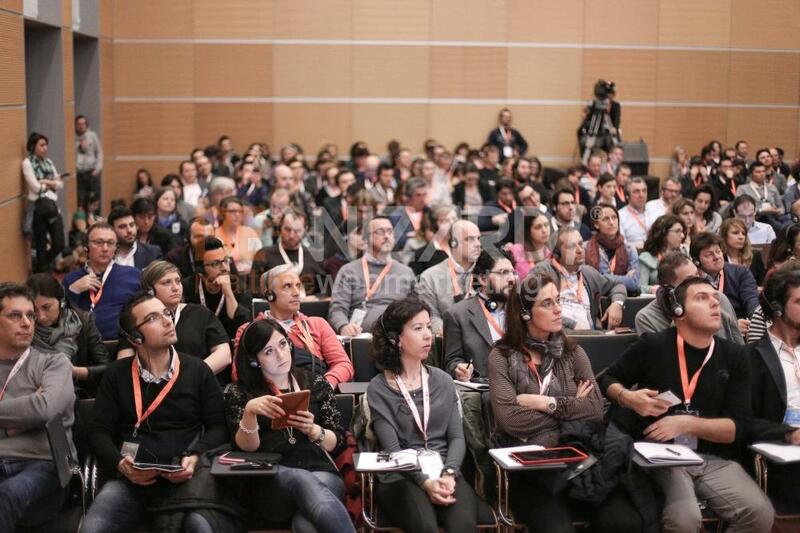 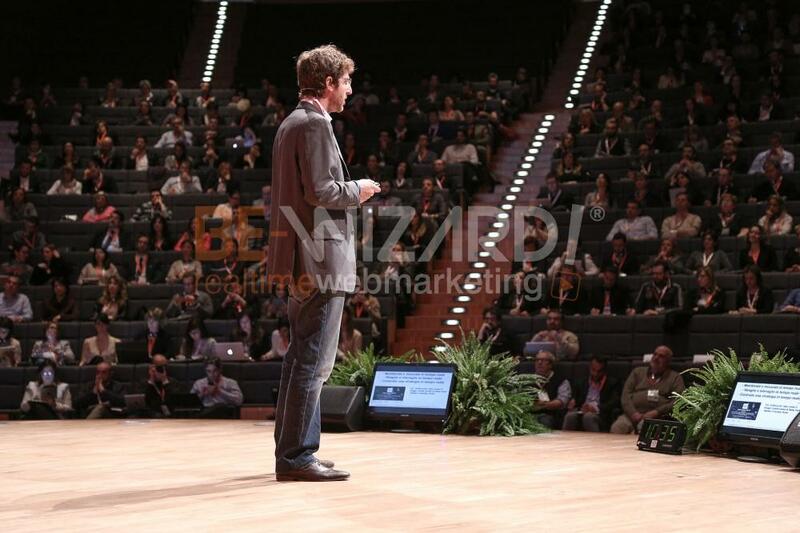 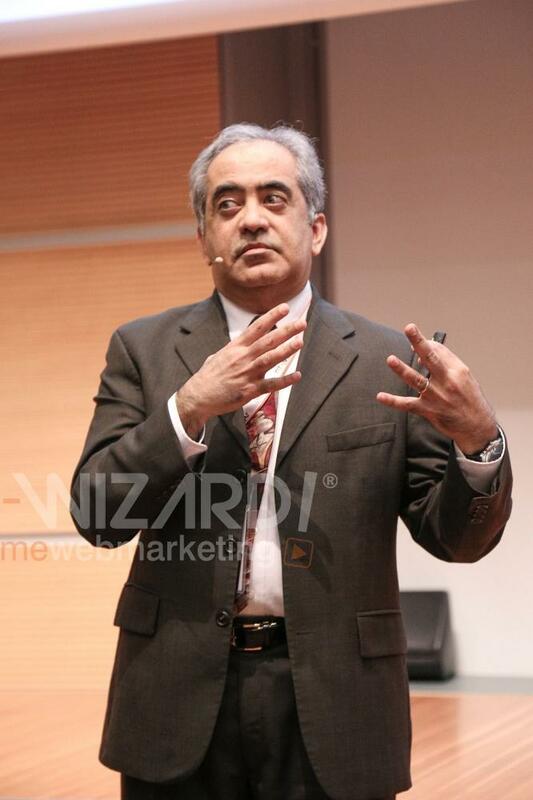 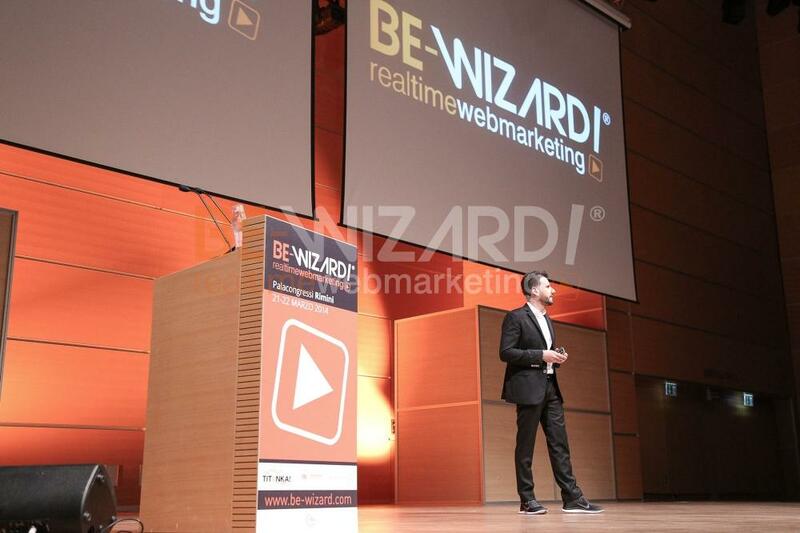 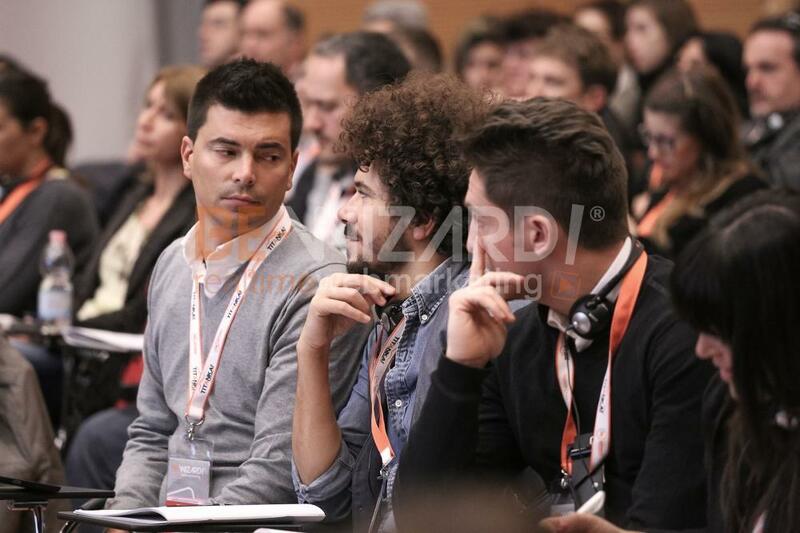 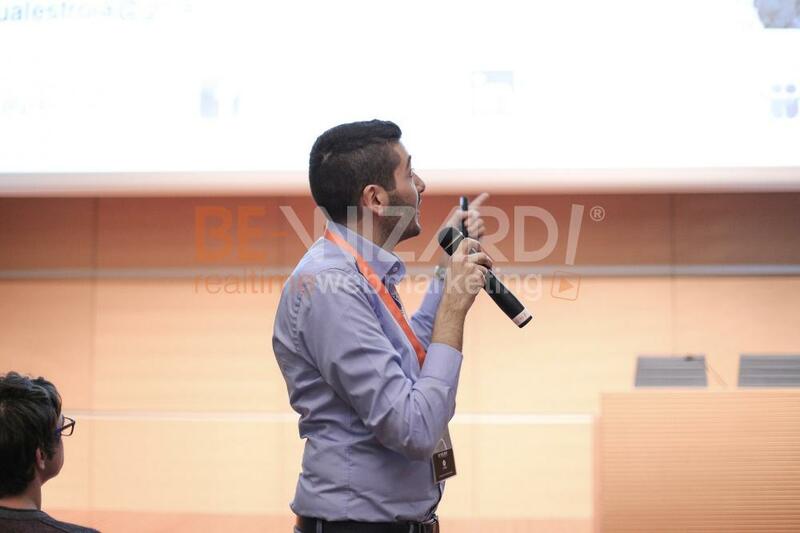 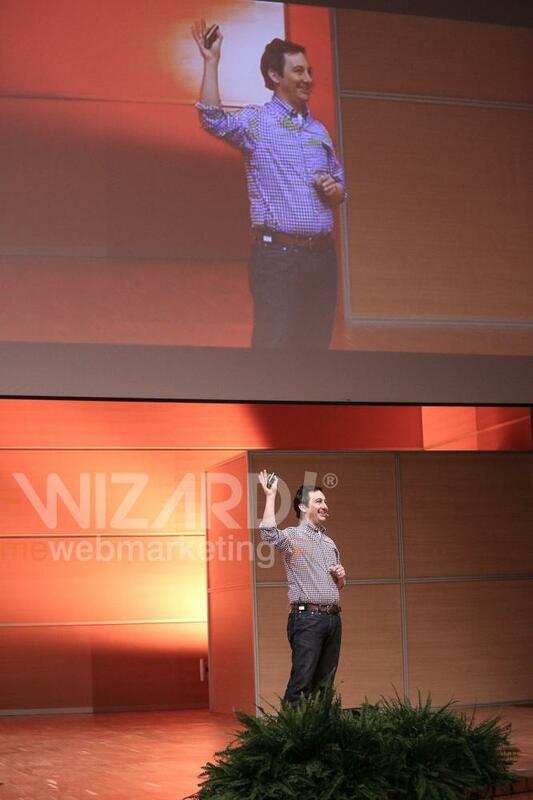 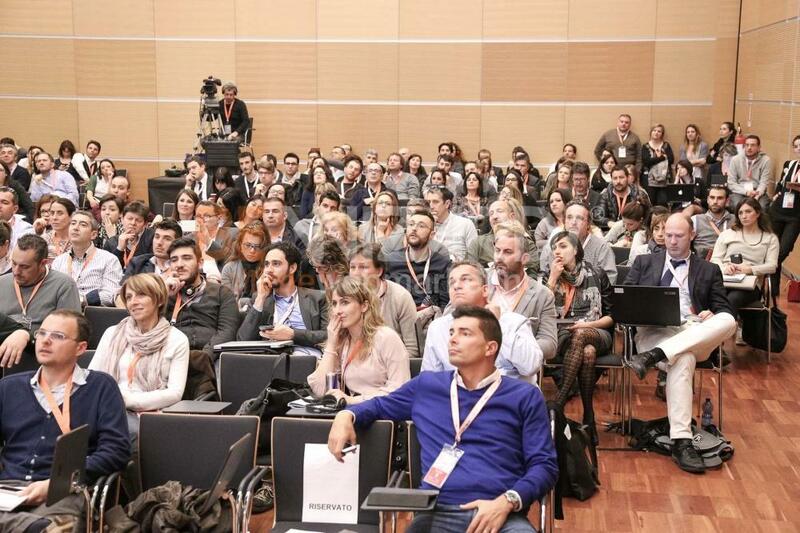 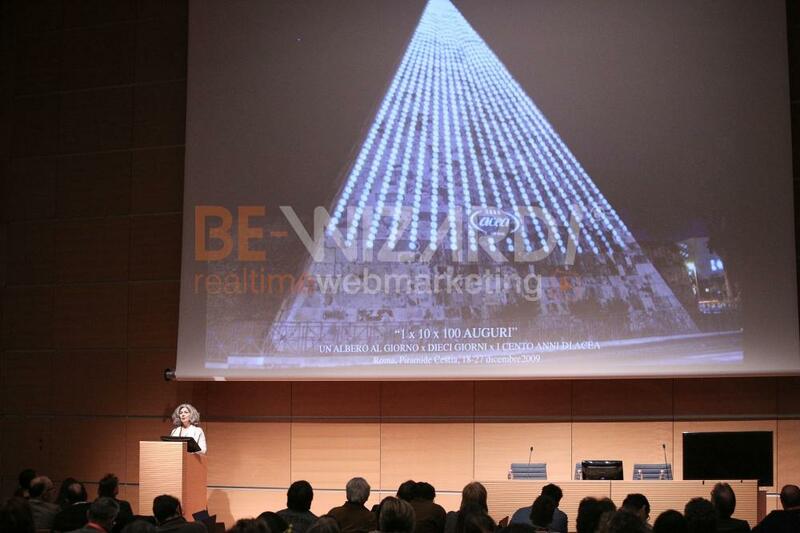 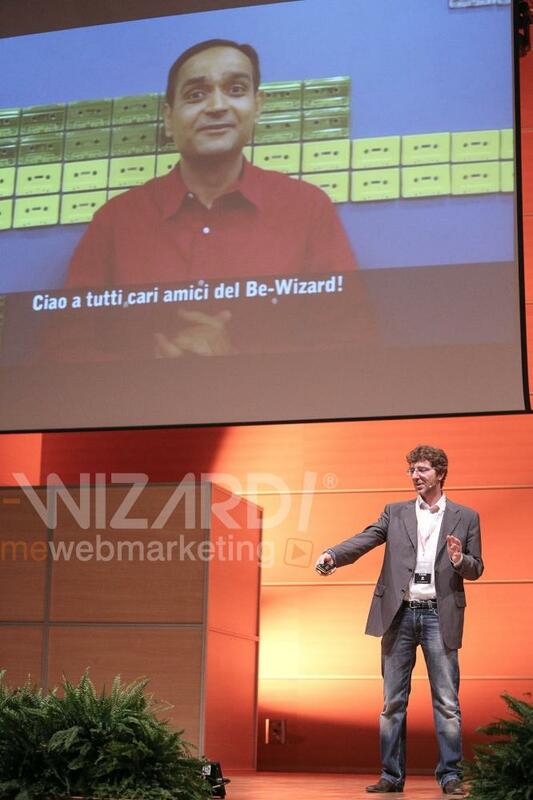 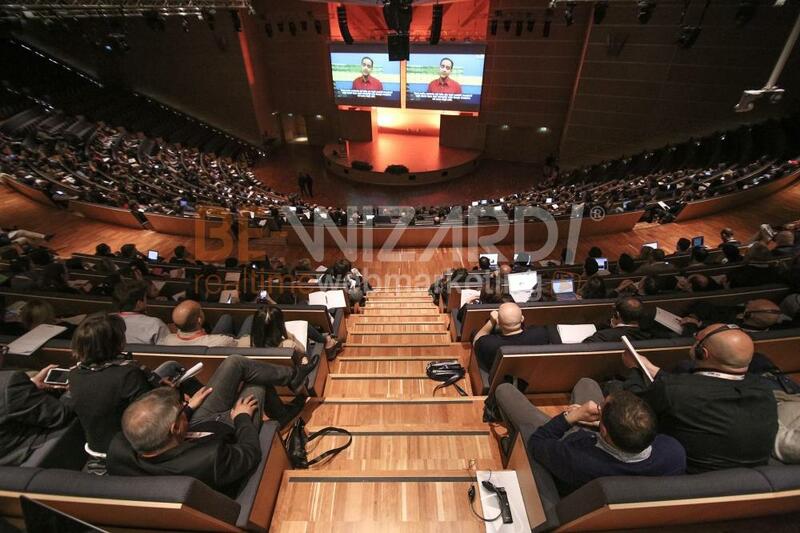 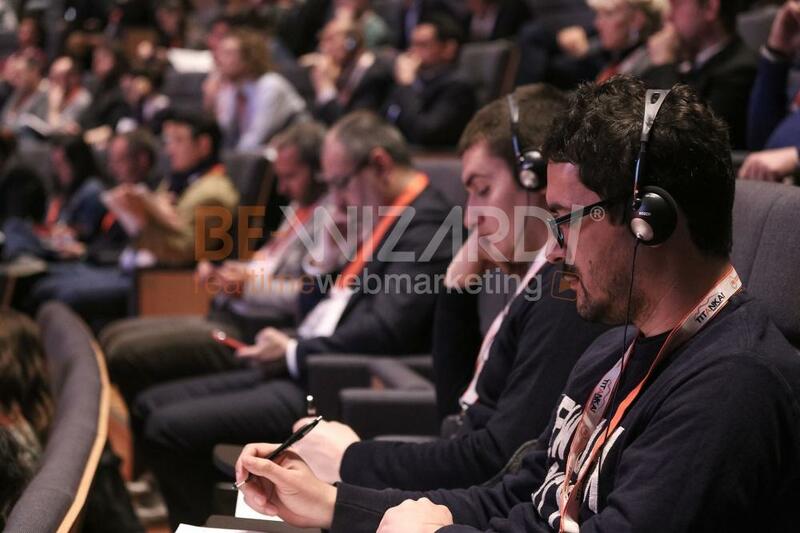 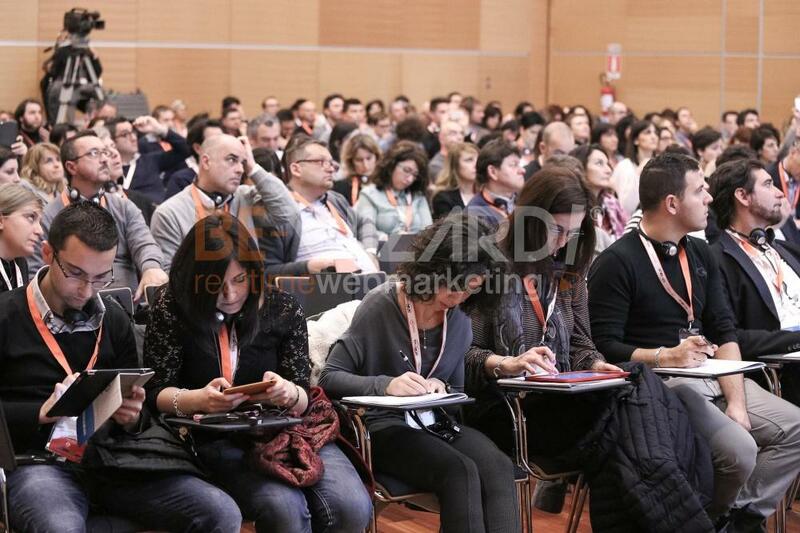 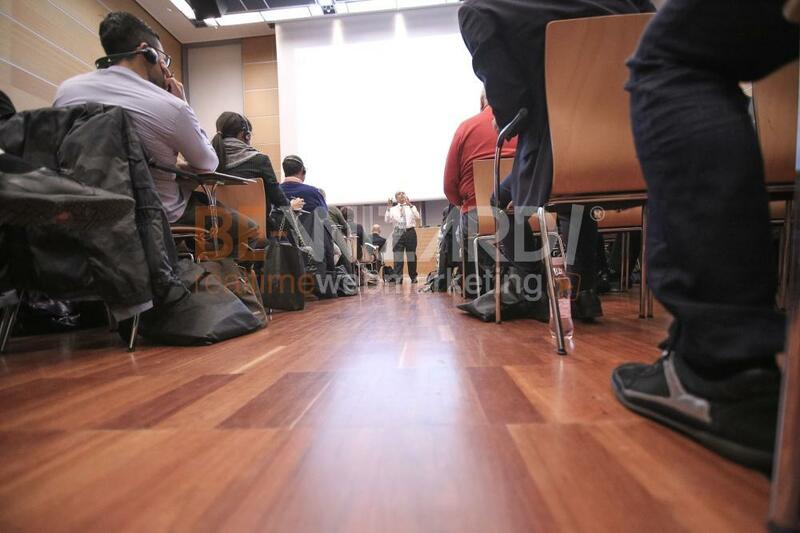 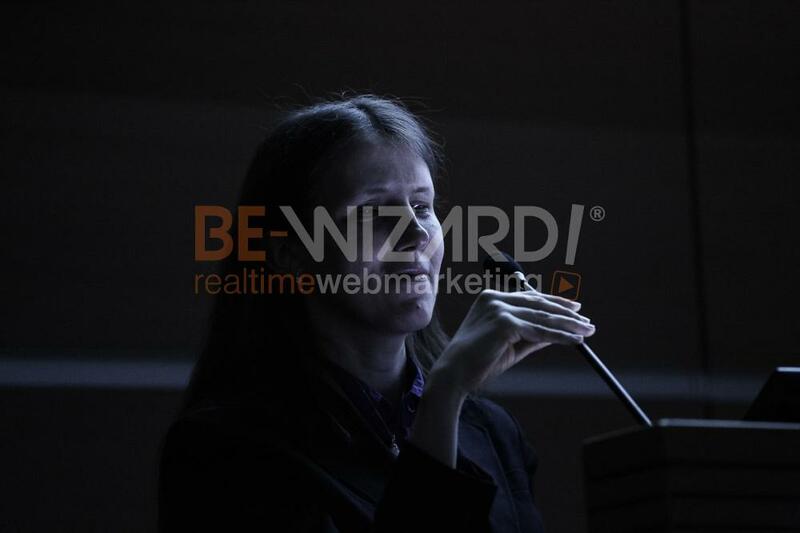 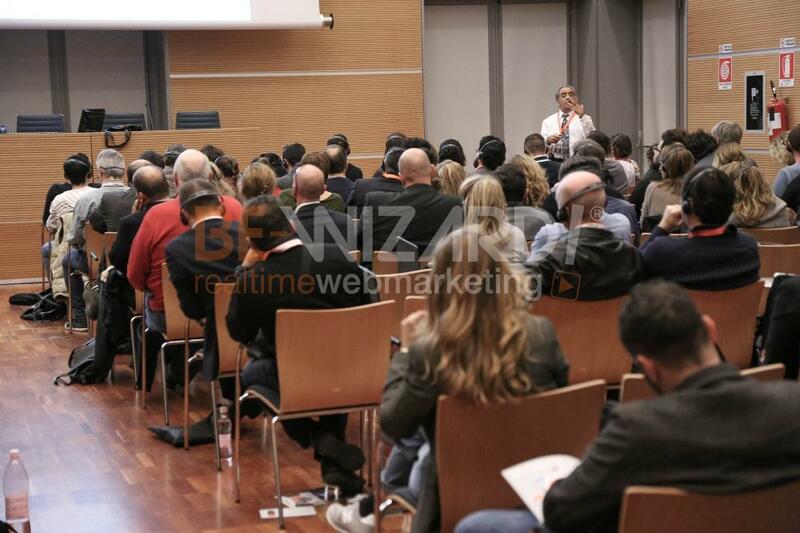 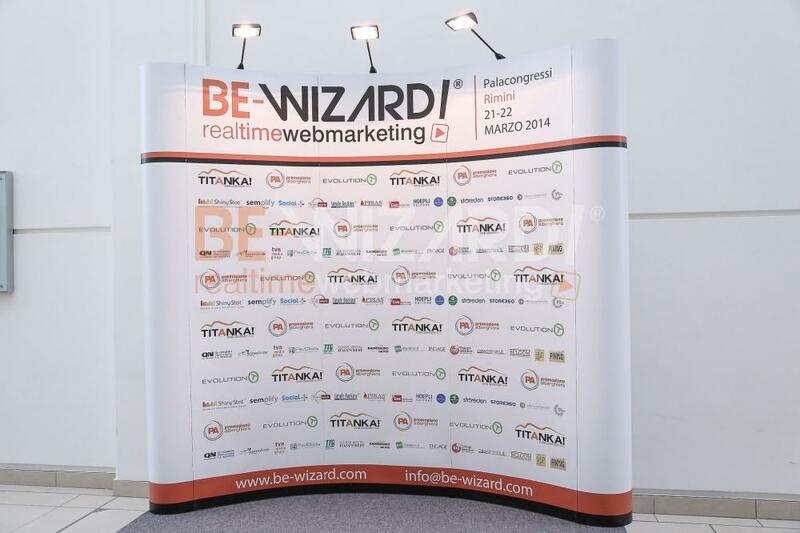 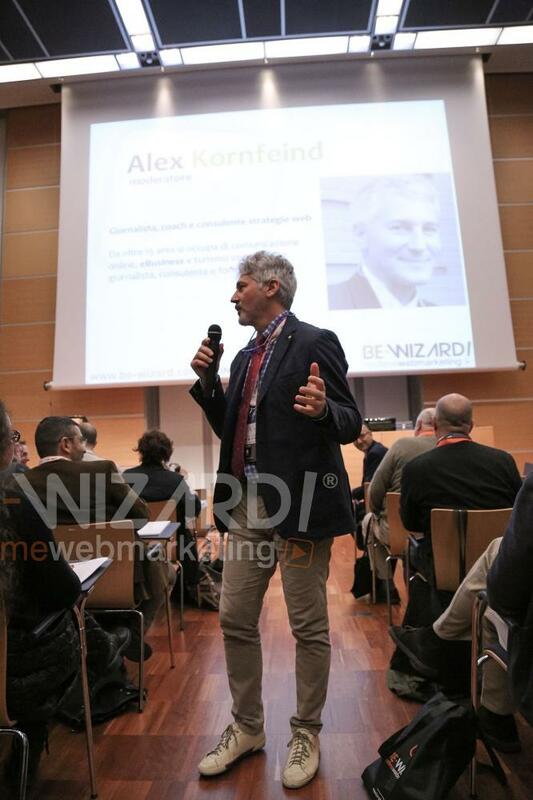 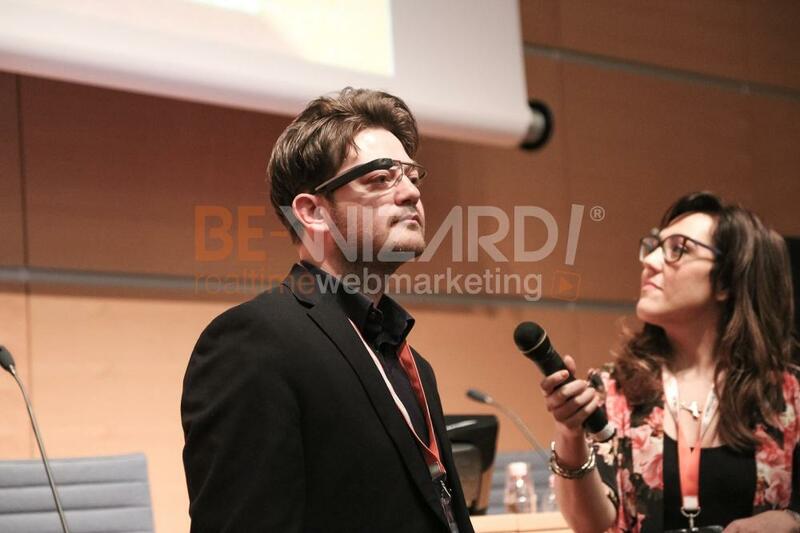 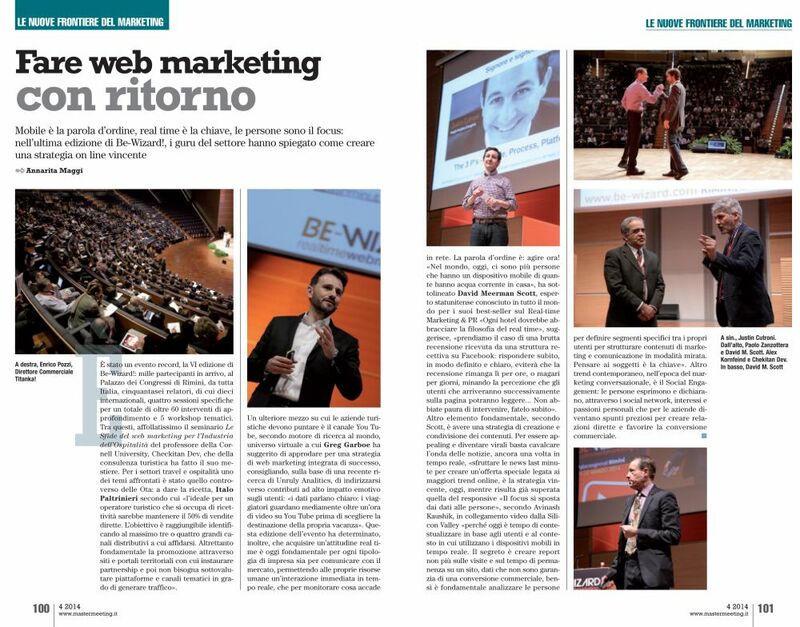 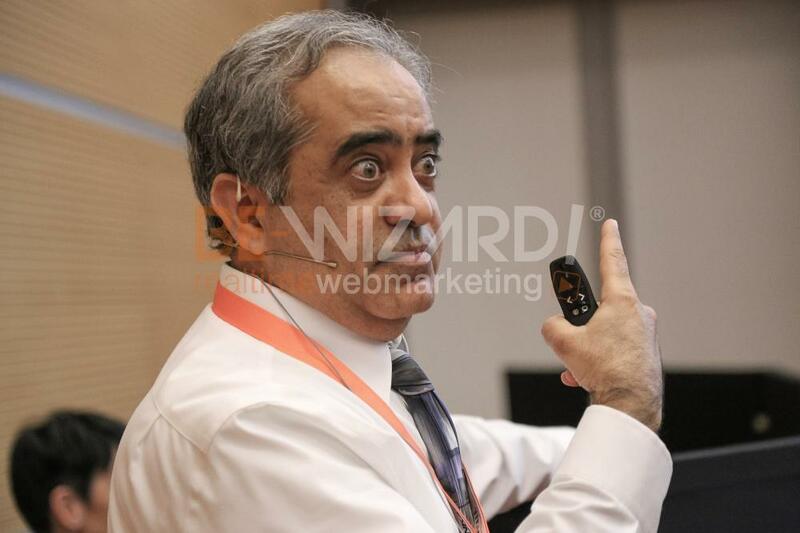 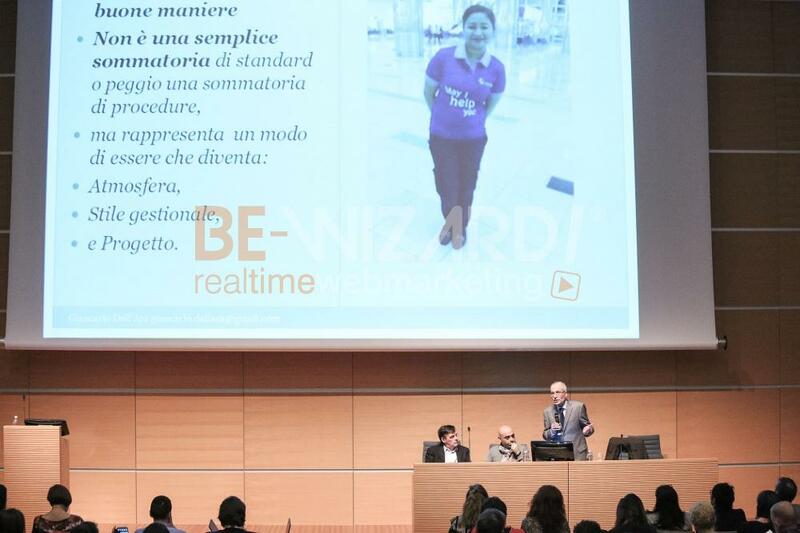 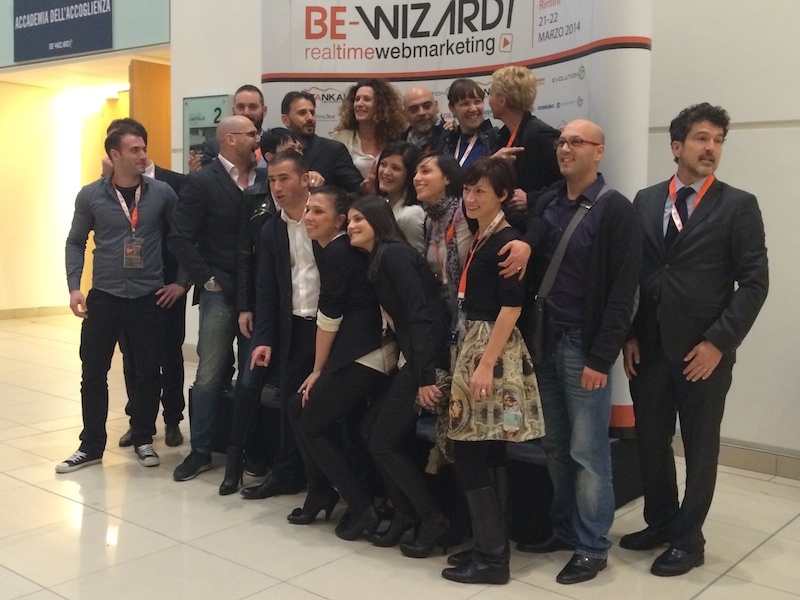 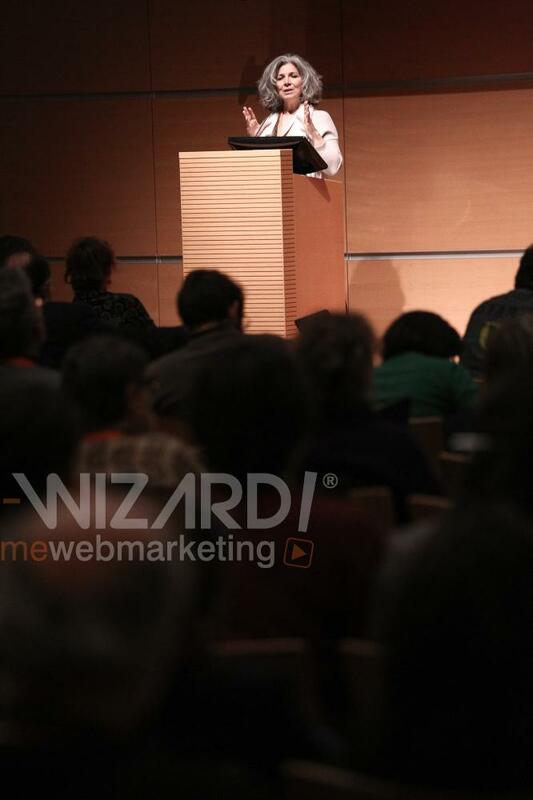 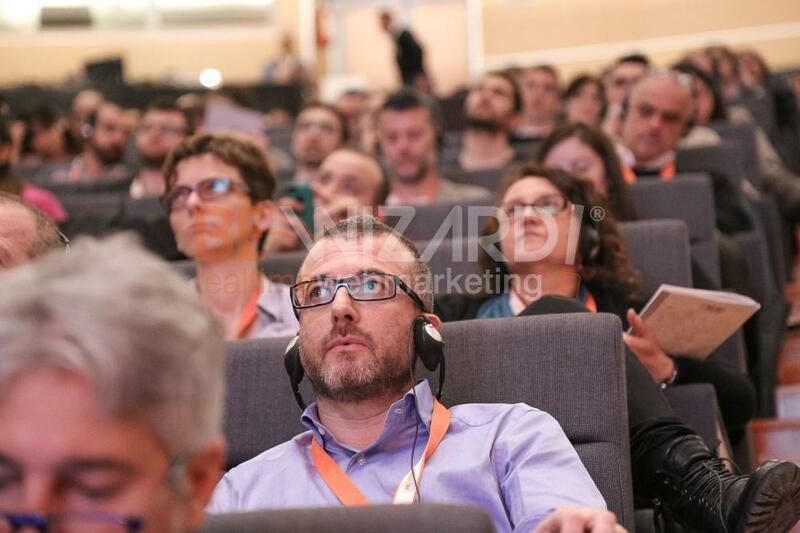 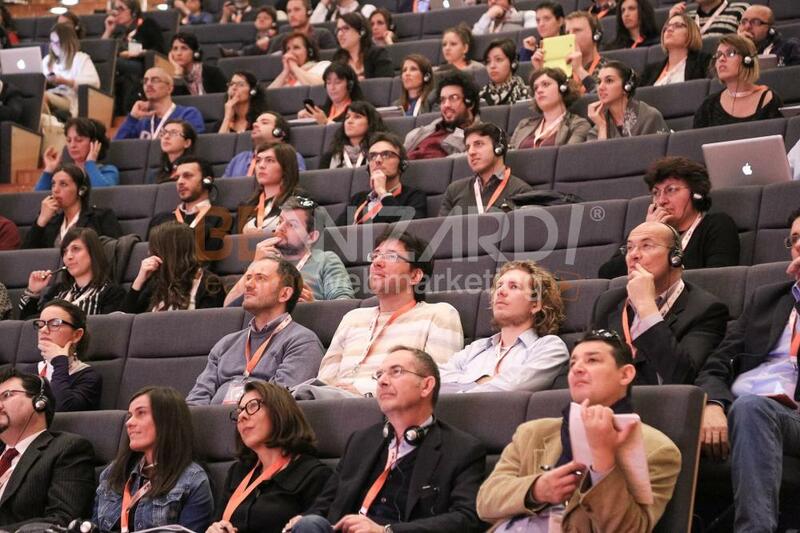 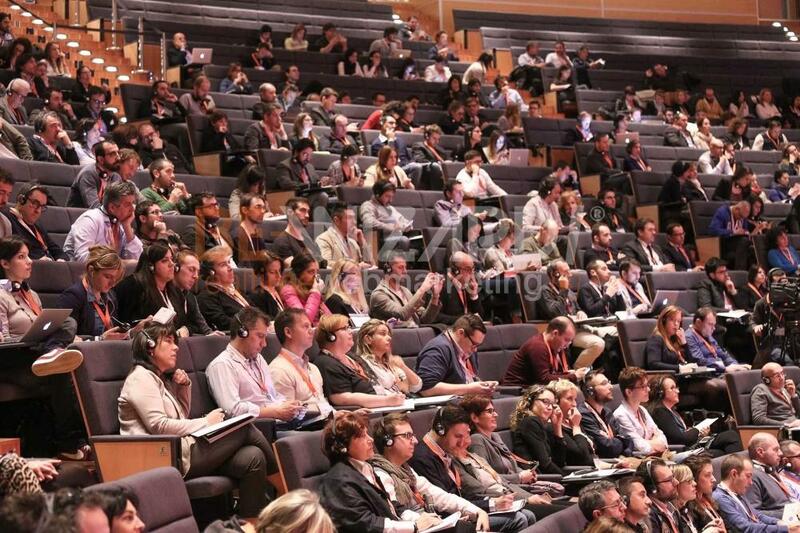 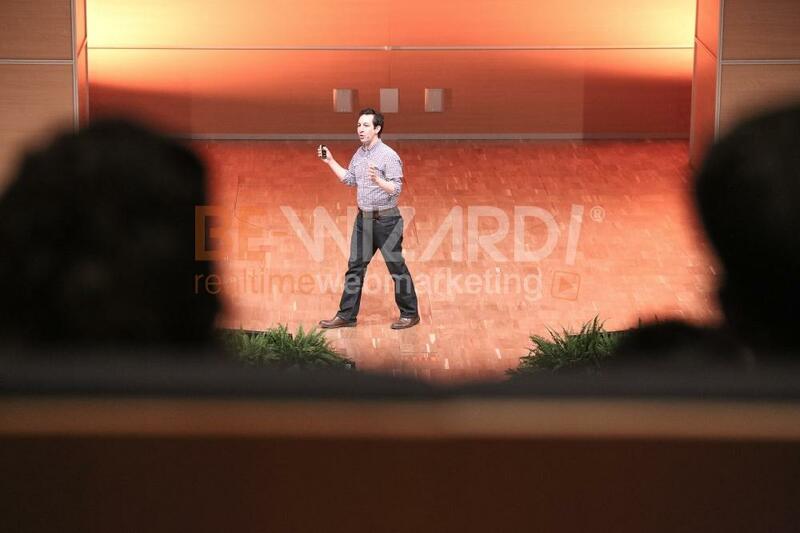 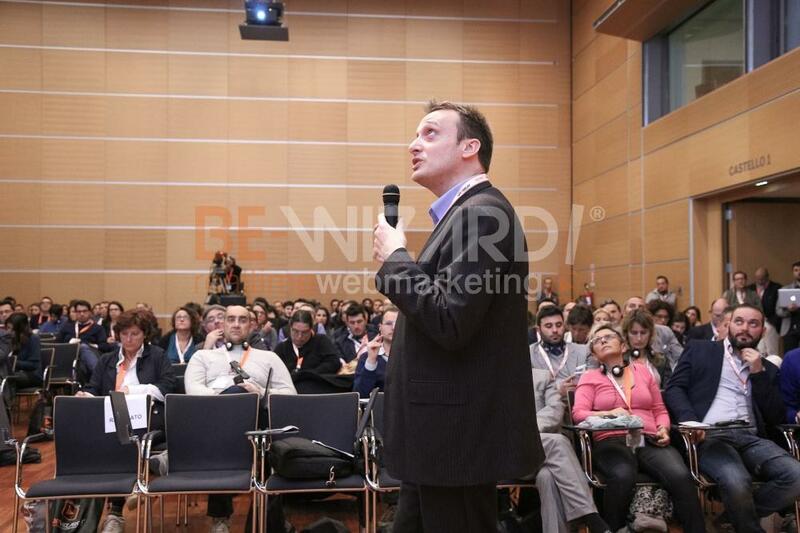 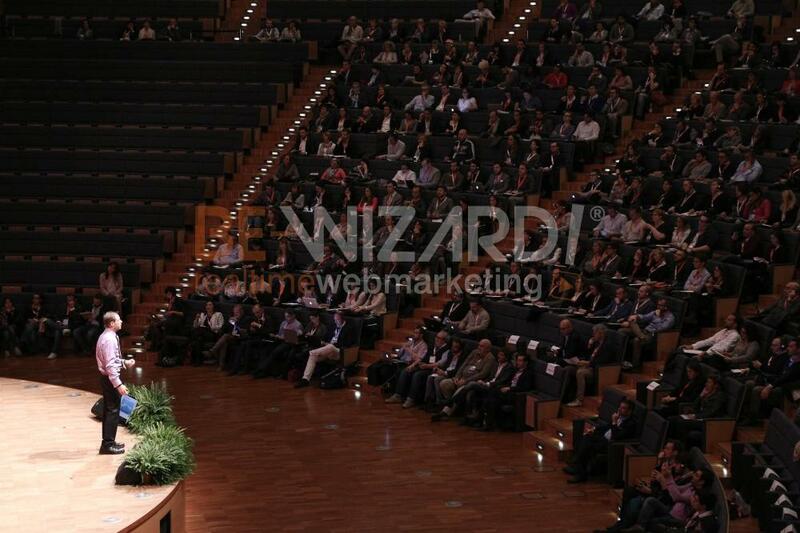 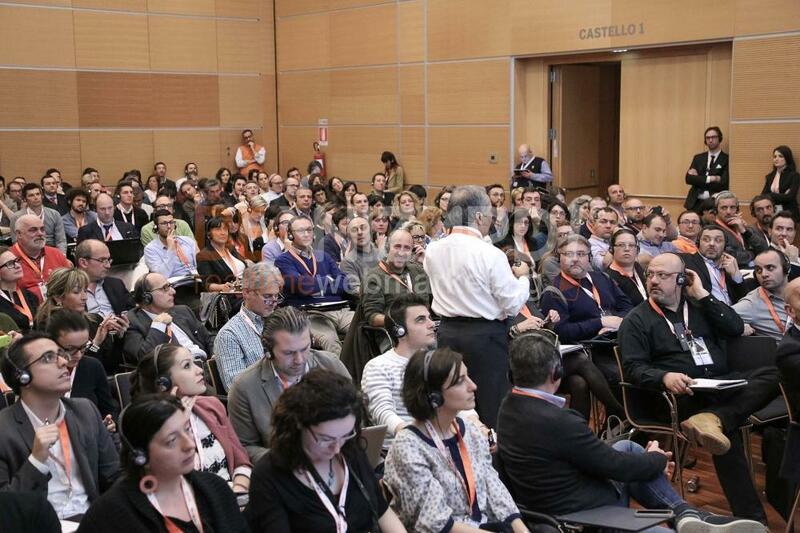 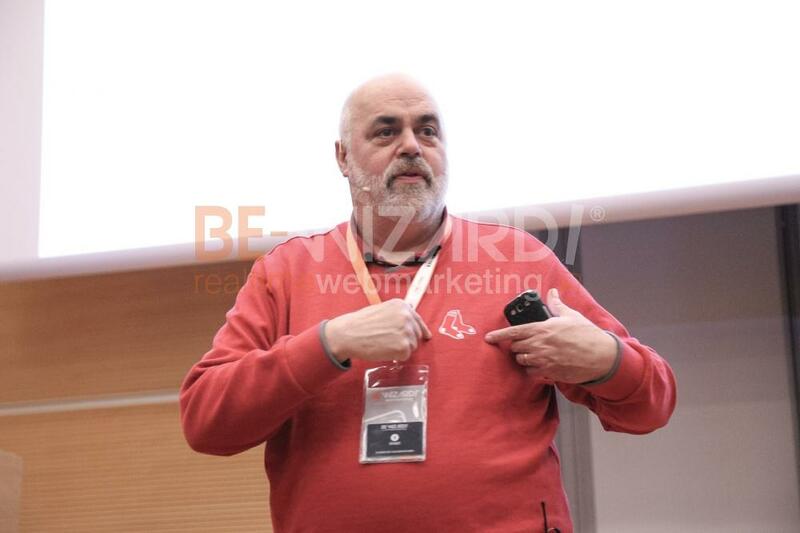 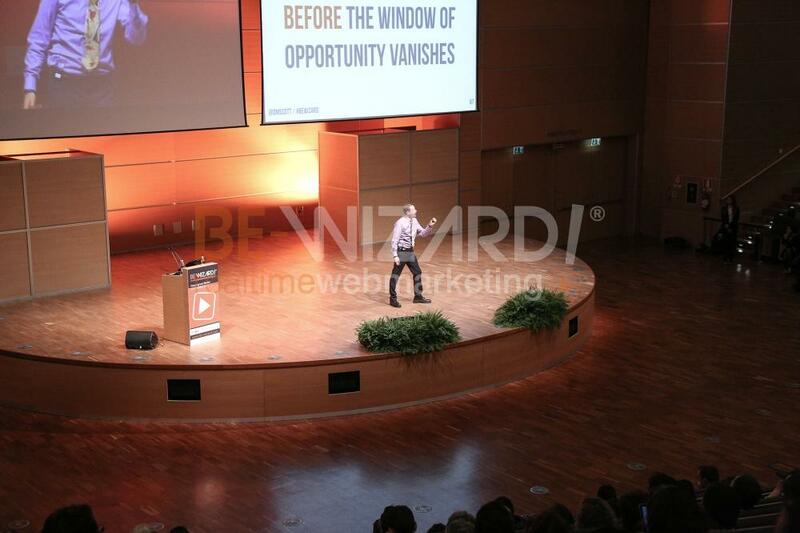 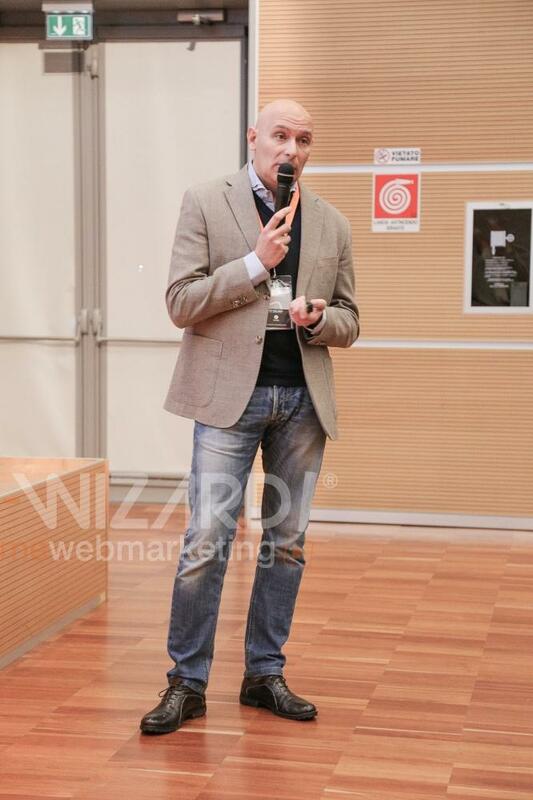 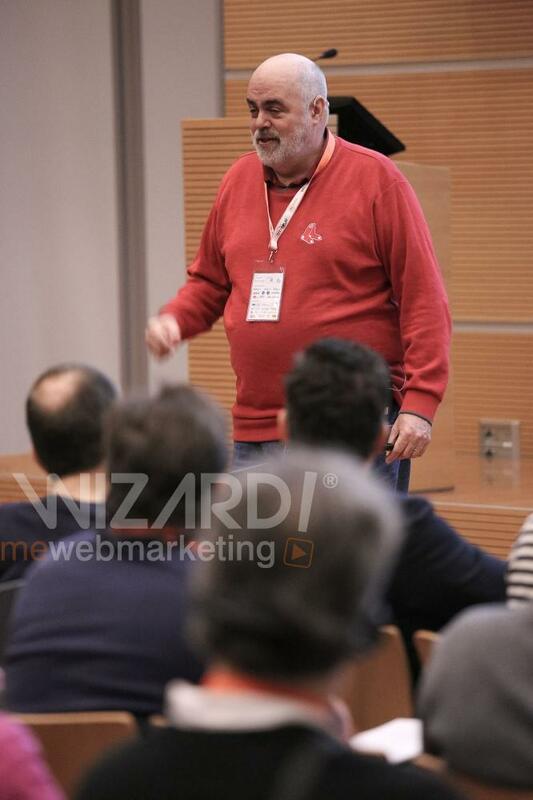 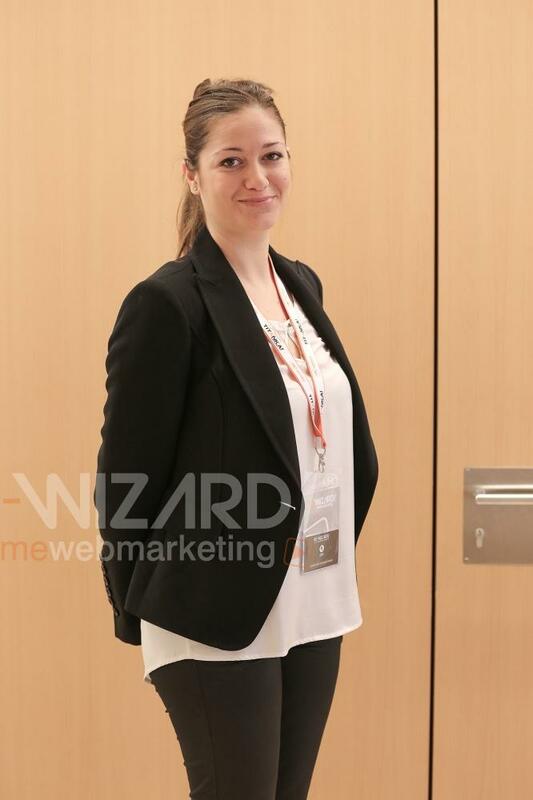 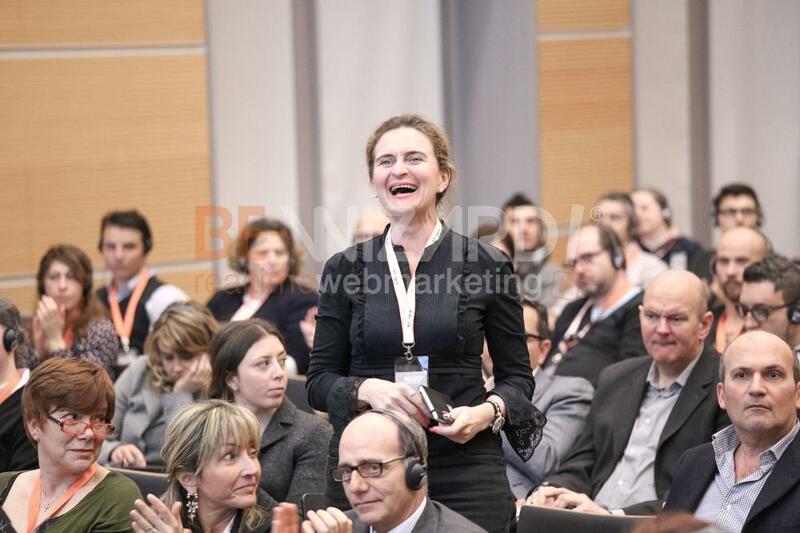 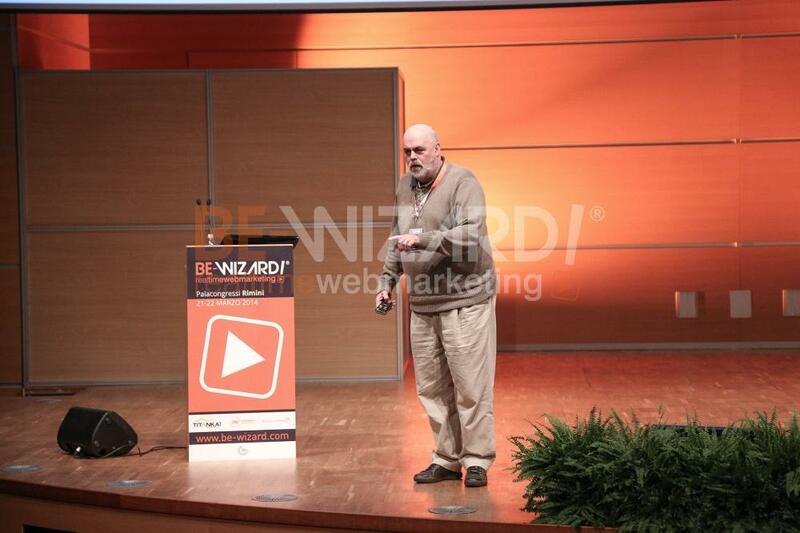 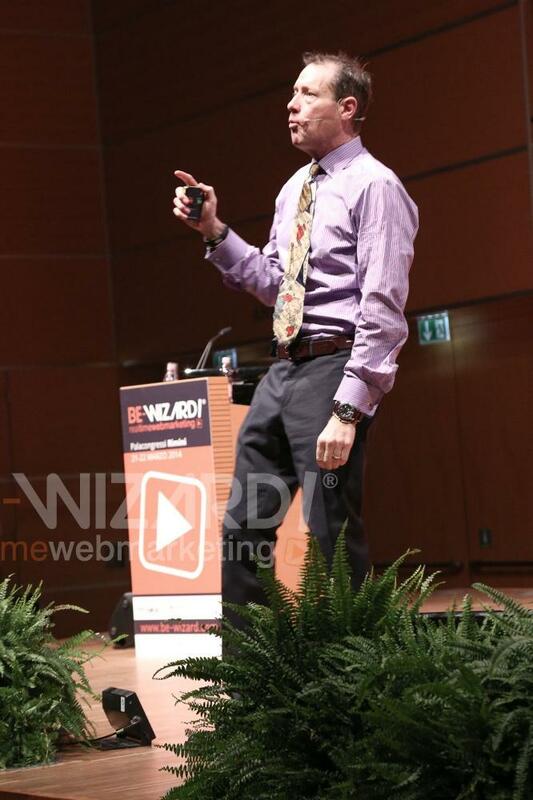 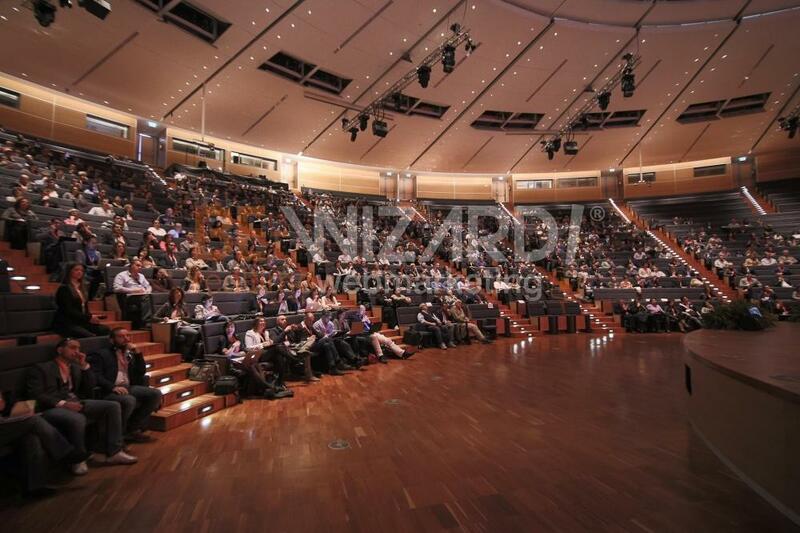 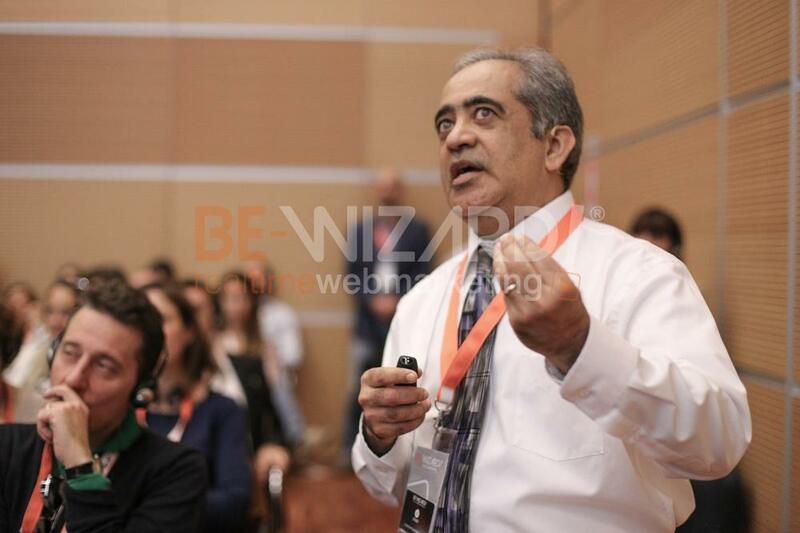 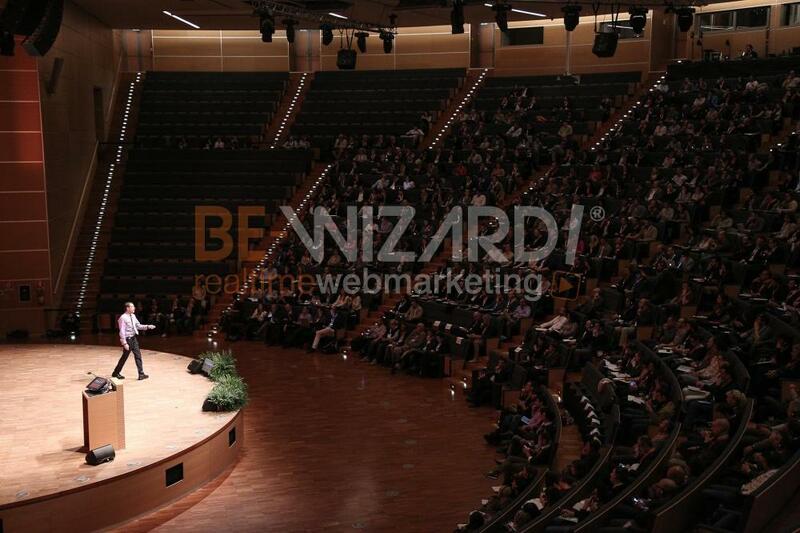 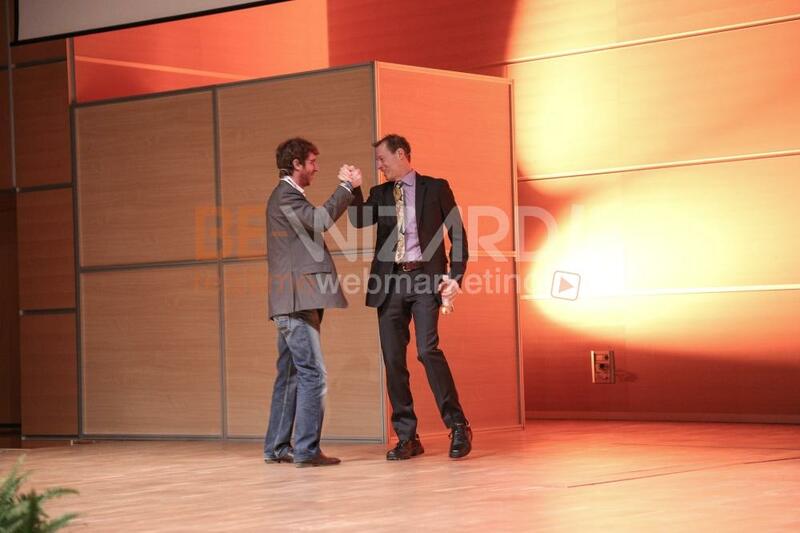 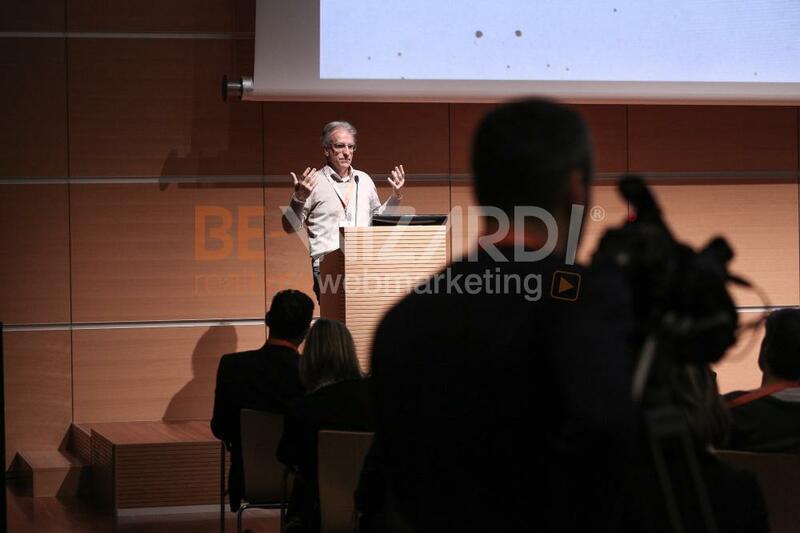 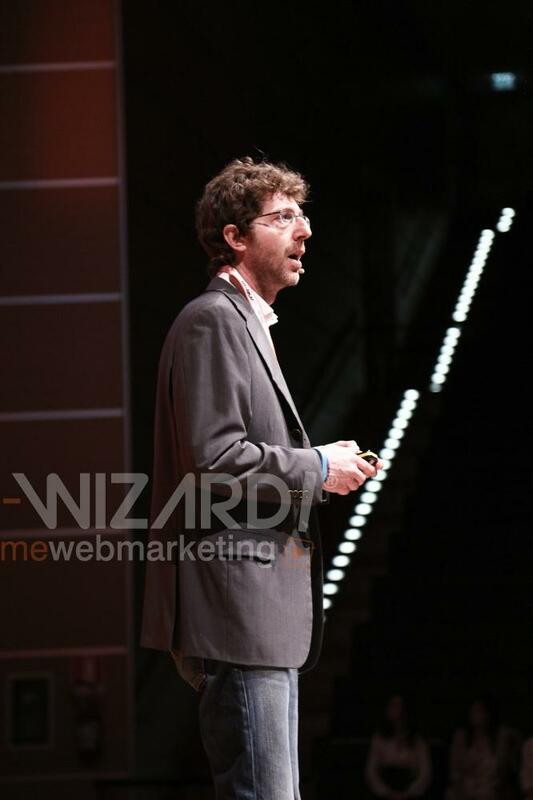 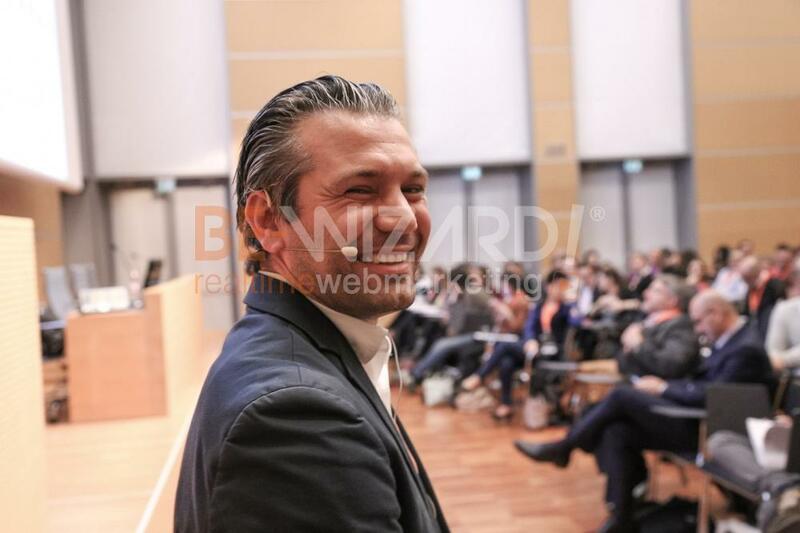 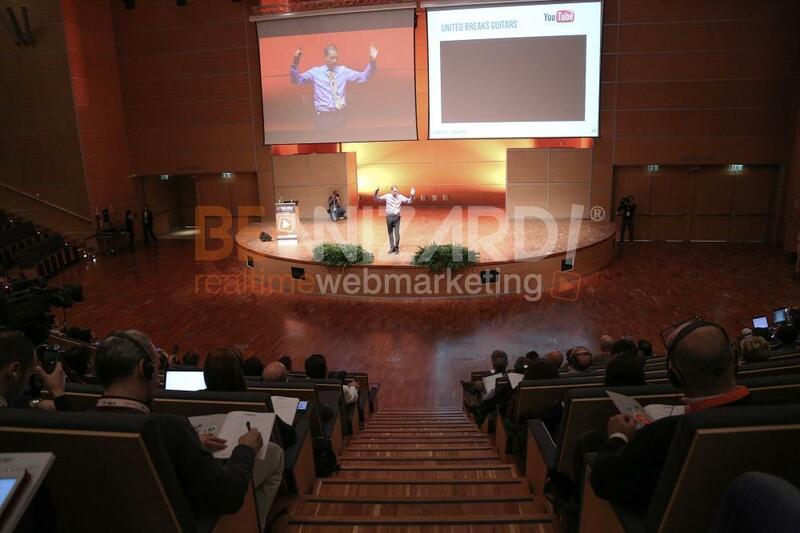 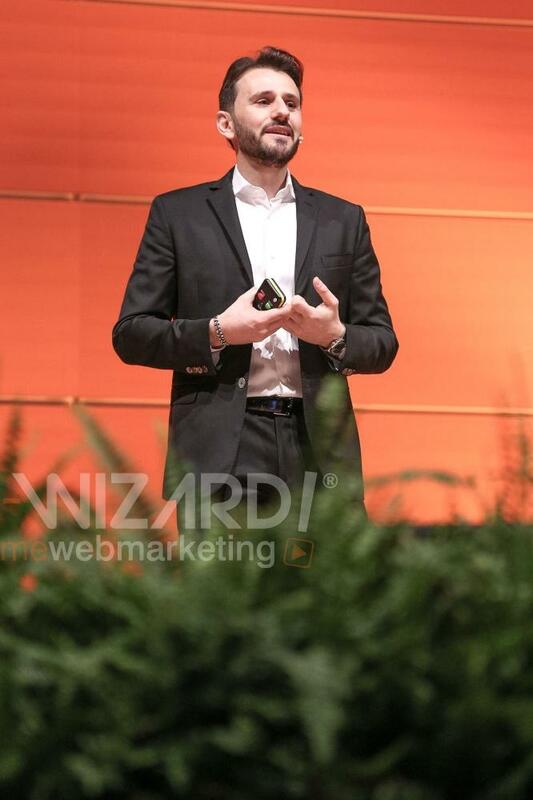 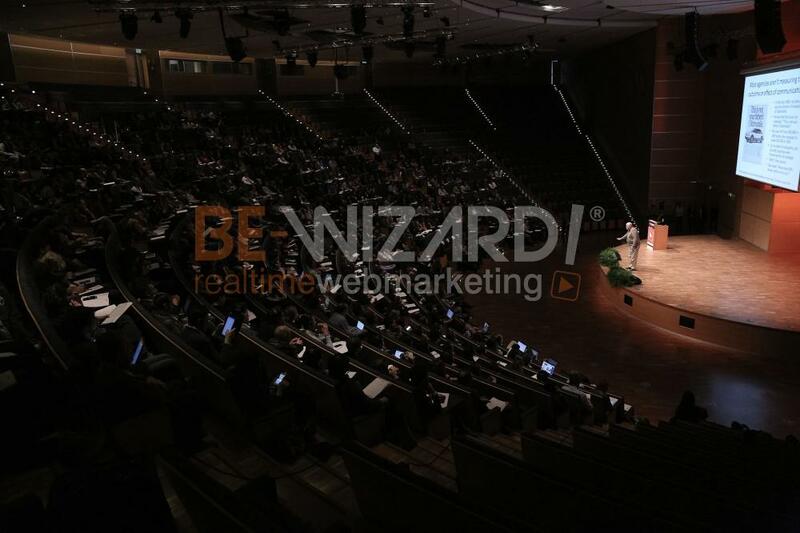 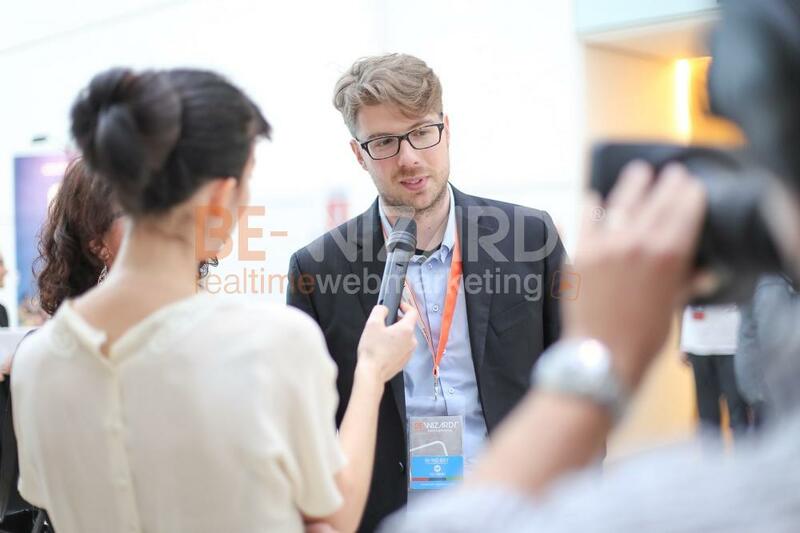 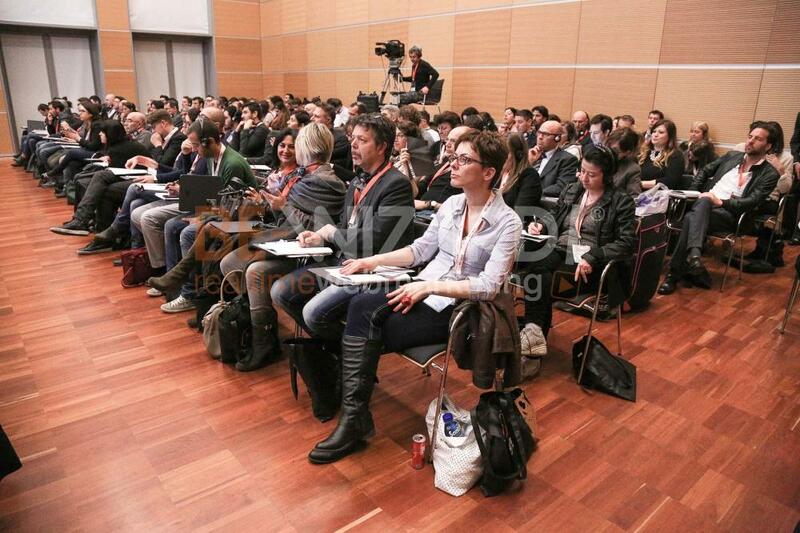 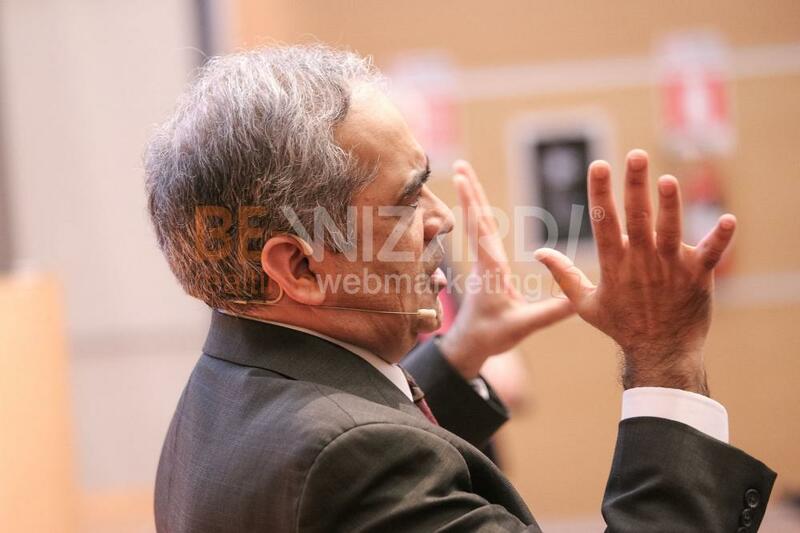 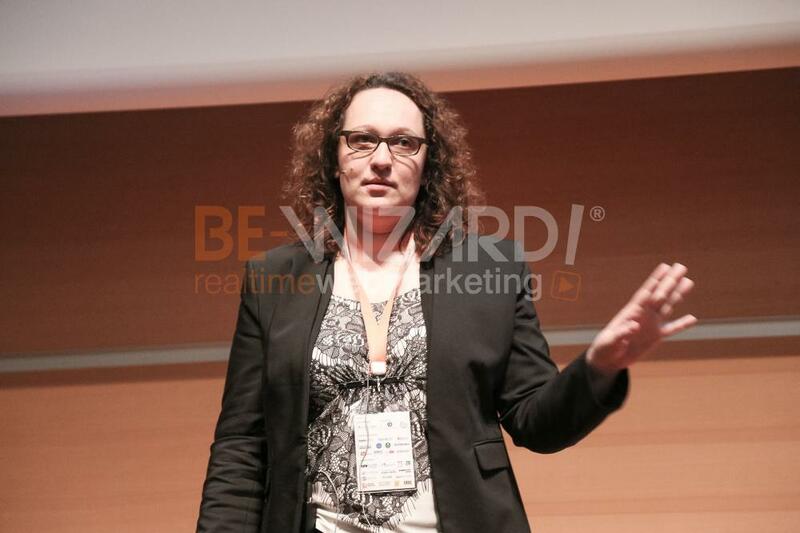 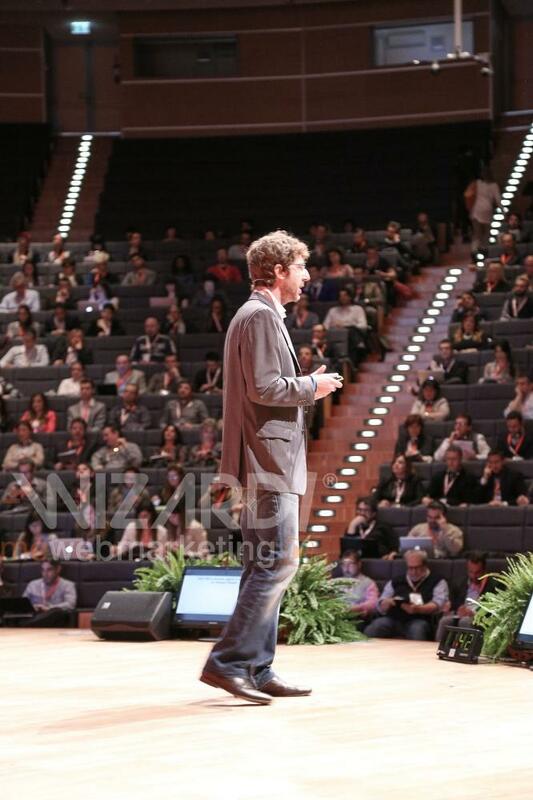 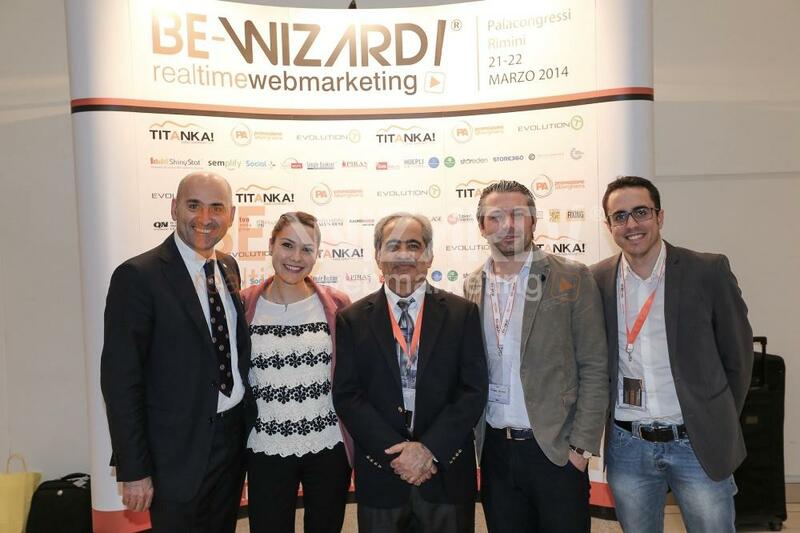 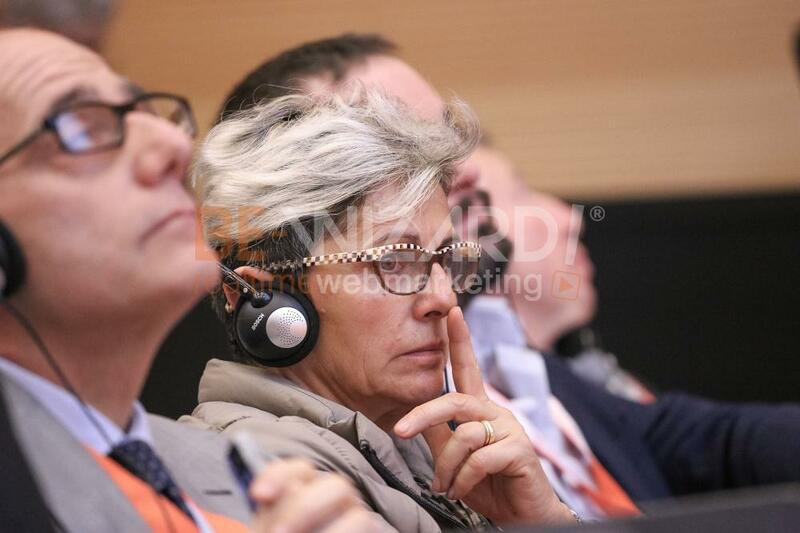 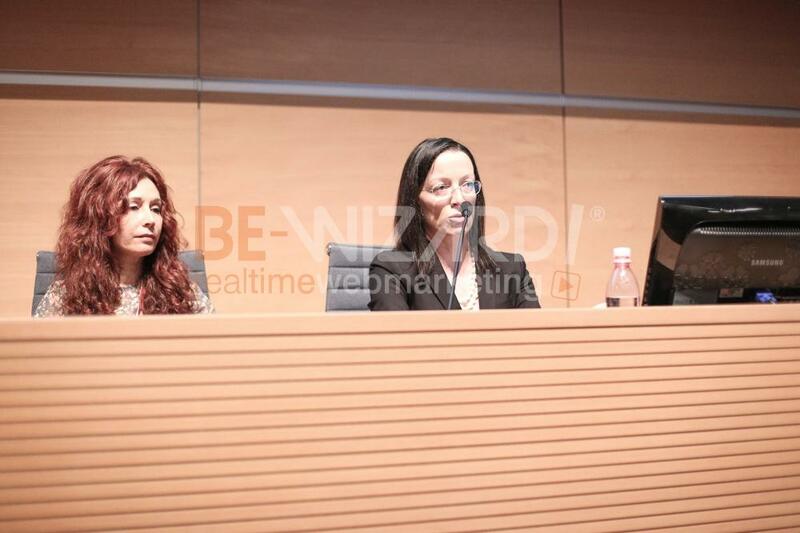 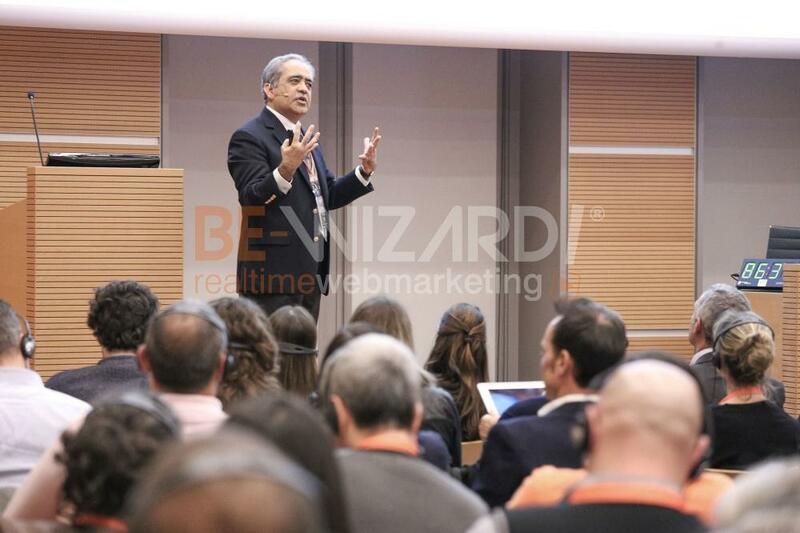 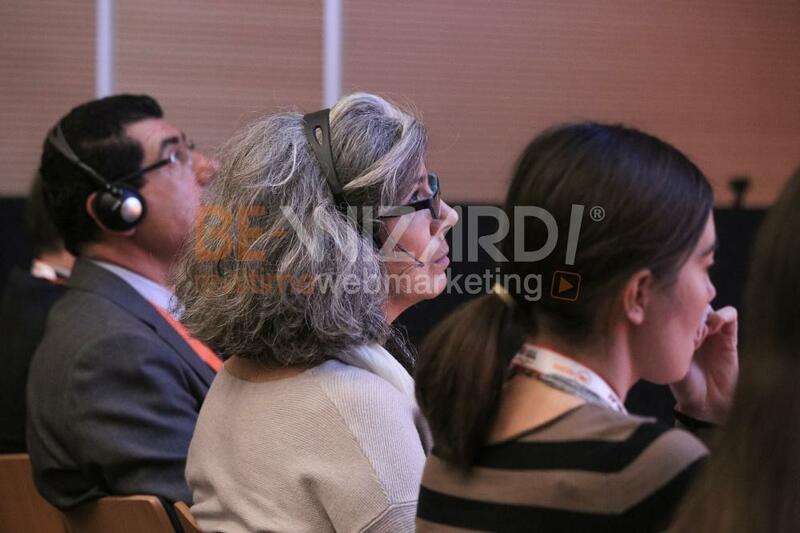 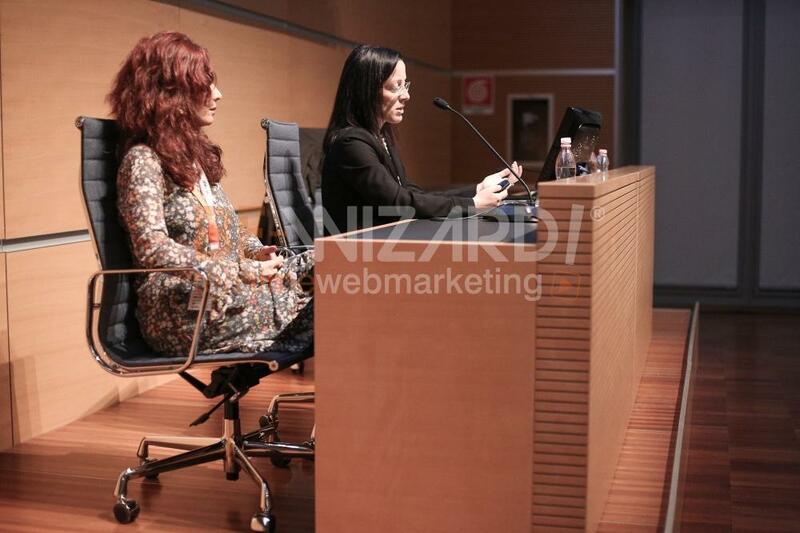 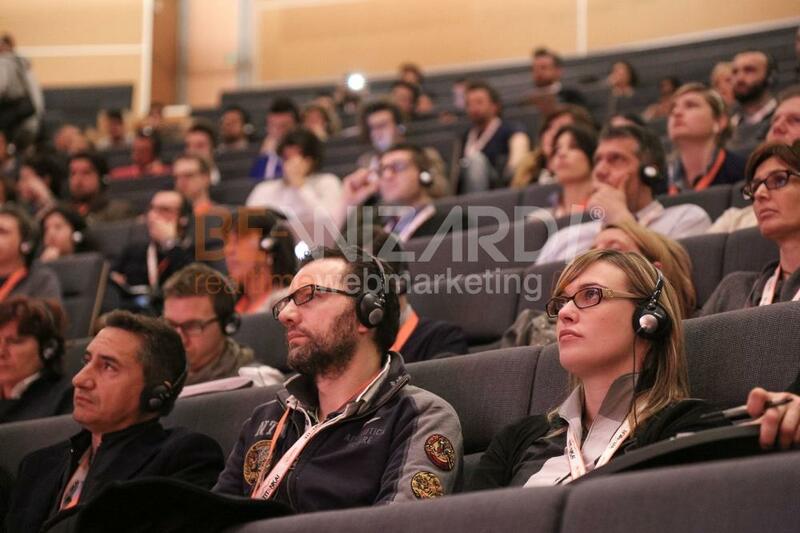 2014, a total of 56 speakers went on stage, we listened to 68 speeches dedicated to web marketing, 27 companies sponsored the event, over 7,400 tweets and hundreds of articles devoted to BE-Wizard were written both on-line and in the national press! 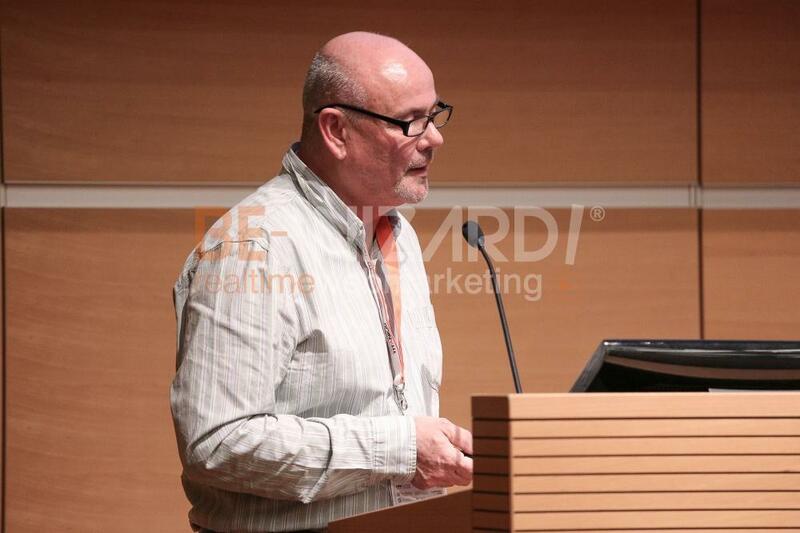 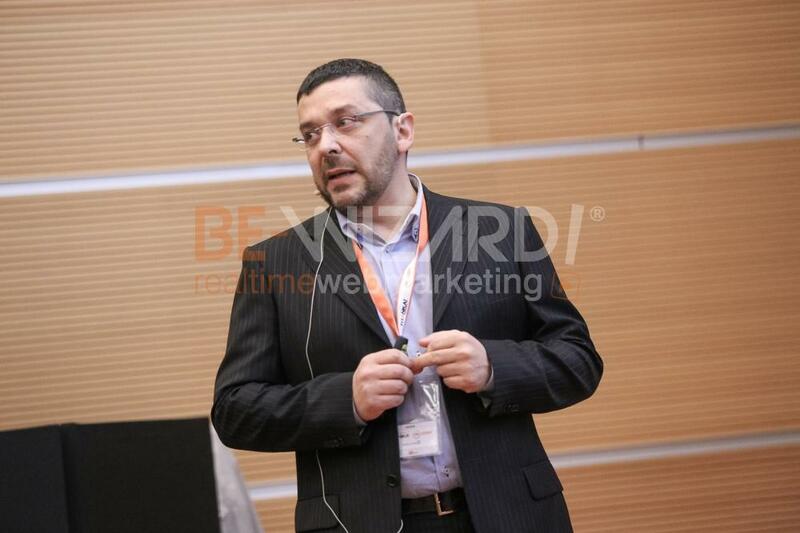 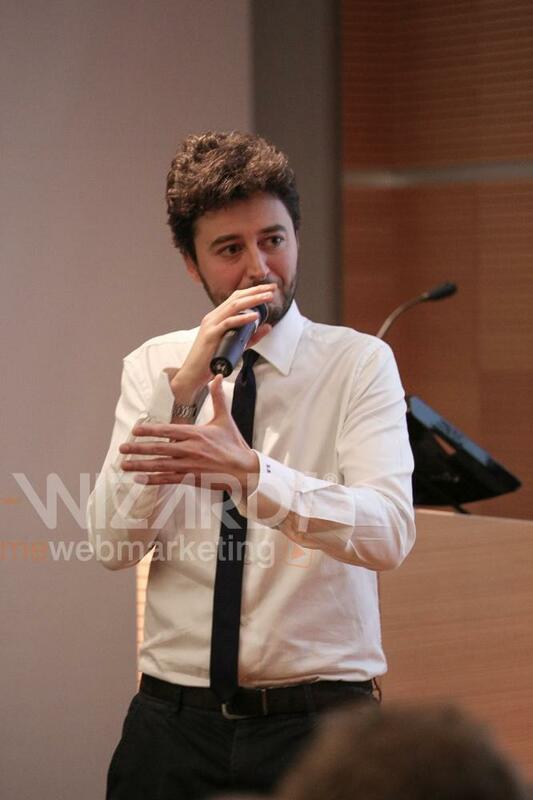 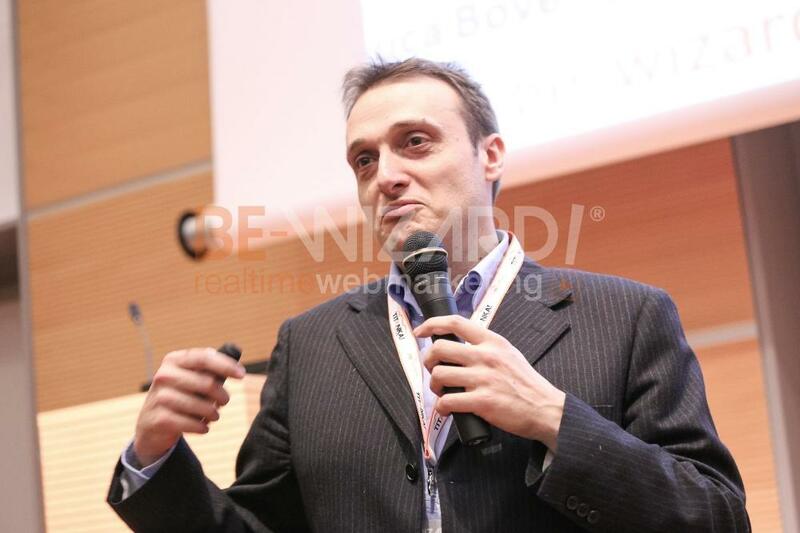 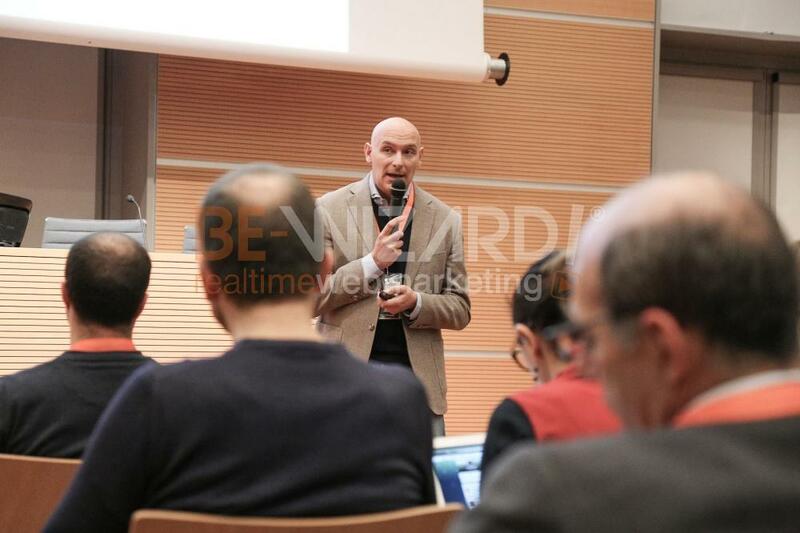 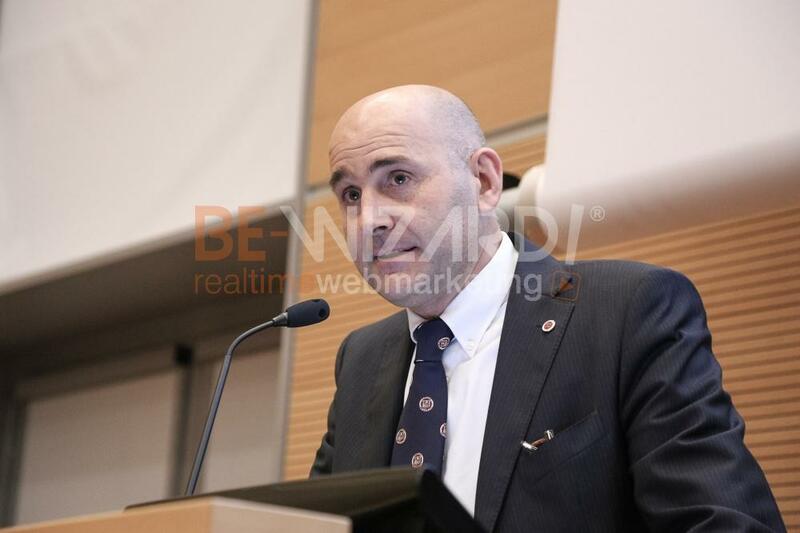 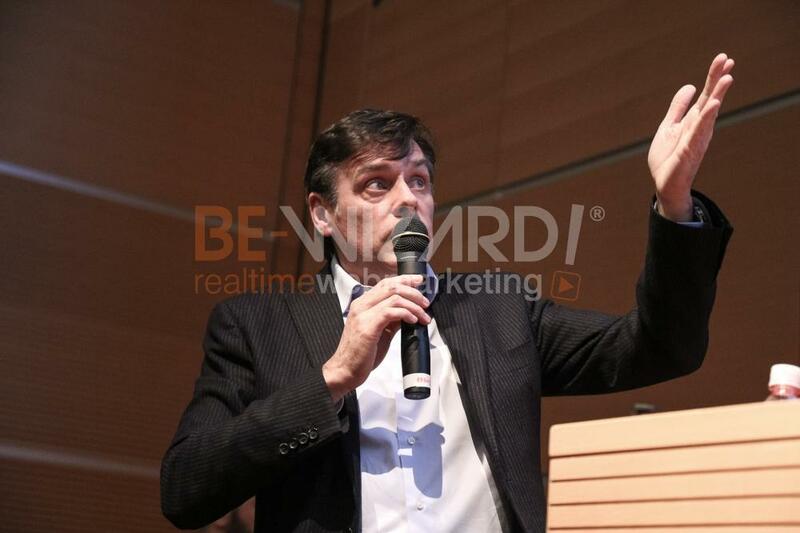 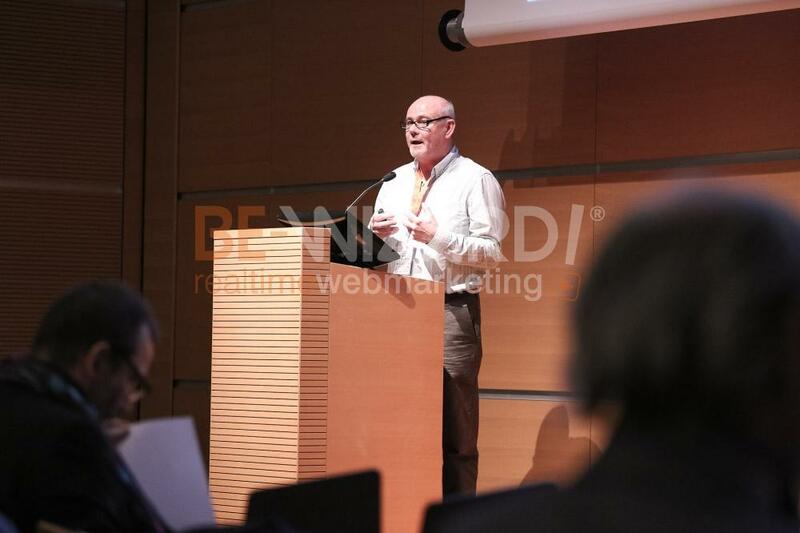 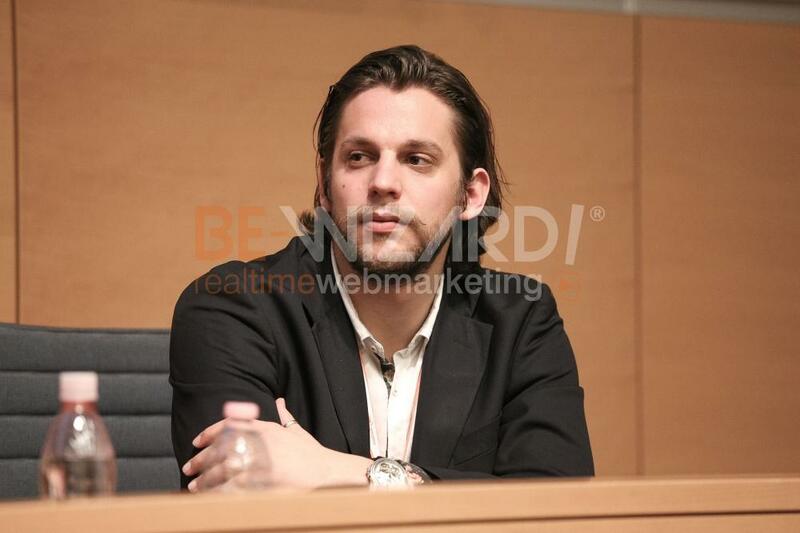 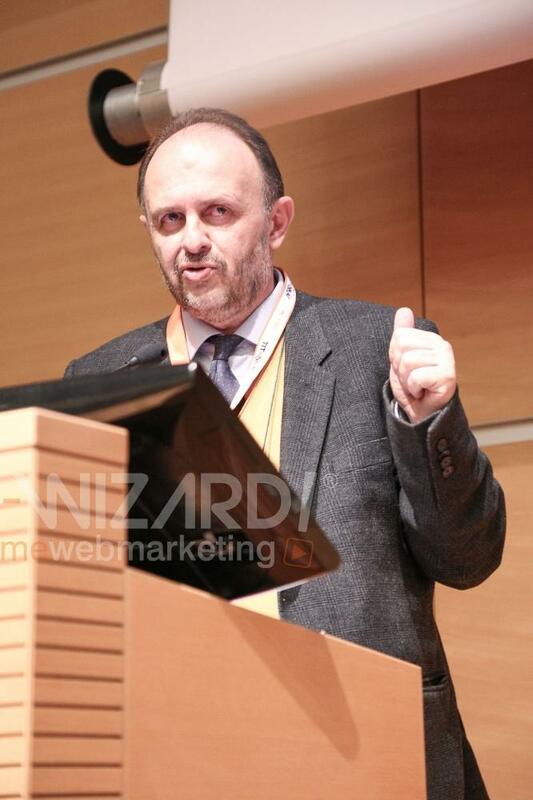 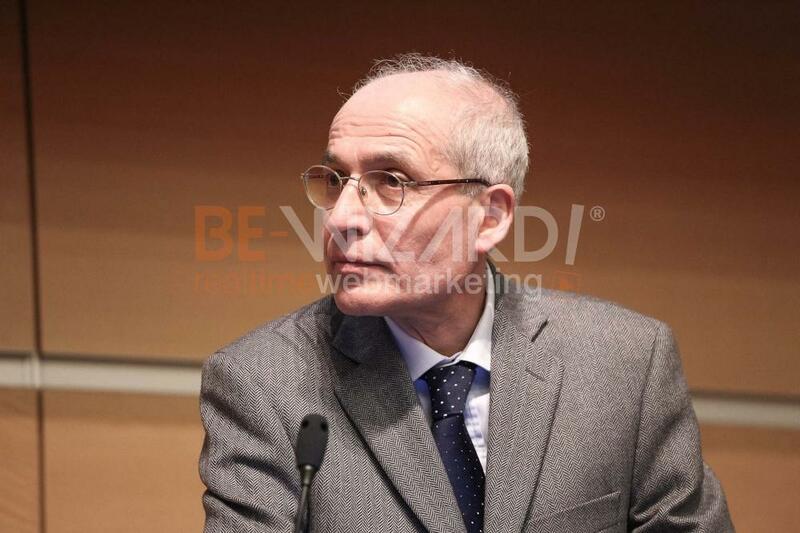 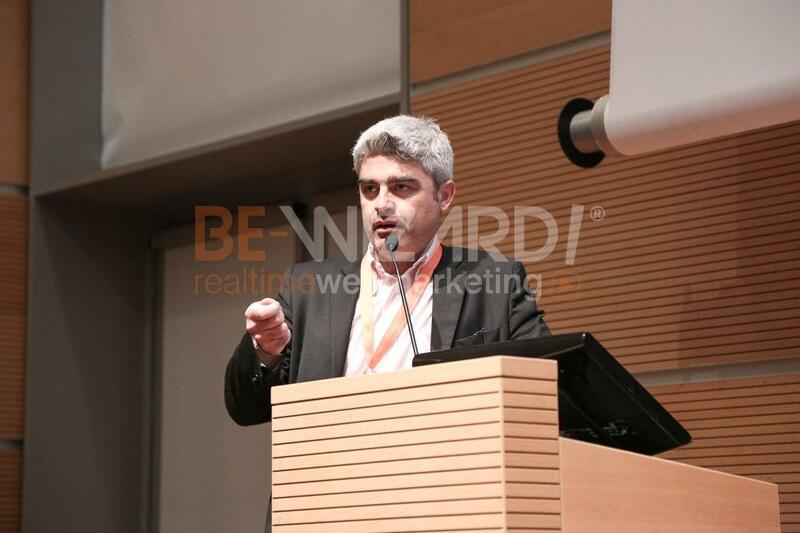 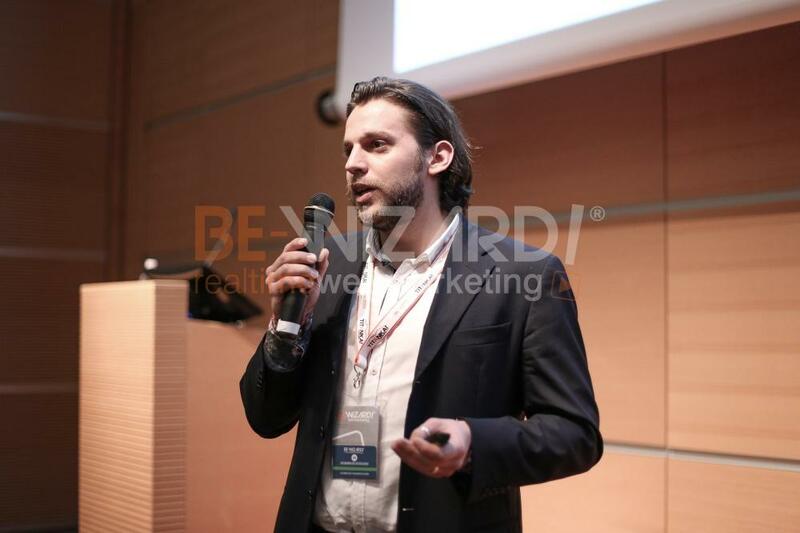 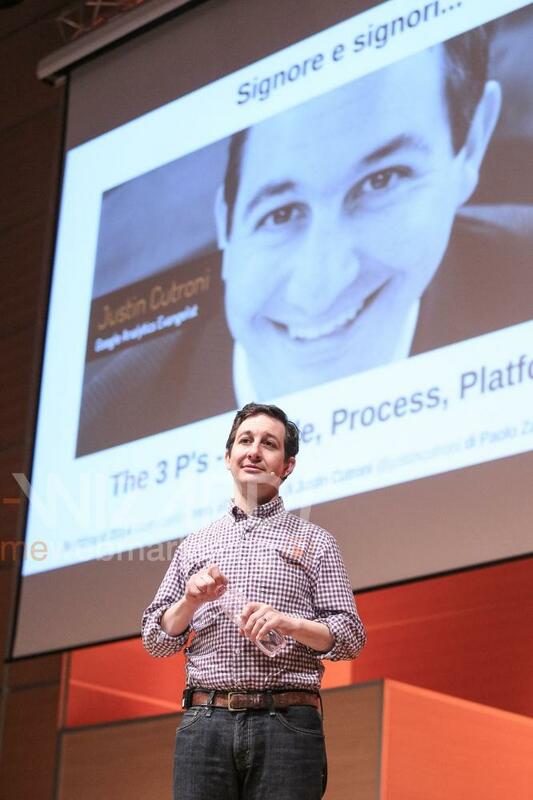 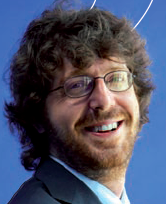 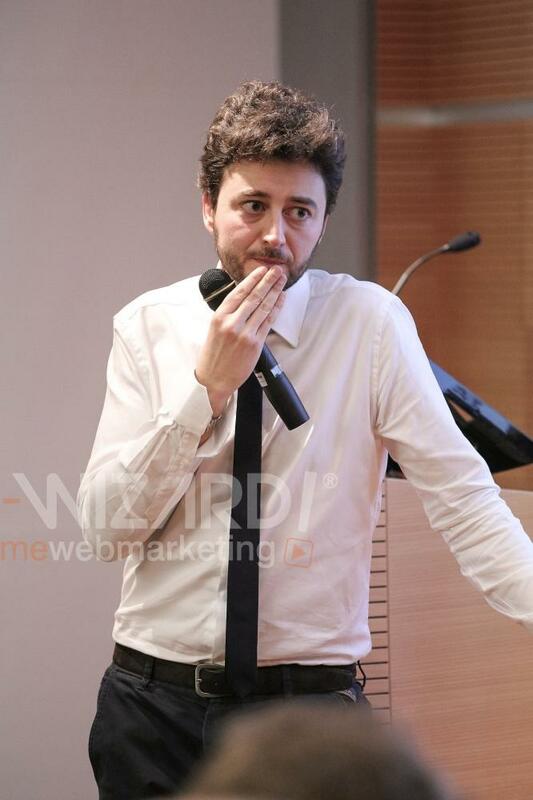 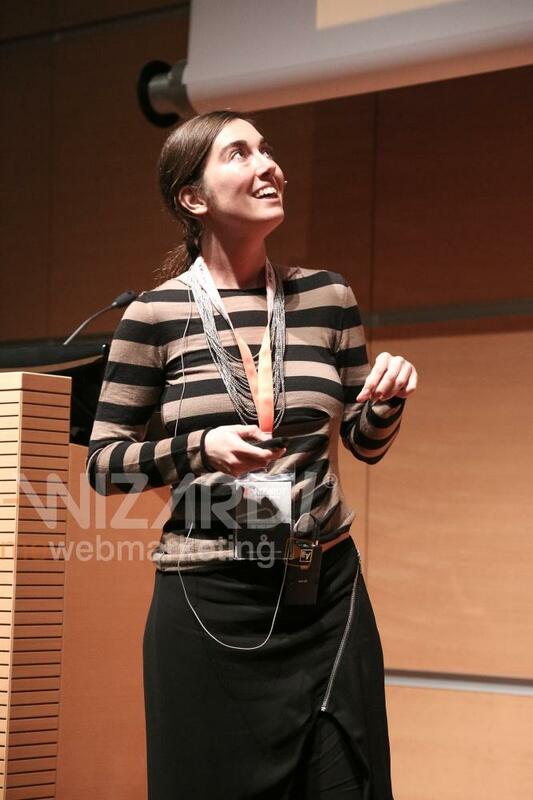 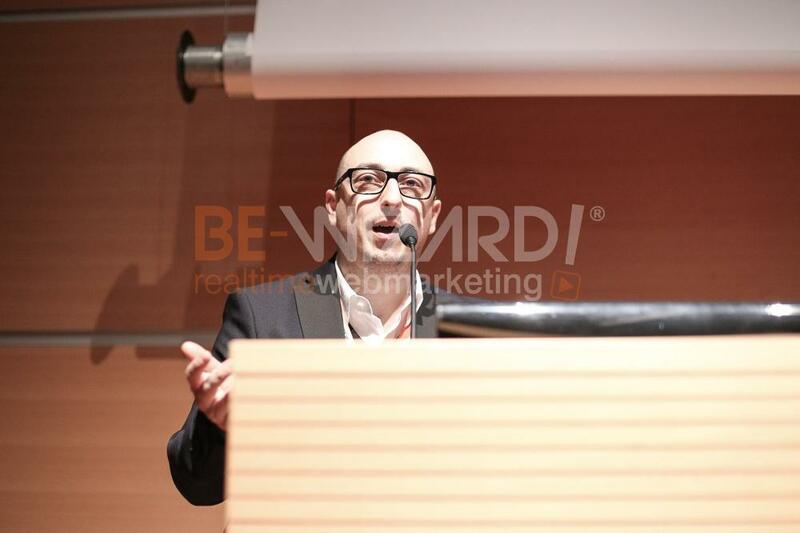 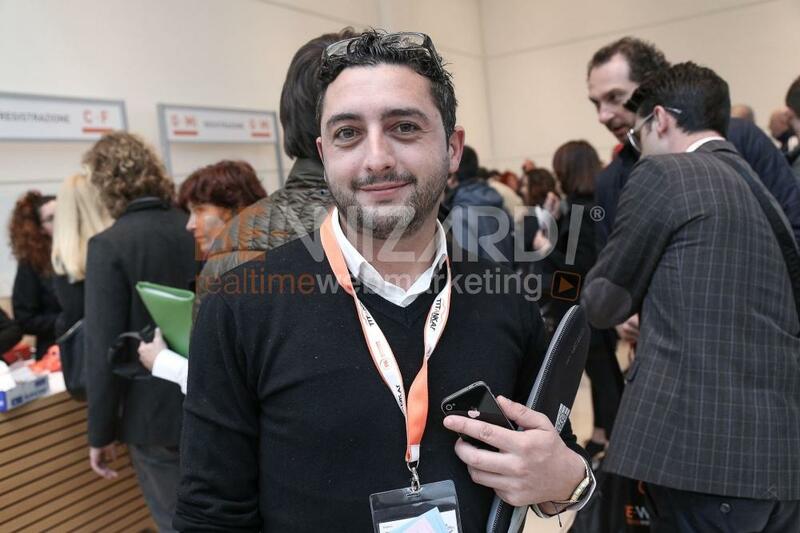 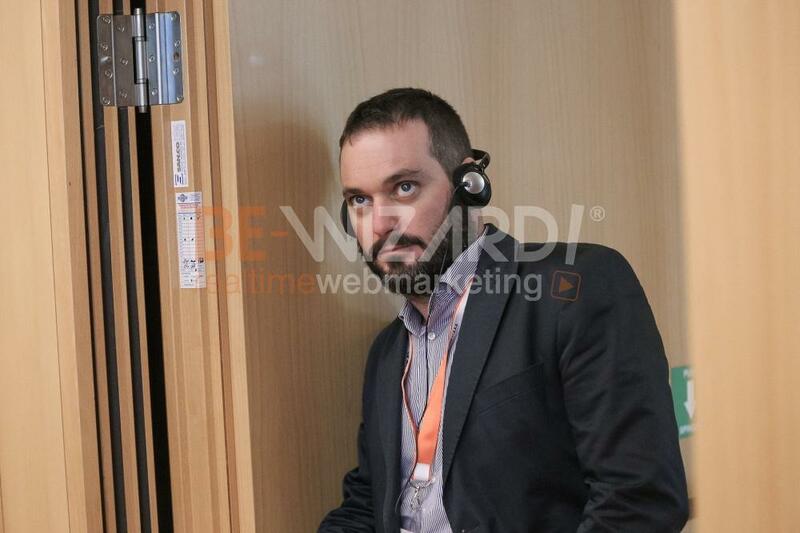 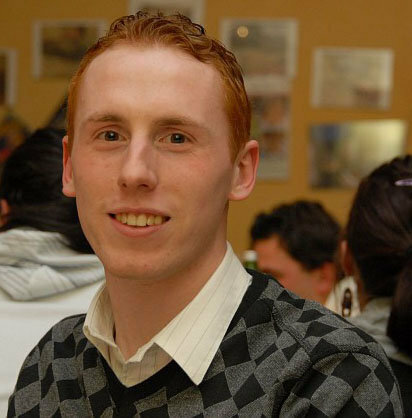 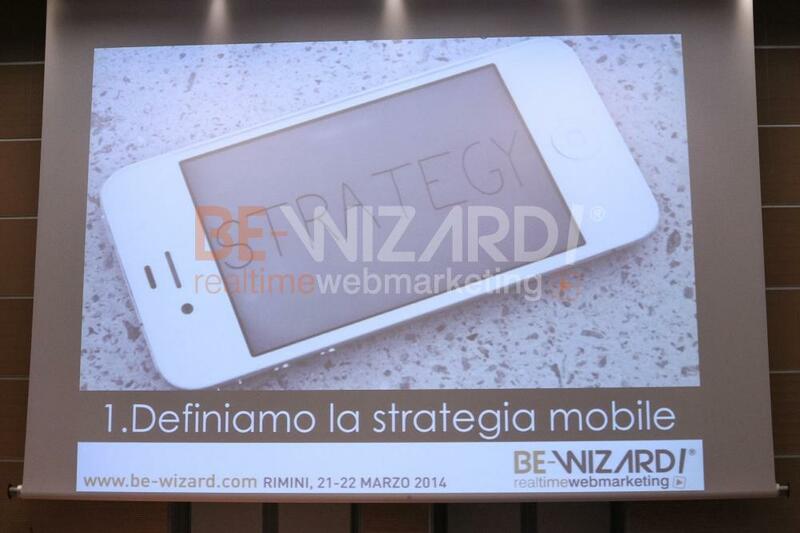 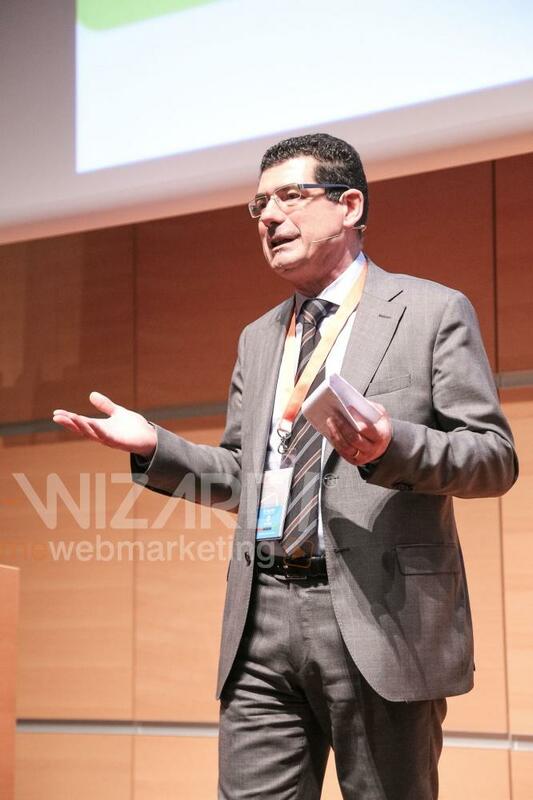 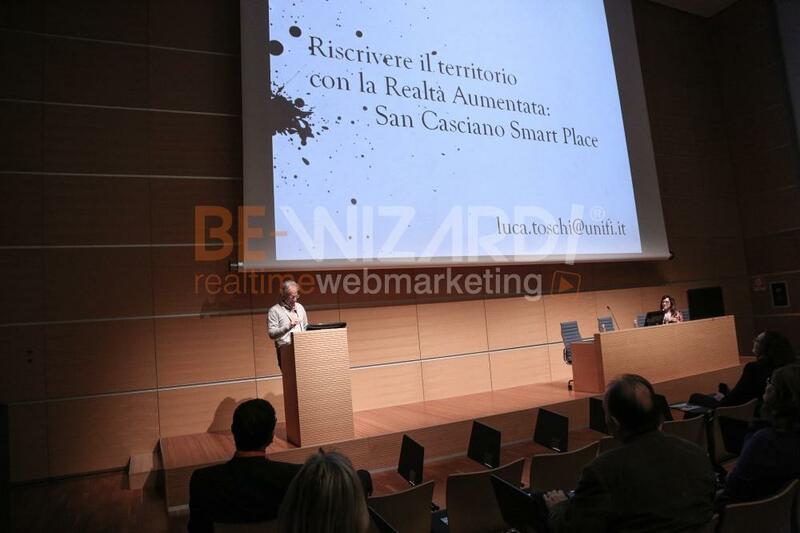 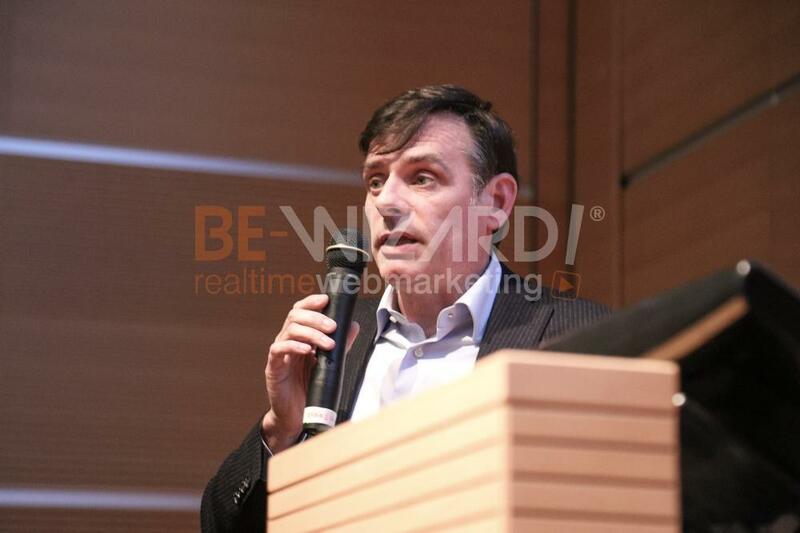 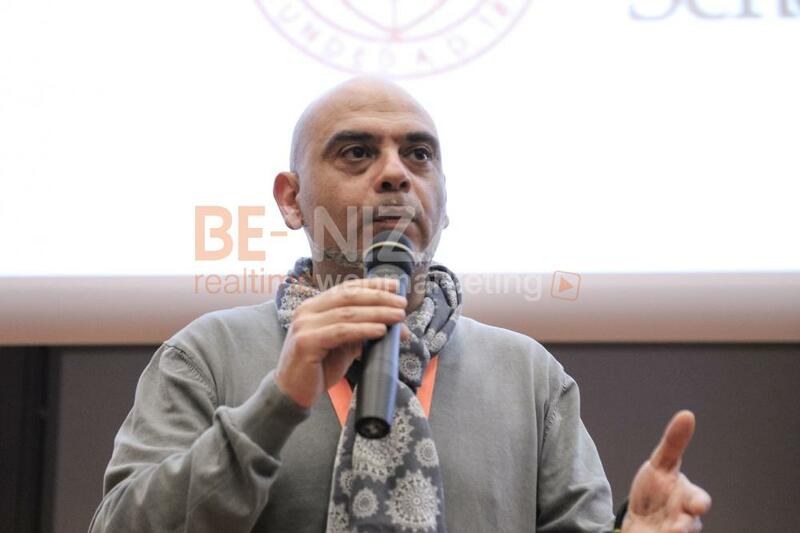 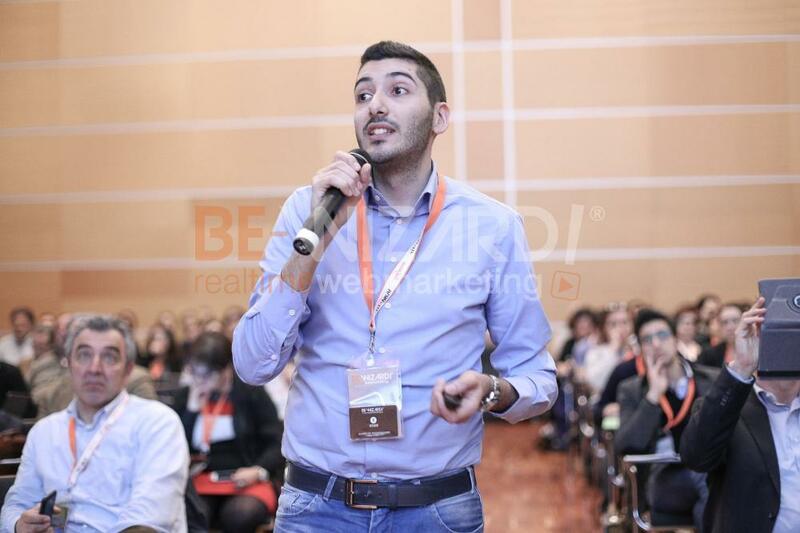 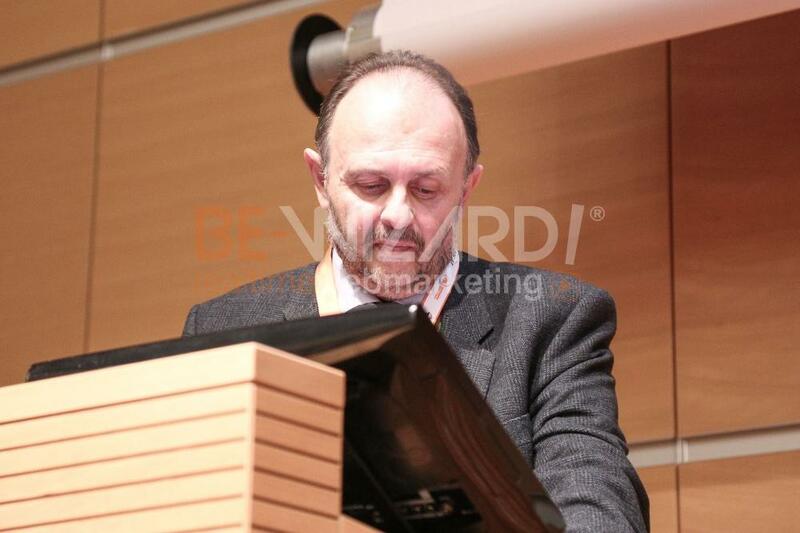 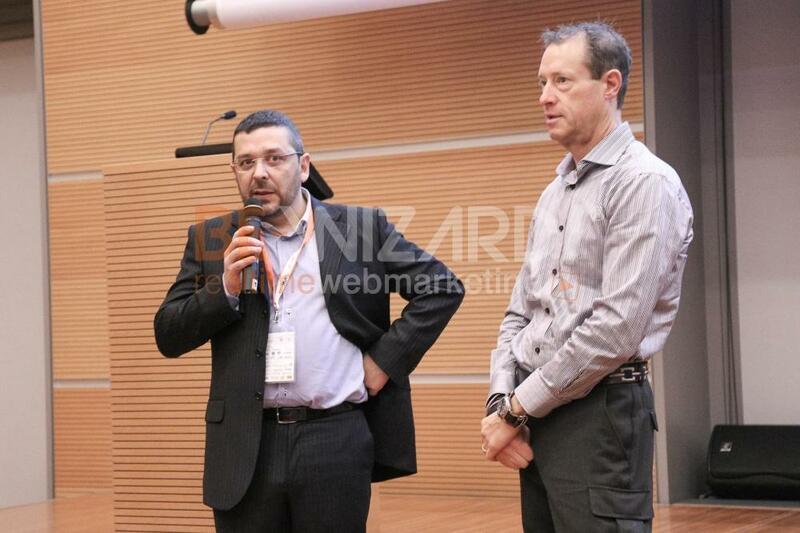 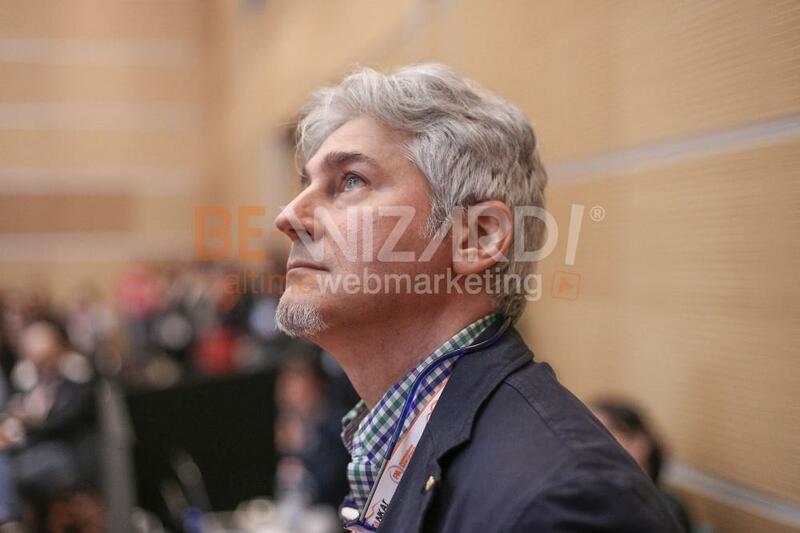 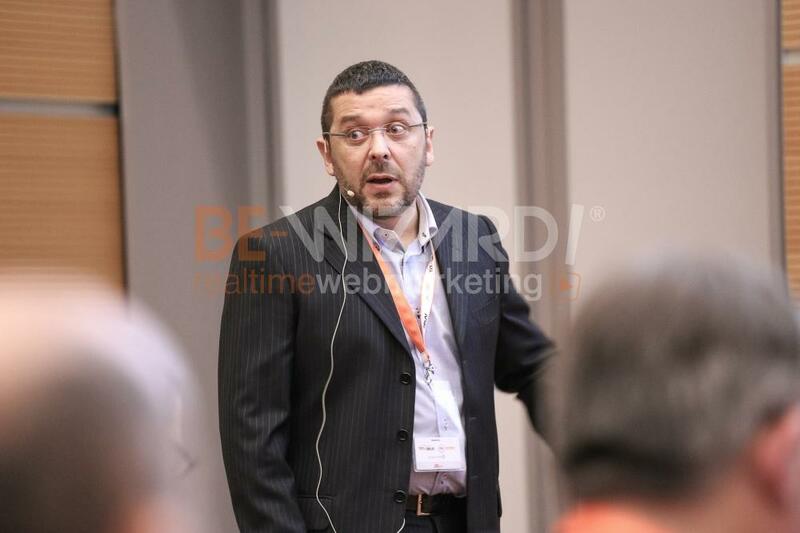 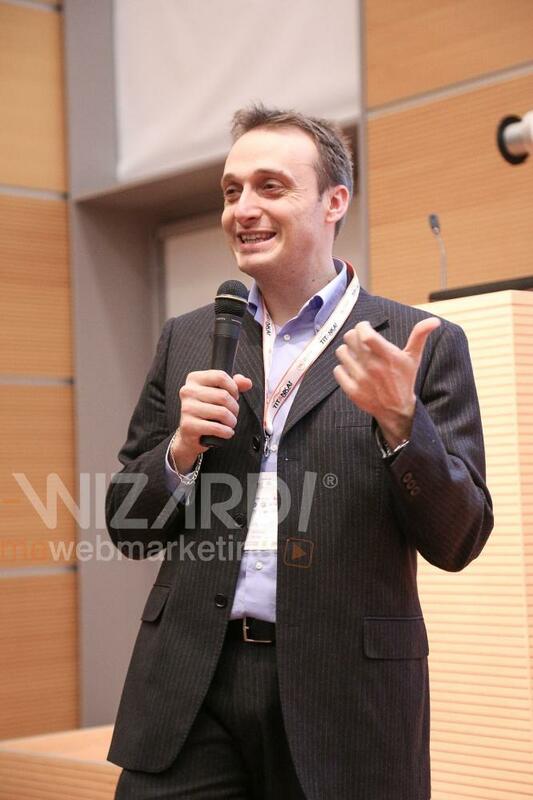 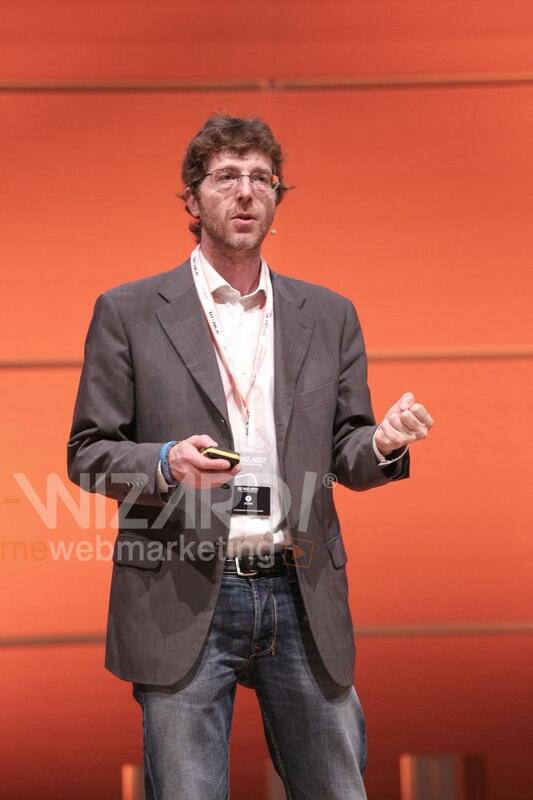 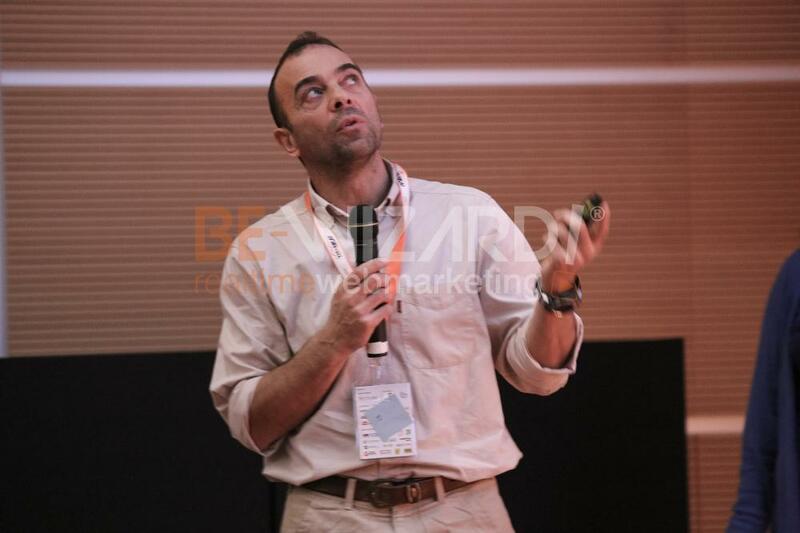 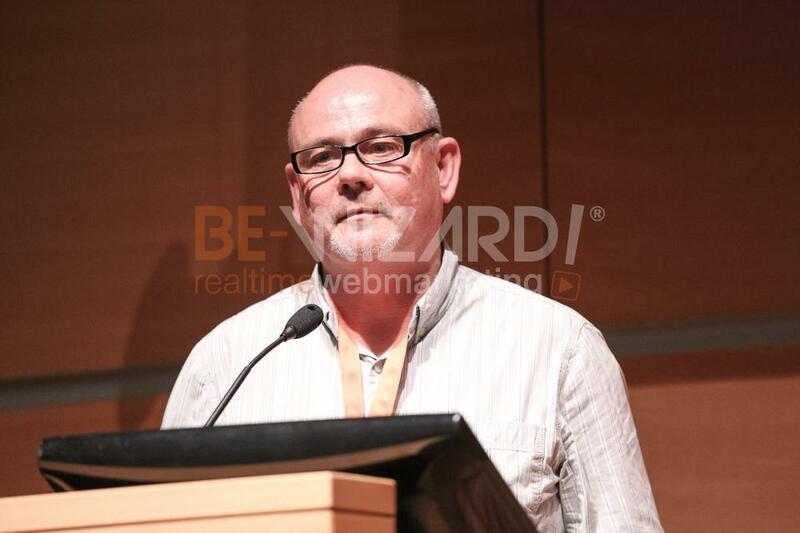 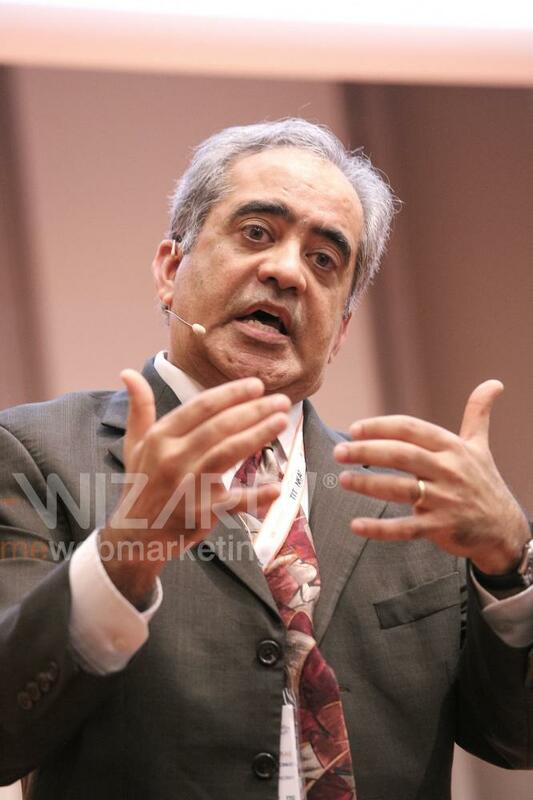 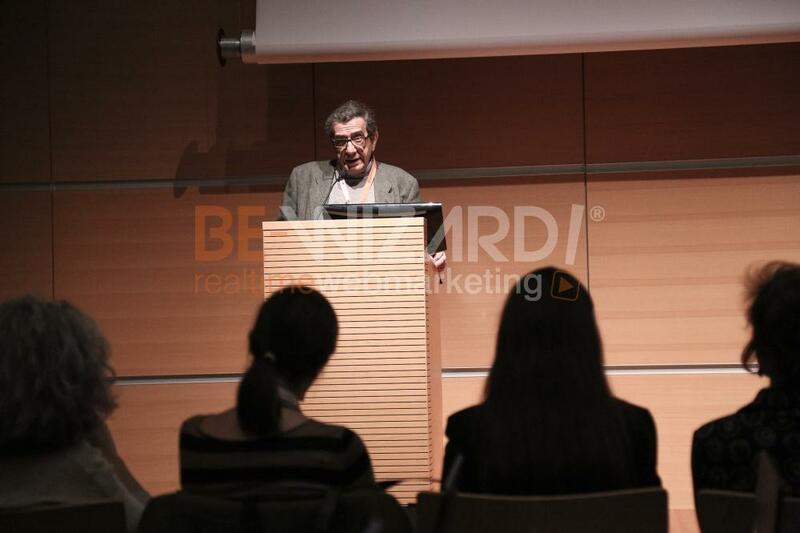 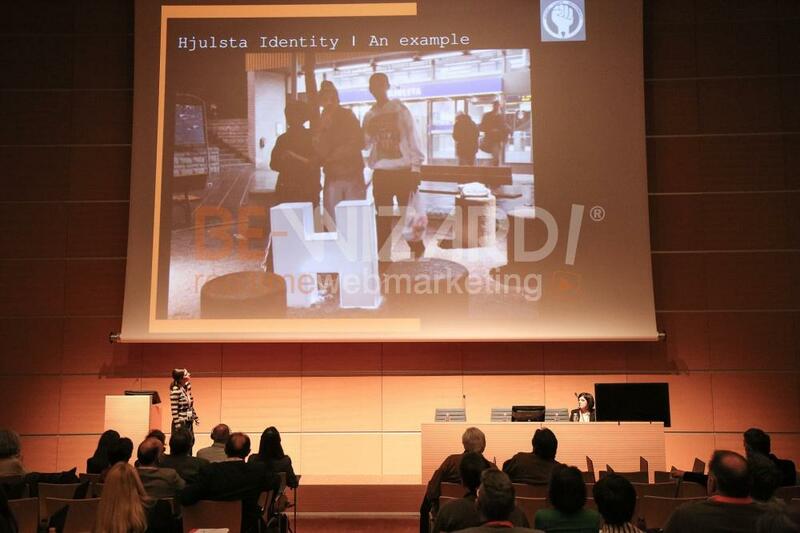 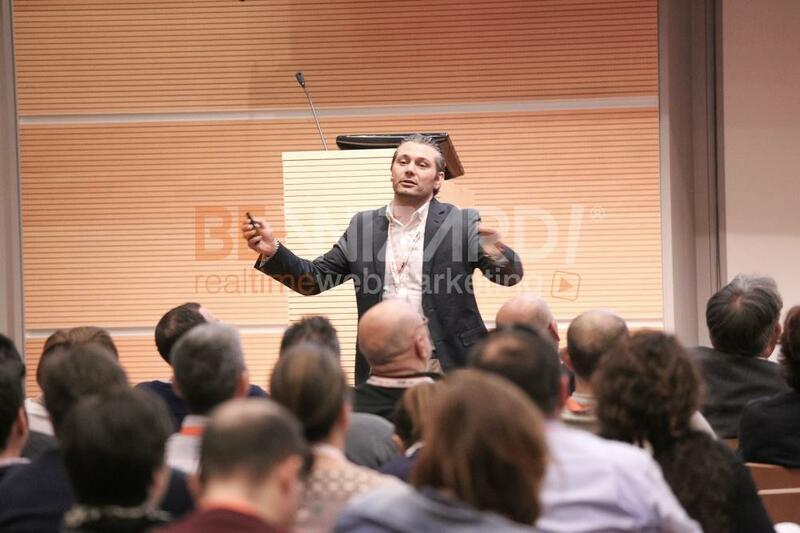 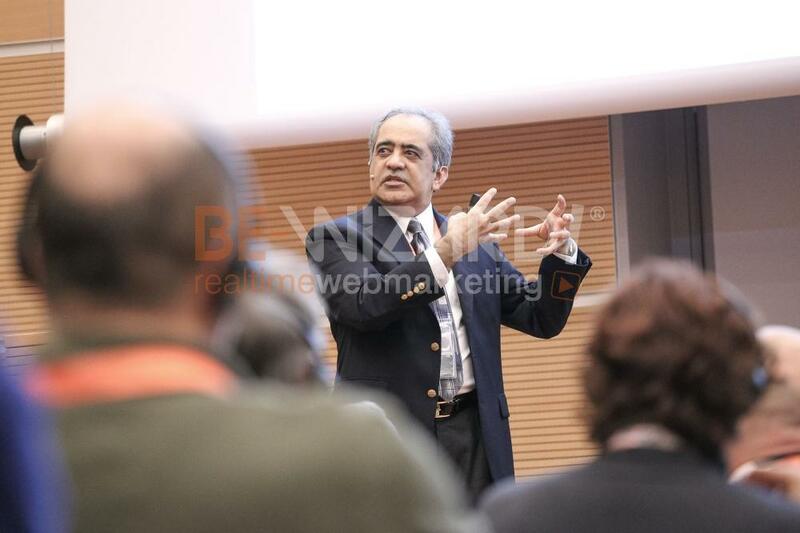 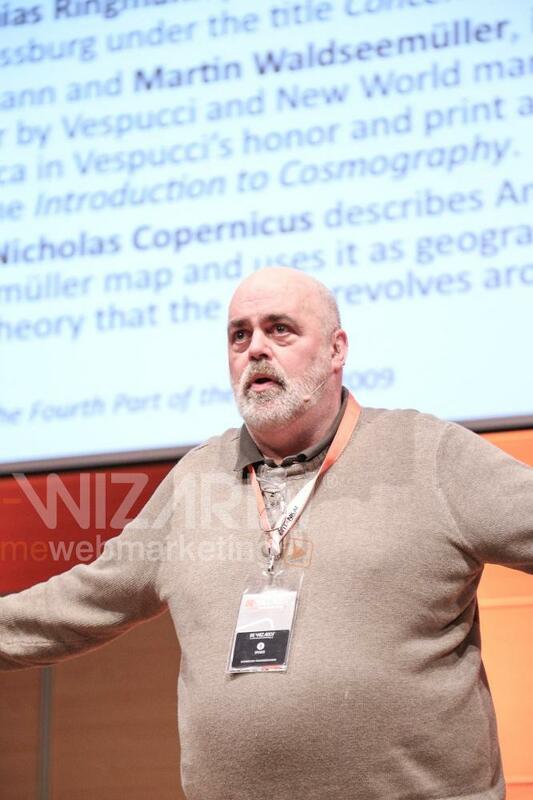 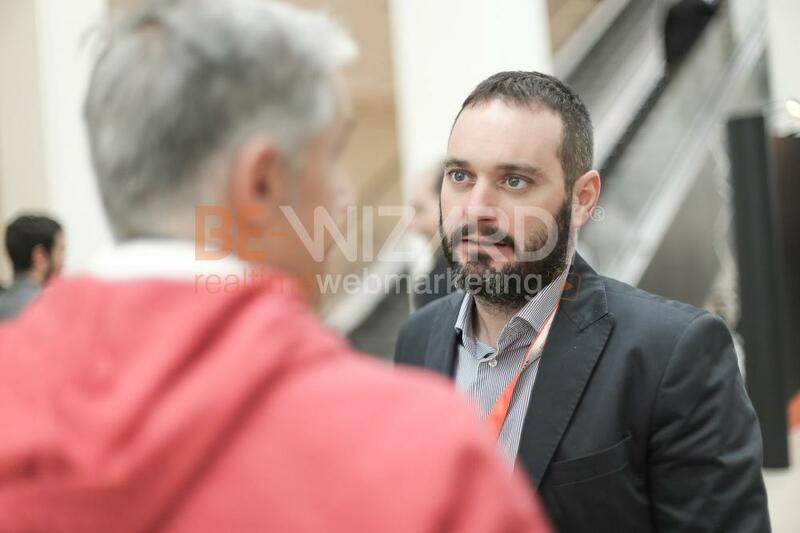 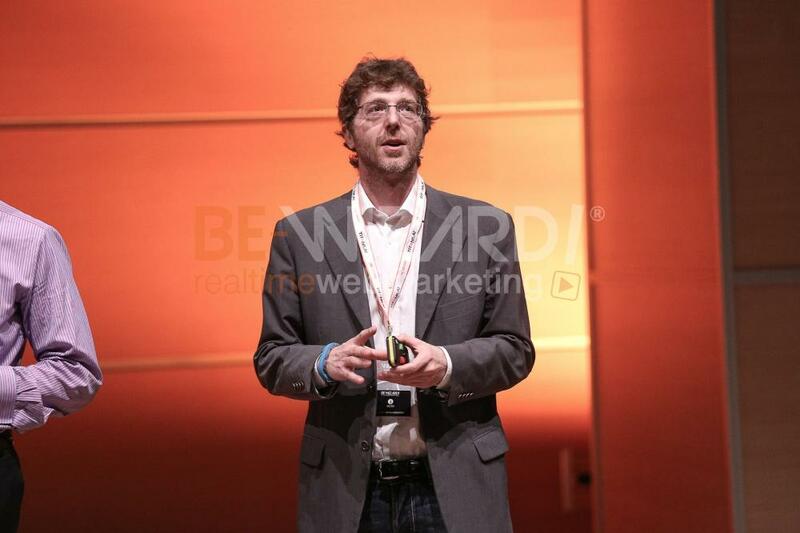 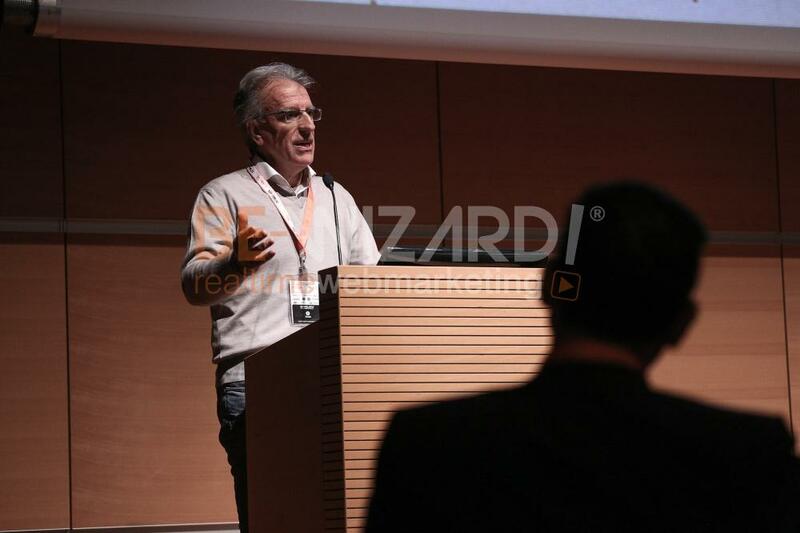 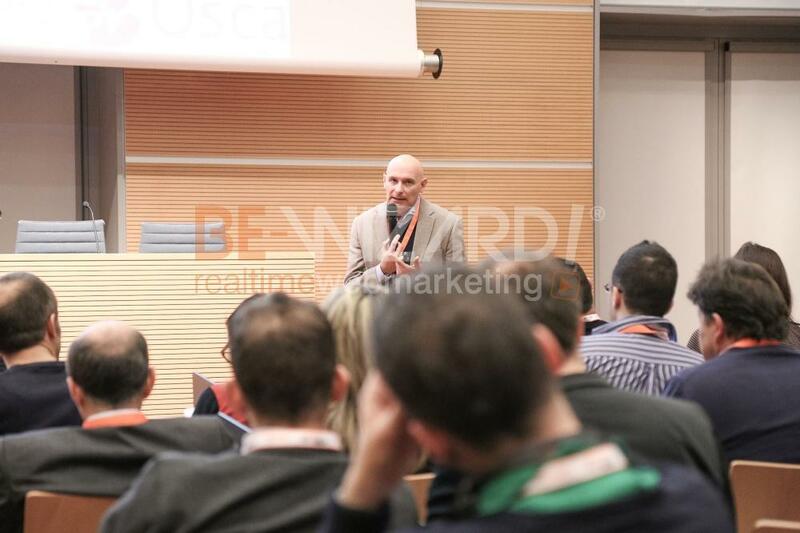 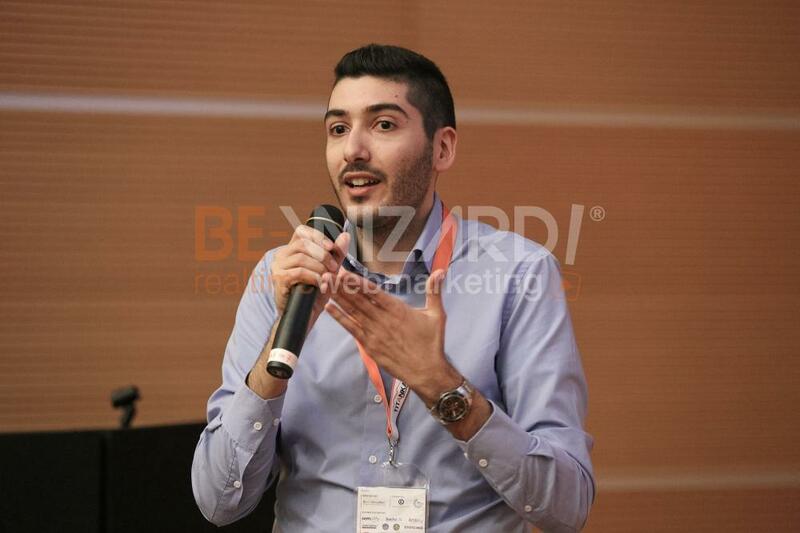 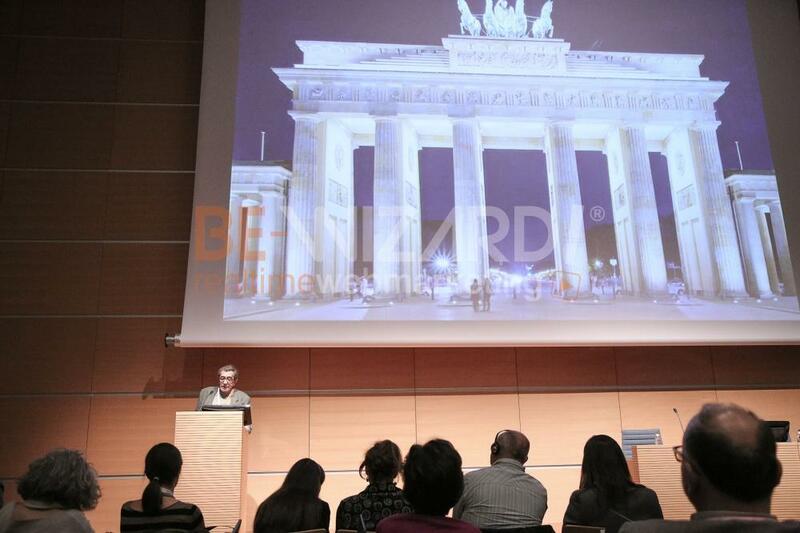 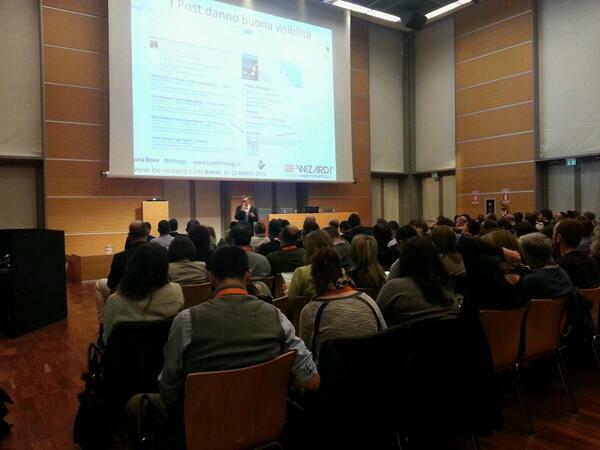 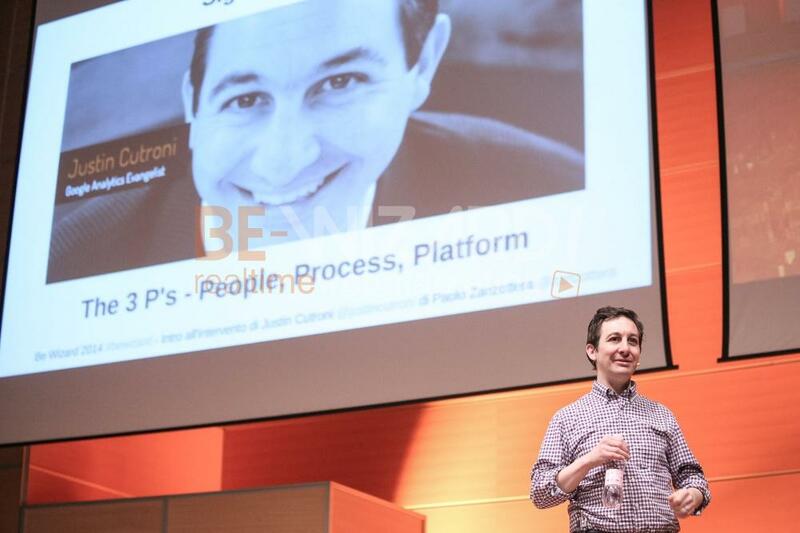 Luca Bove: The right direction for your hotel's web marketing (on the map, but not only). 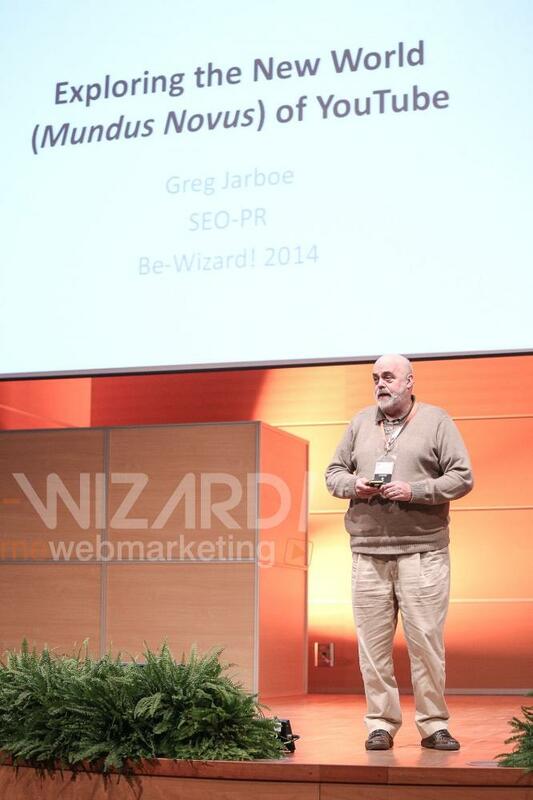 Greg Jarboe: The good, the bad and the ugly. 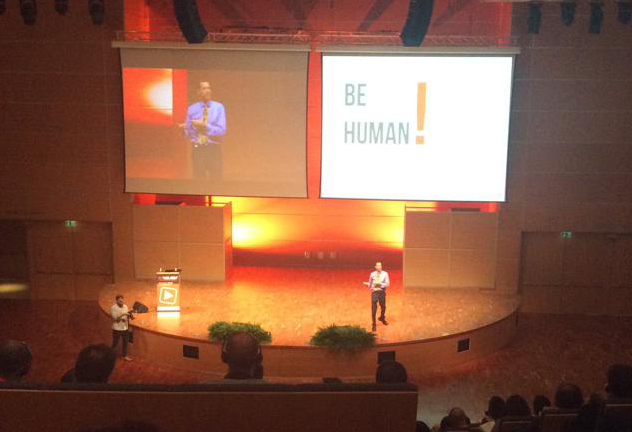 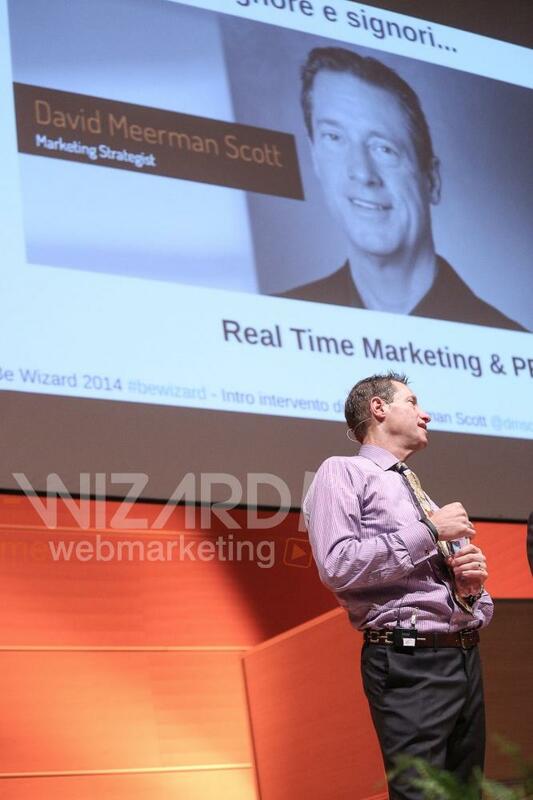 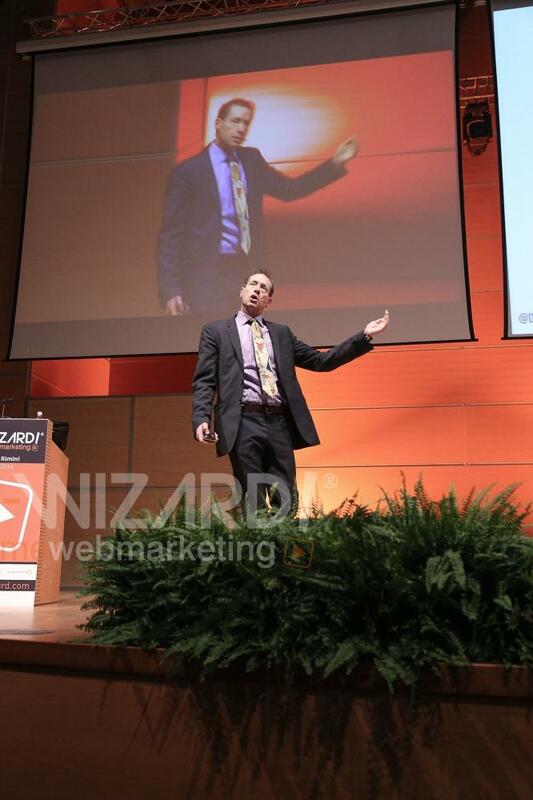 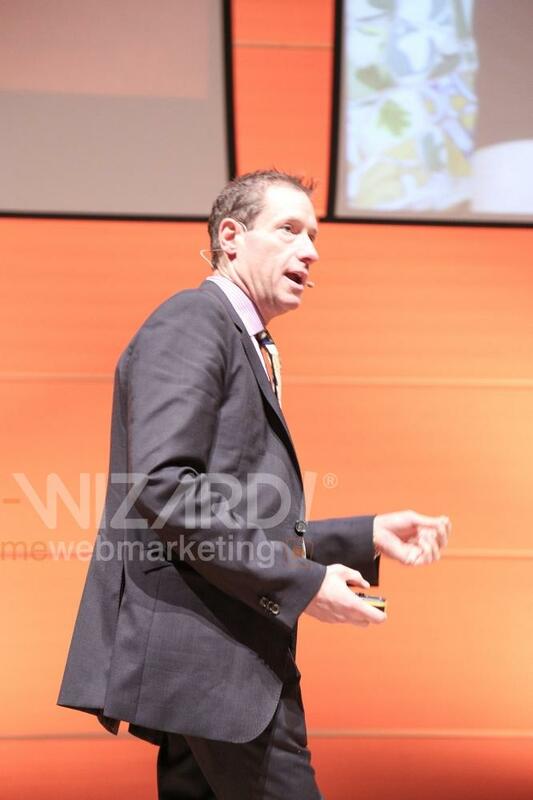 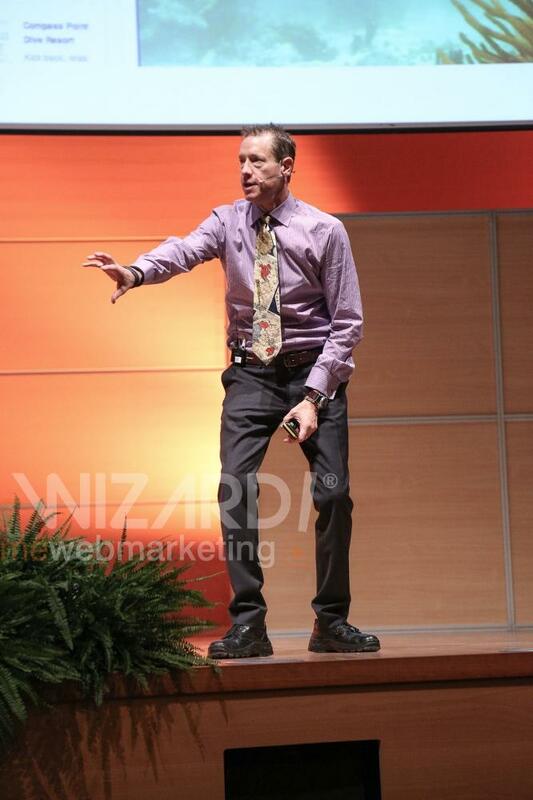 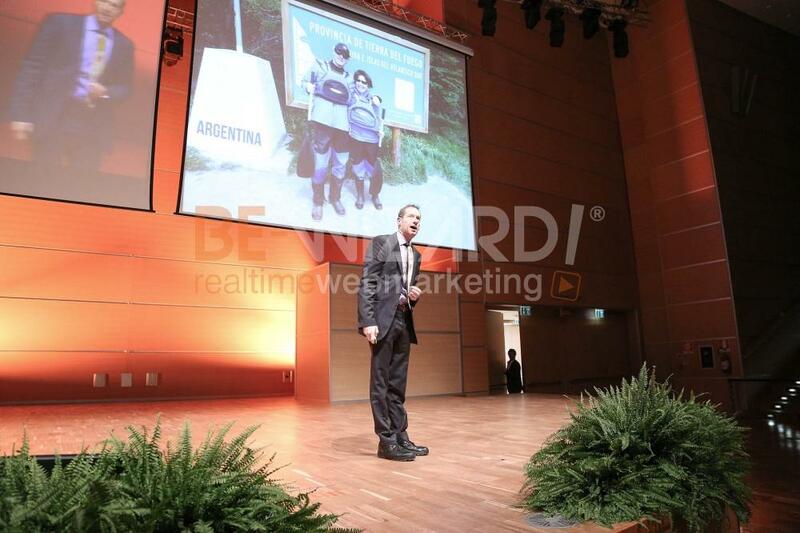 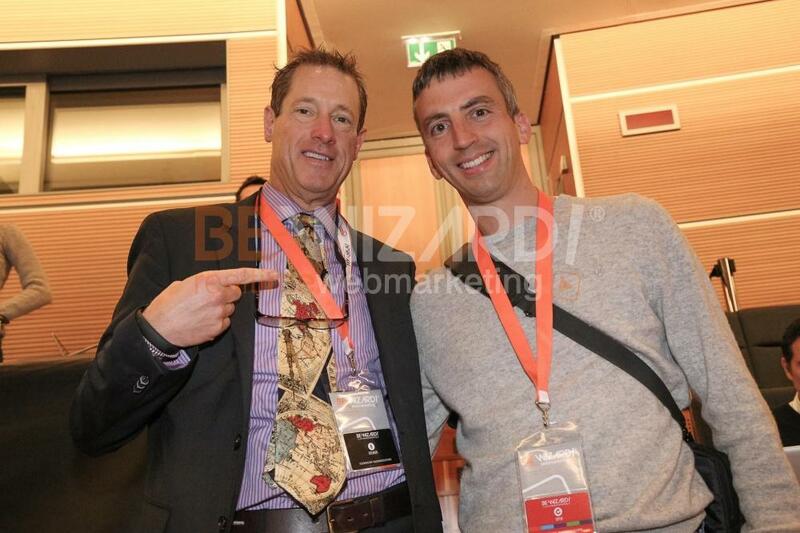 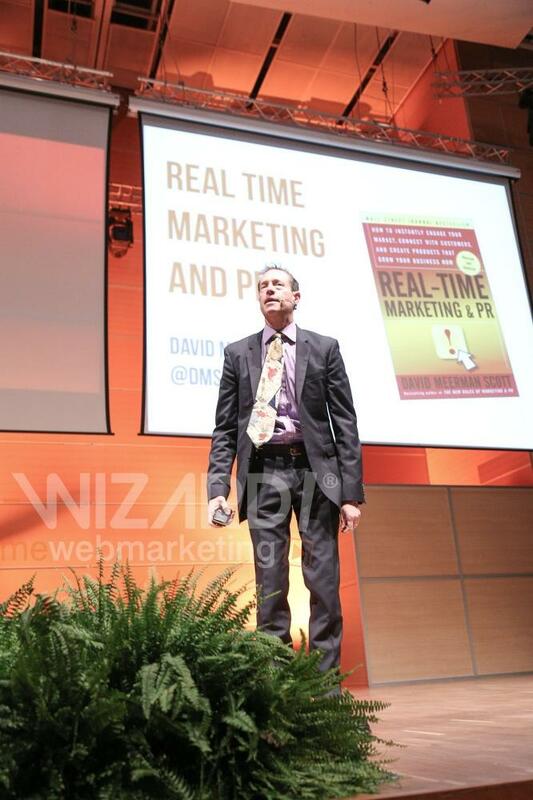 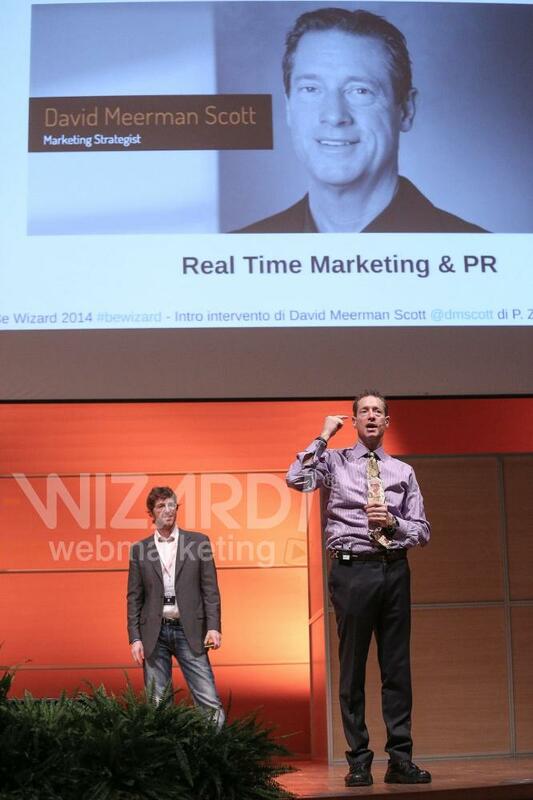 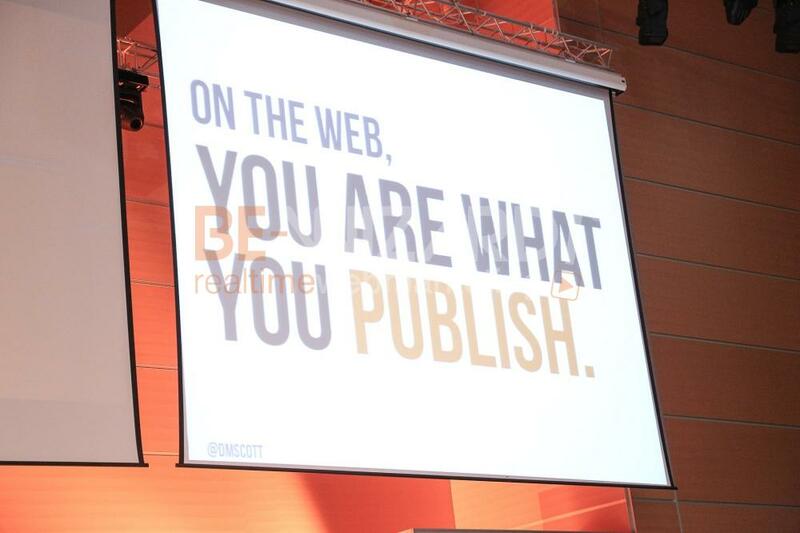 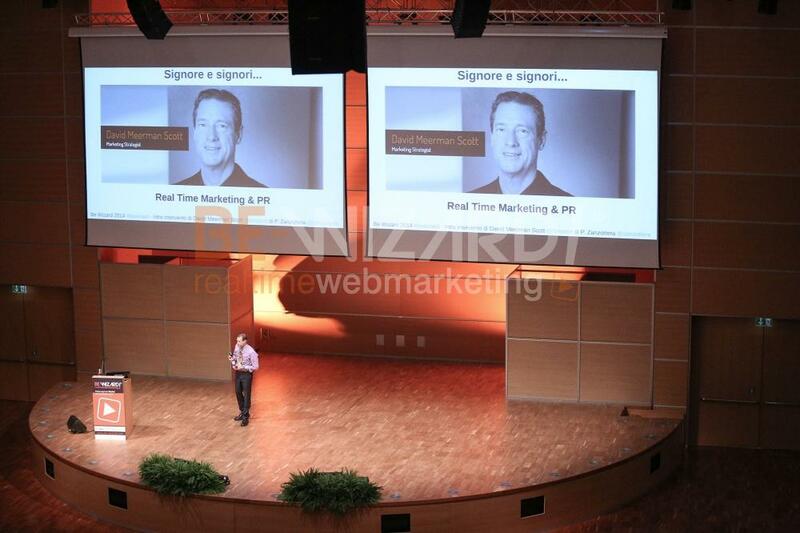 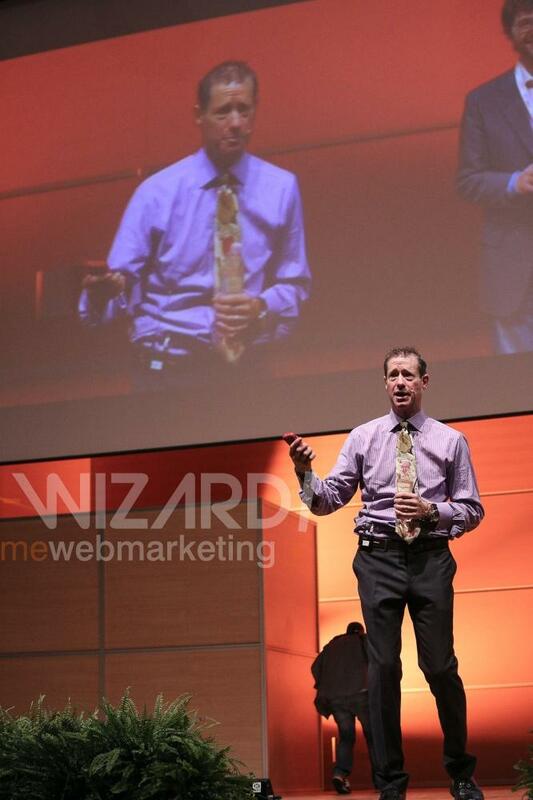 David Meerman Scott: The new rules in Marketing and PR in the tourism sector. 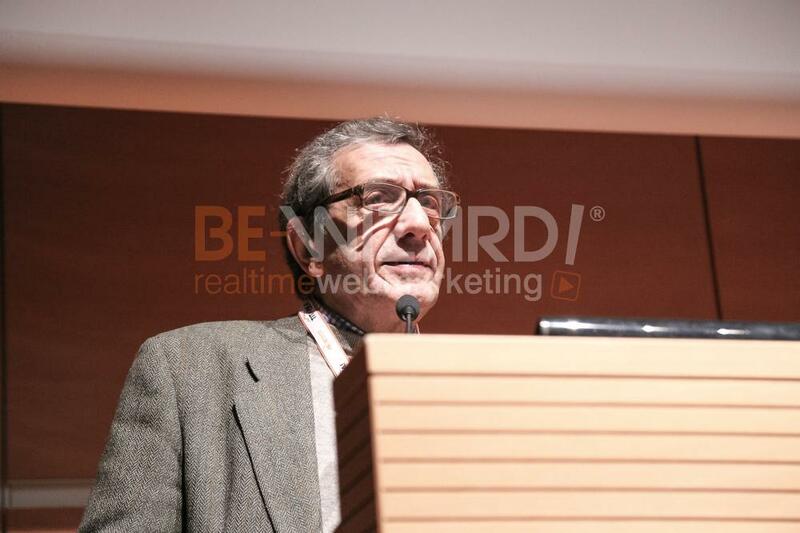 Gabriele Leonardi: The impact of technology for a virtual and increased reality and awareness in the enjoyment and use of artistic and historical heritage. 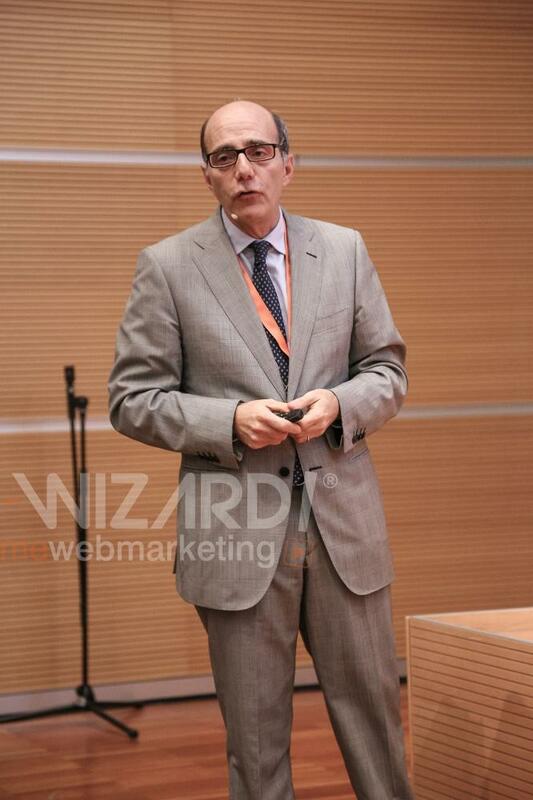 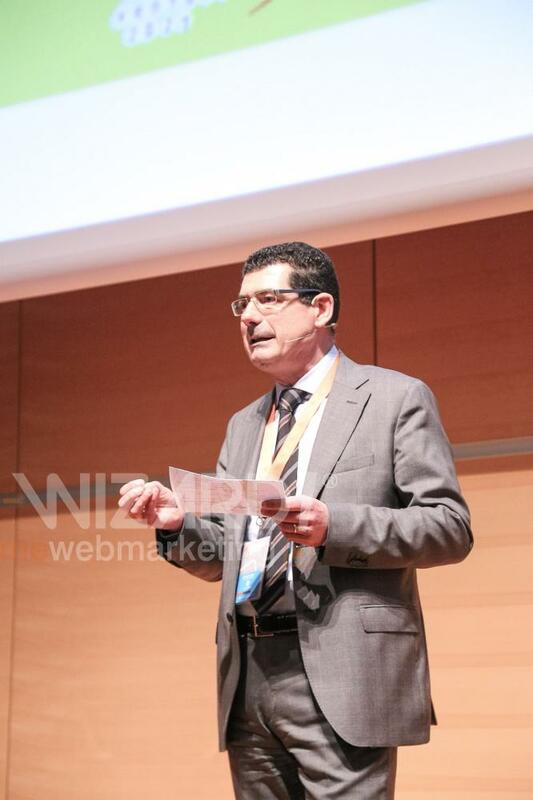 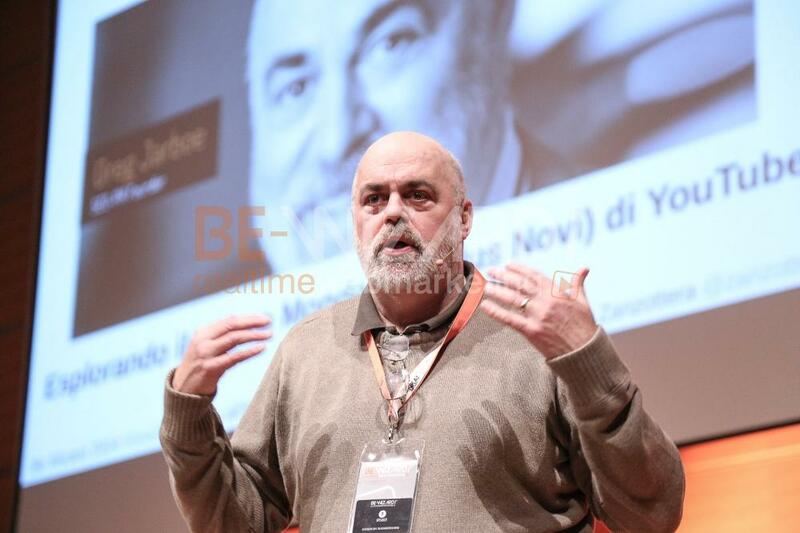 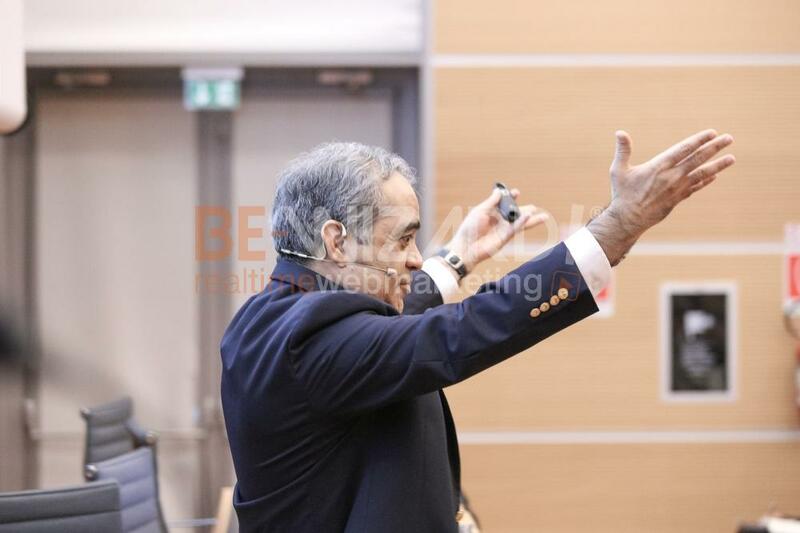 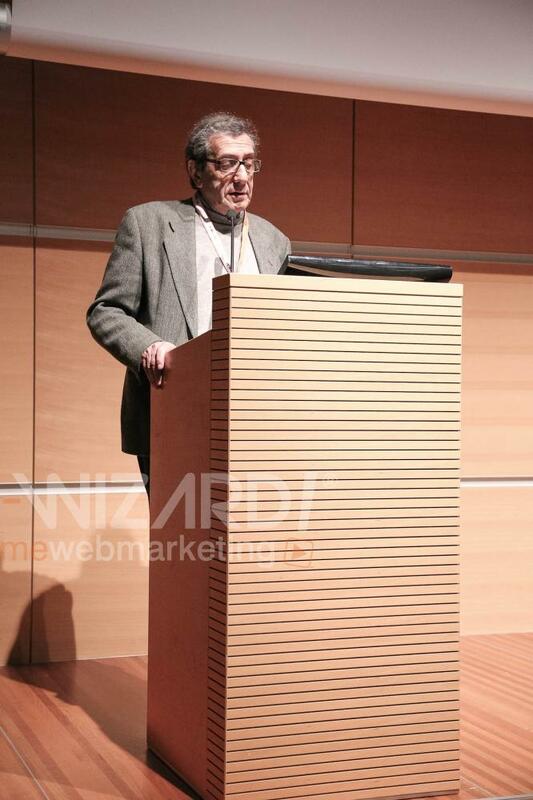 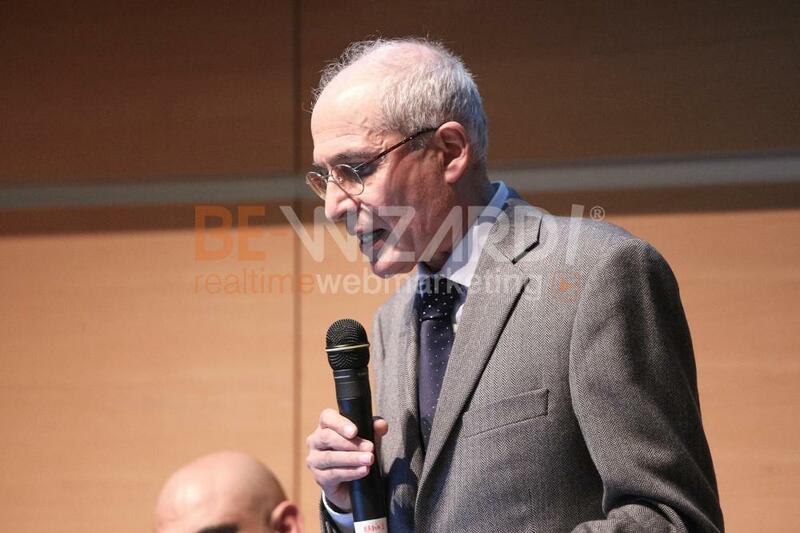 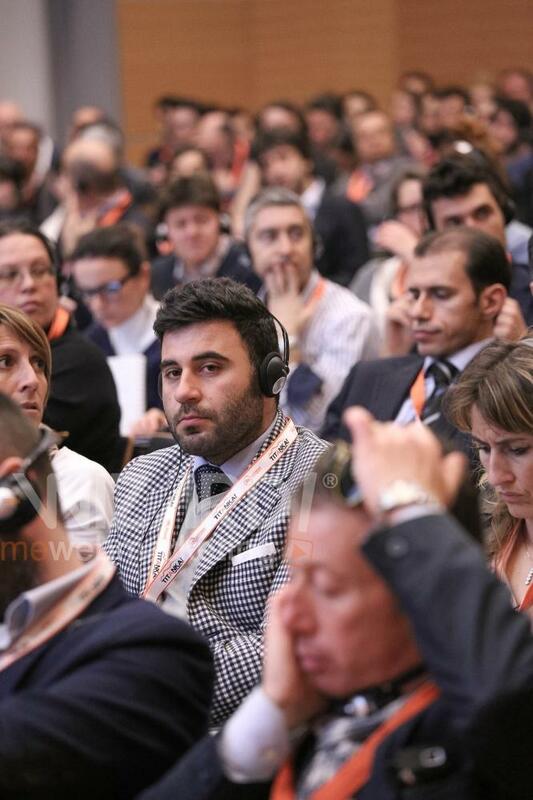 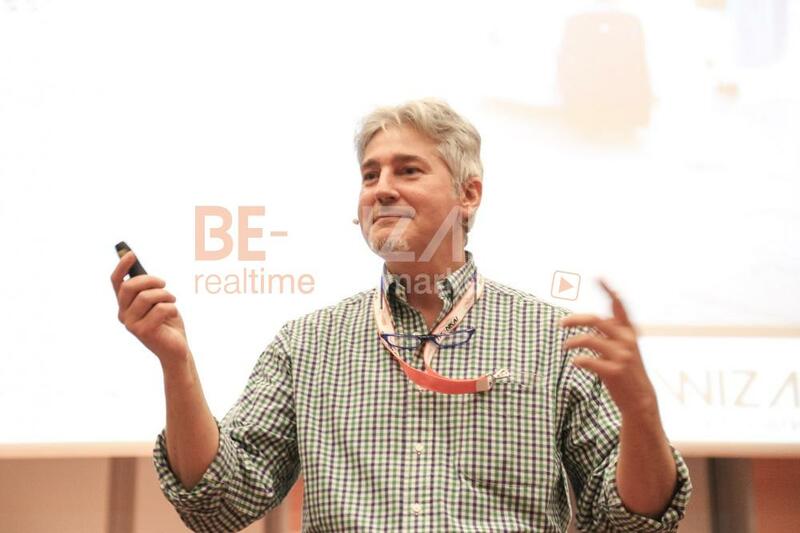 Roberto Fumarola: Mobile Commerce: The future of e-commerce and cell phones! 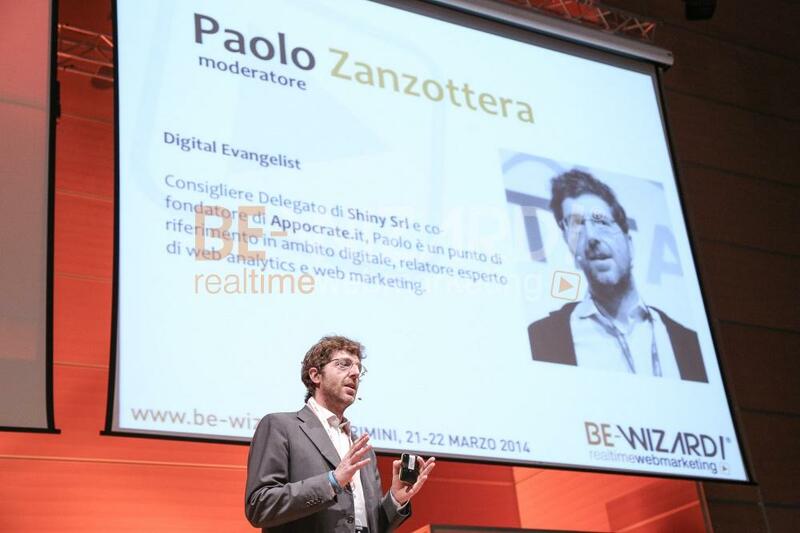 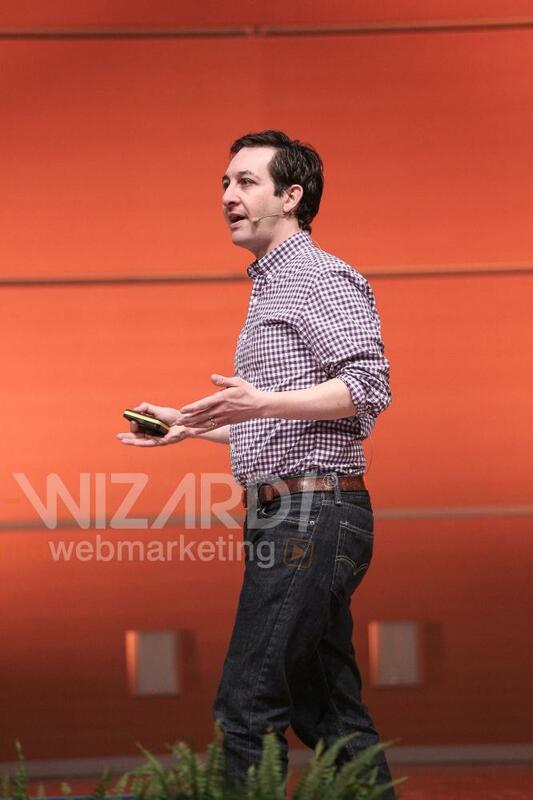 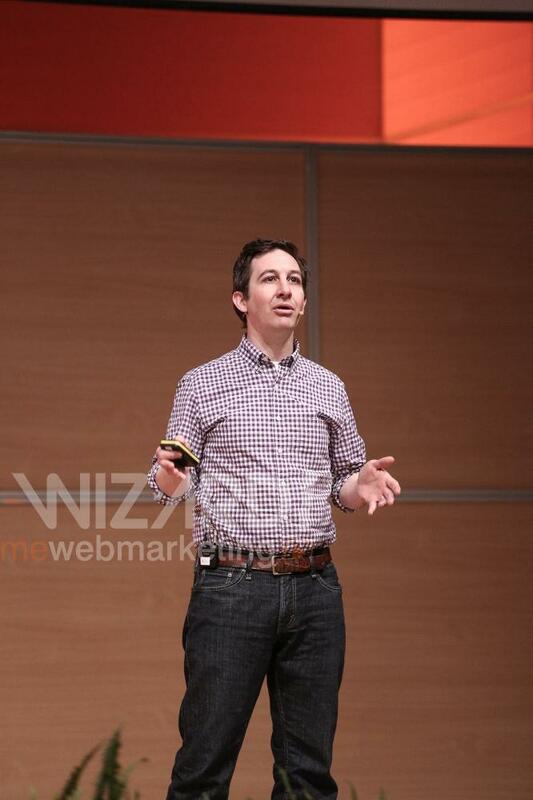 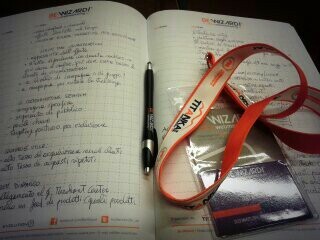 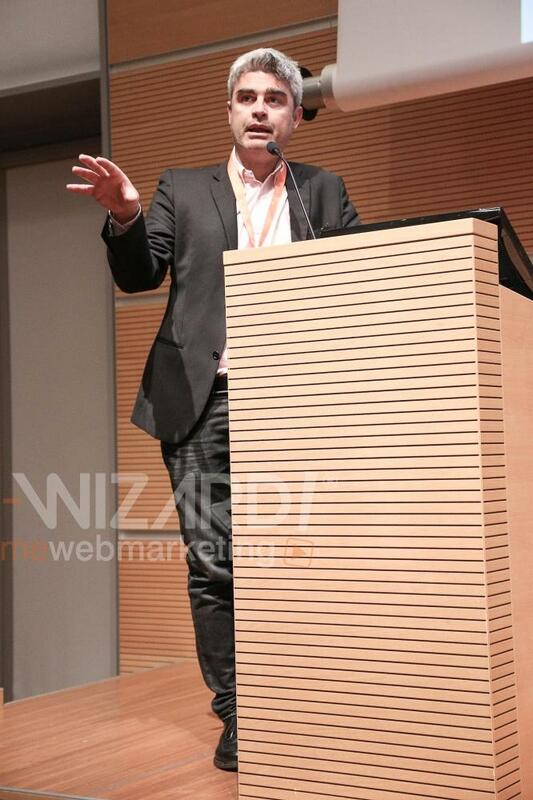 Giuseppe Tamola (Zalando): Fashion Commerce according to Zalando. 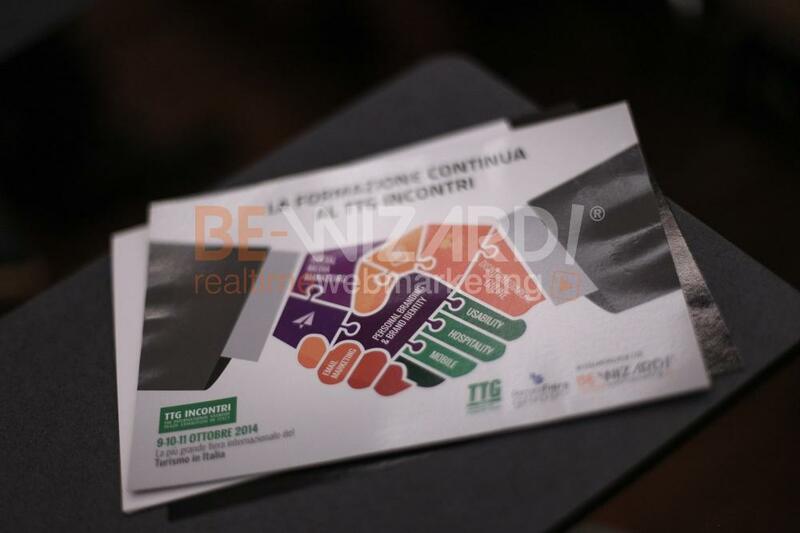 The Cooperative Promozione Alberghiera consists of over 200 member hotels. 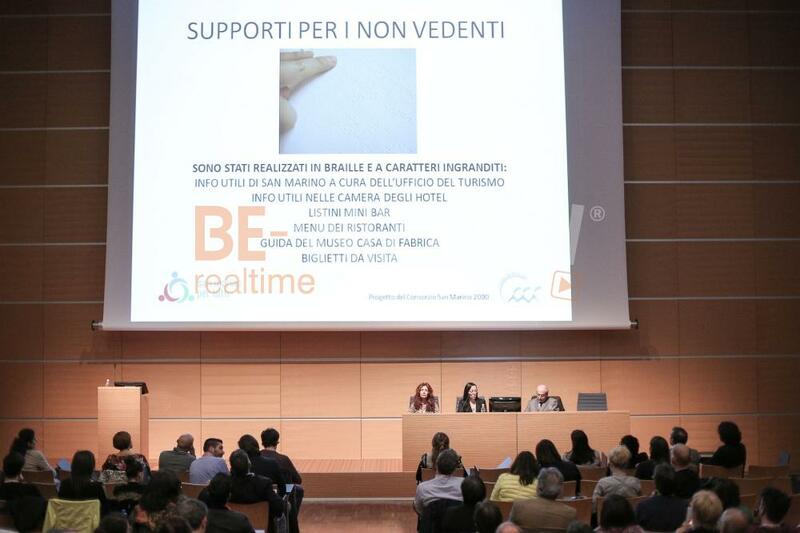 For over 40 years, PA represents a point of reference for hospitality in Rimini. 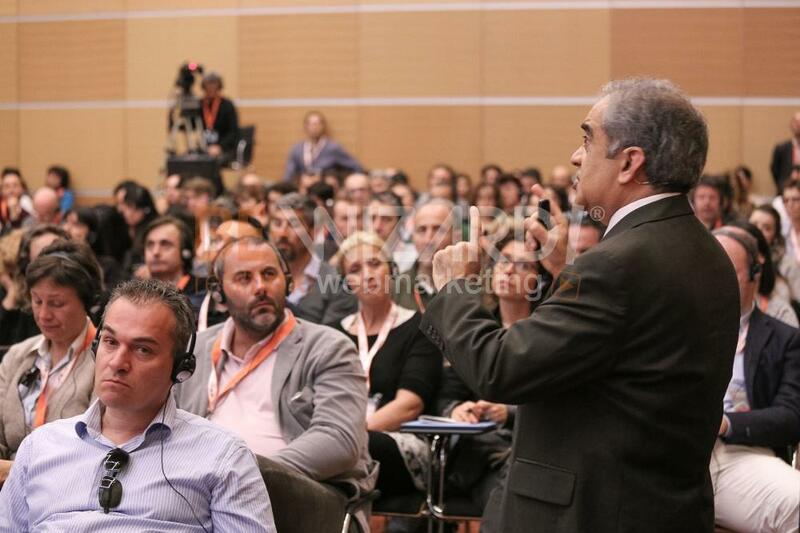 The Cooperative plays a strategic role for businesses and tourism associations in giving voice and strength to hotel entrepreneurship and promote “total quality” of tourism products. 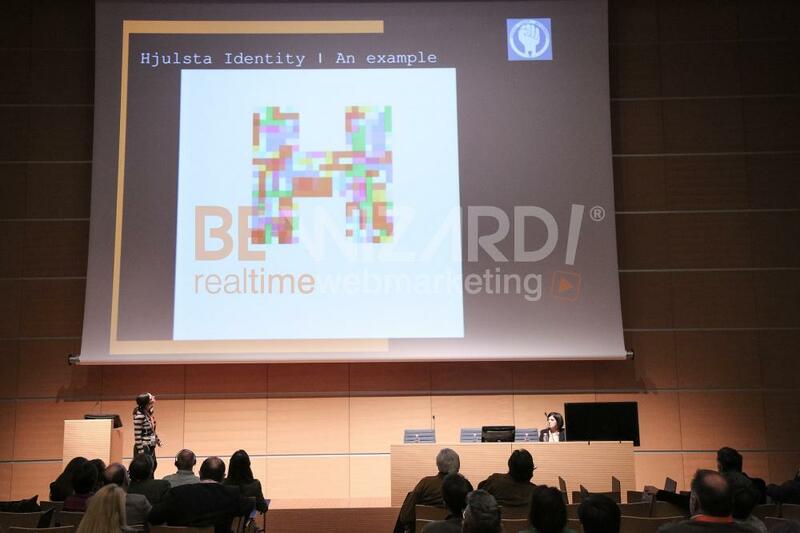 The consortium Evolution T stems from the desire of web company TITANKA! 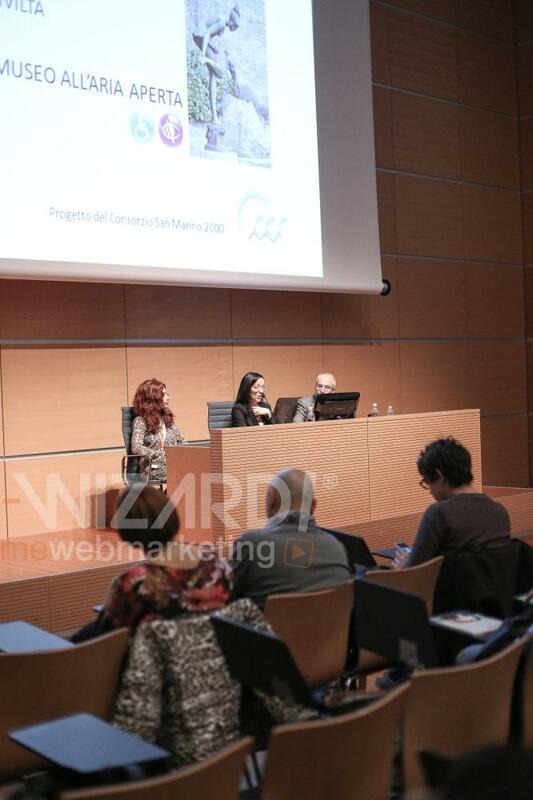 Spa and the cooperative Promozione Alberghiera to combine their respective excellences in a joint project aimed at organizing major training events. 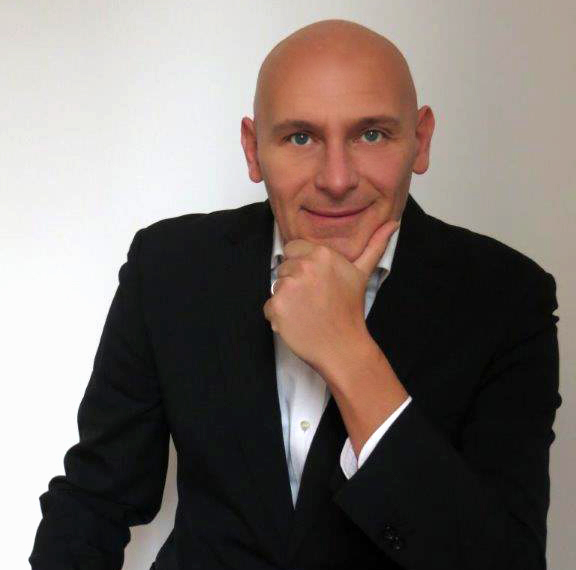 Semplify designs, implements and manages advanced IT systems for companies who want to pursue a path of innovation in IT and technology. 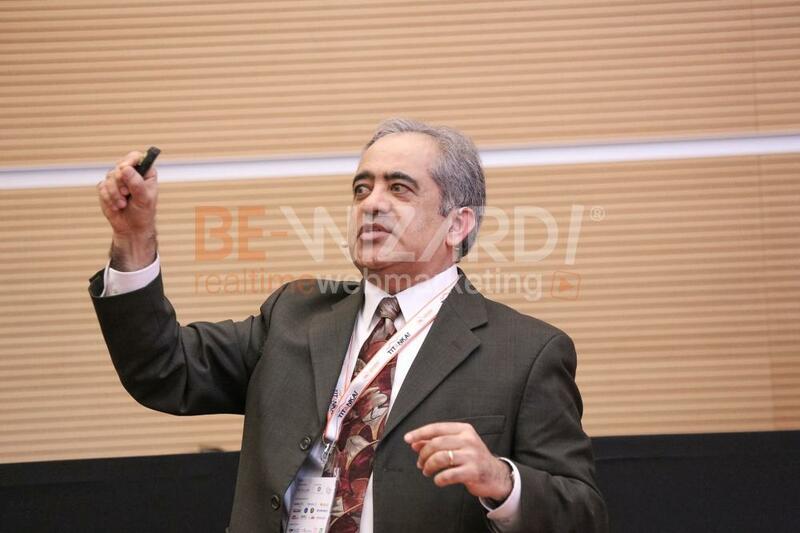 Semplify offers cloud hosting services, as well as outsourcing, cyber security, virtualization and consolidation of IT systems, and collocation services at its own data centre. 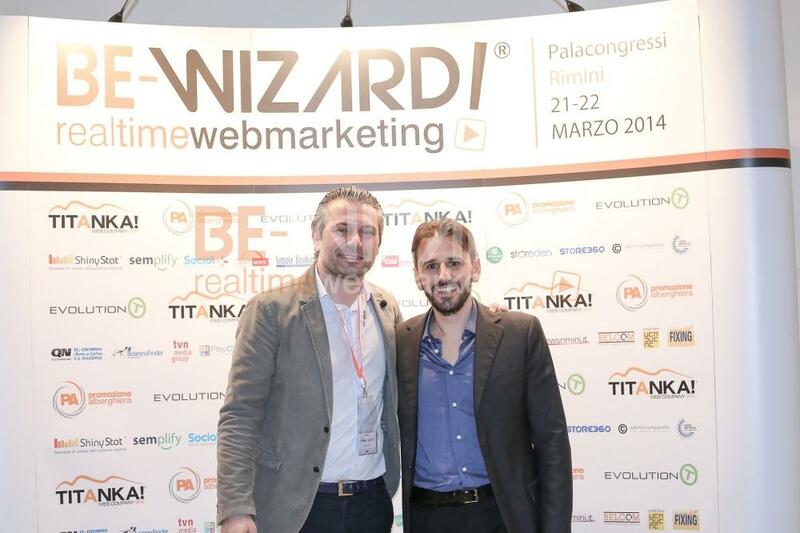 The complete professional system for all online hotel sales. 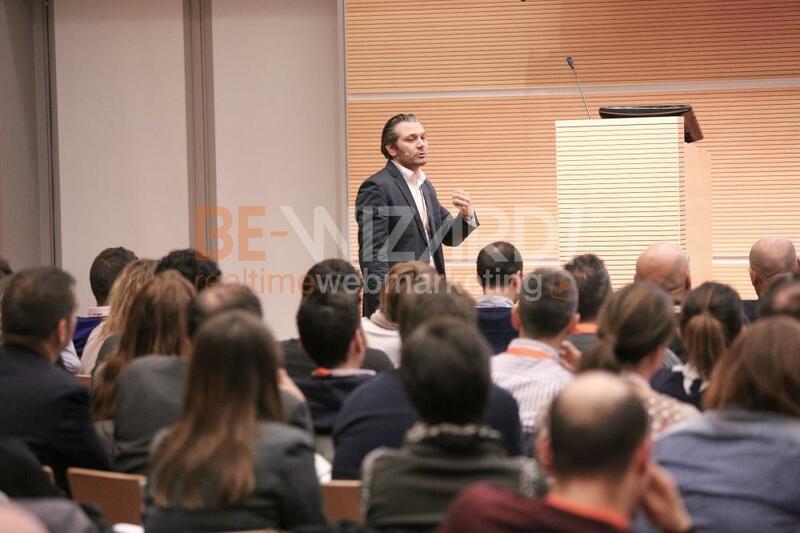 Simple Booking is an Italian single proprietary technology source with tested professional features: Booking Engine, Channel Mnagement, Mobile and Facebook, XML Integrations. 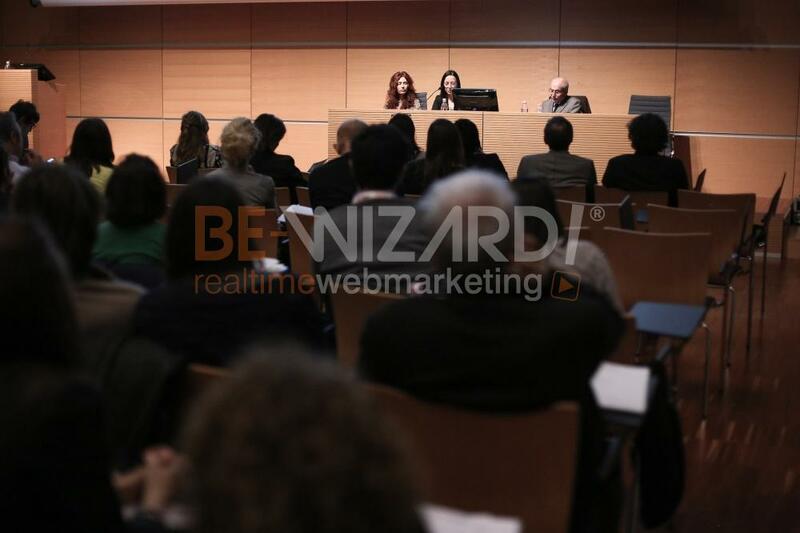 The objectives of our business customers who we support with awareness of and attention to every specific need, customization of communication style, and a clear vision of the most useful strategies aimed at conquering the market. 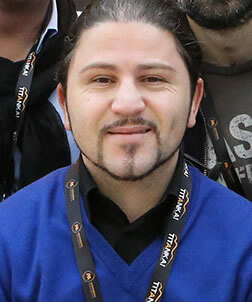 Projectmoon is a software house with the goal of improving the exchange of information and goods/services on the web. 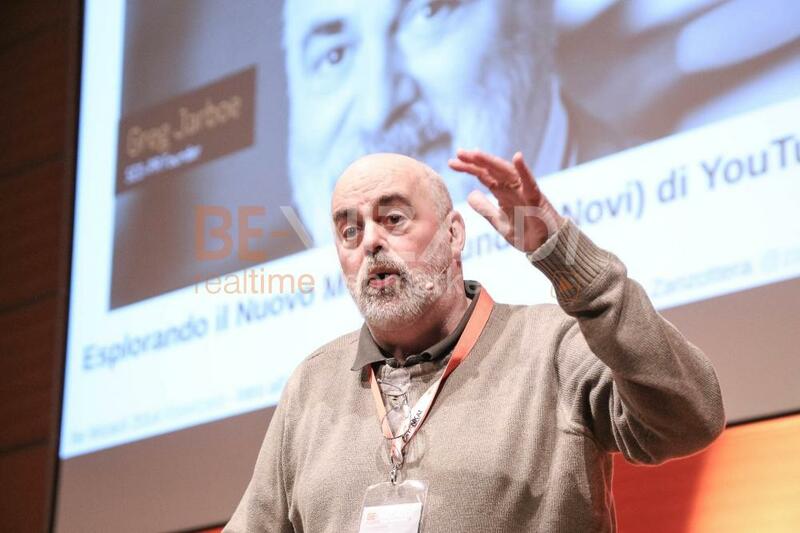 Founded in 2008, following the success obtained with the Pjoon project and the prestigious Premio Web Italia prize won in 2010 for the best Italian social networking project, it became part of the SMC Group, a leader in the information sector in Italy. 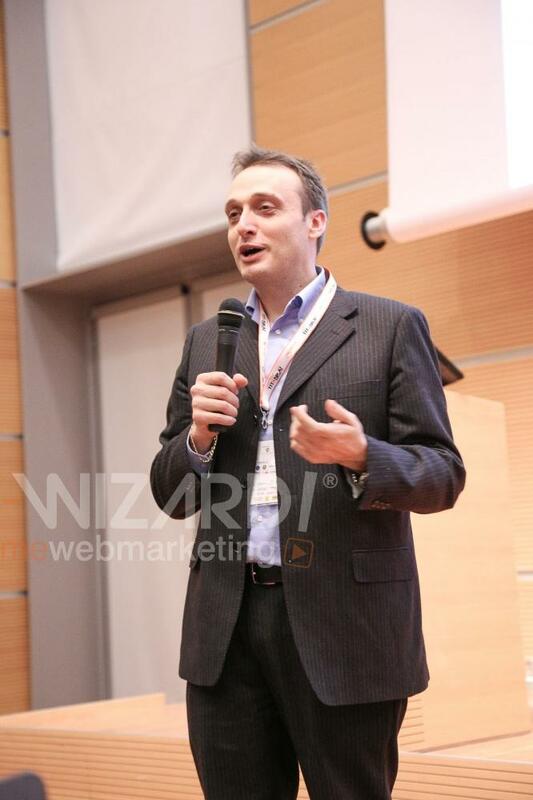 For its clients, Projectmoon creates innovative prjects and web portals, and develops projects of its own, such as Storeden, an innovative eCommerce platform, natively integrated with social media sites, which allows you to sell from a website, a Facebook page or to sync with your catalog on Ebay. 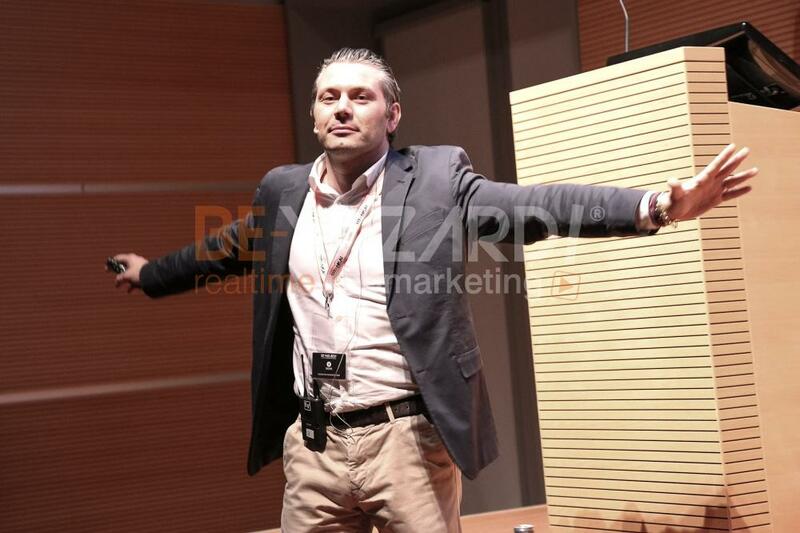 STORE360 is the center of your sales! 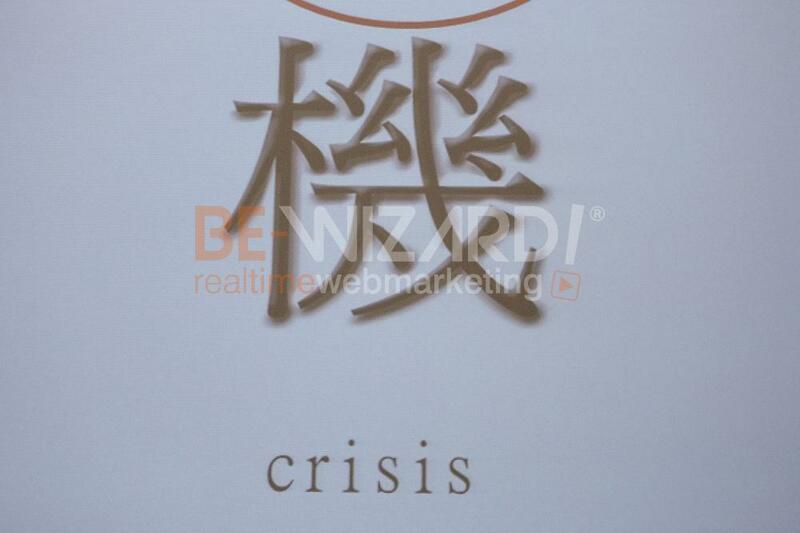 It advertises your products anywhere (EBay, Amazon, Facebook, etc.) 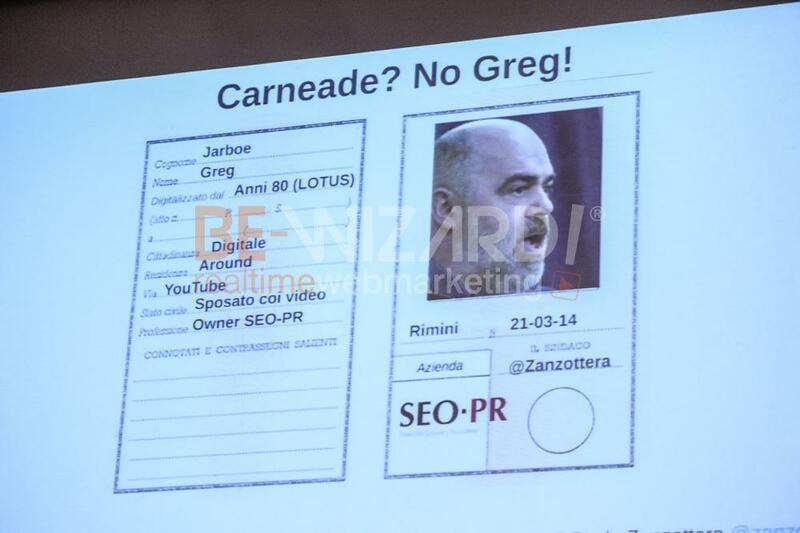 and keeps everything up to date. 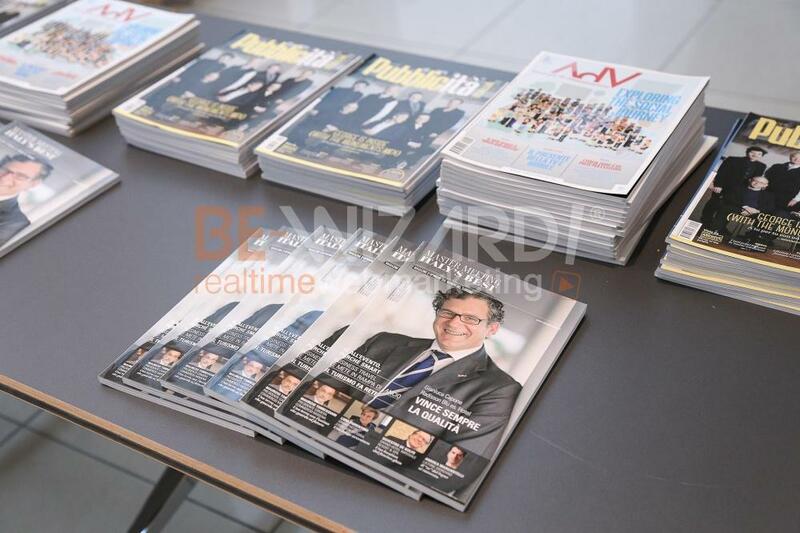 Today, it is present even in your physical stores. 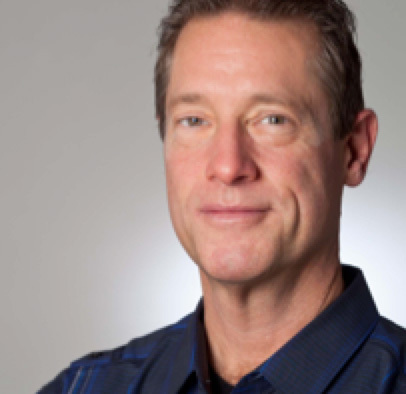 You can do everything from the control panel, or connect your management information system to automatically manage inventory and accounting. 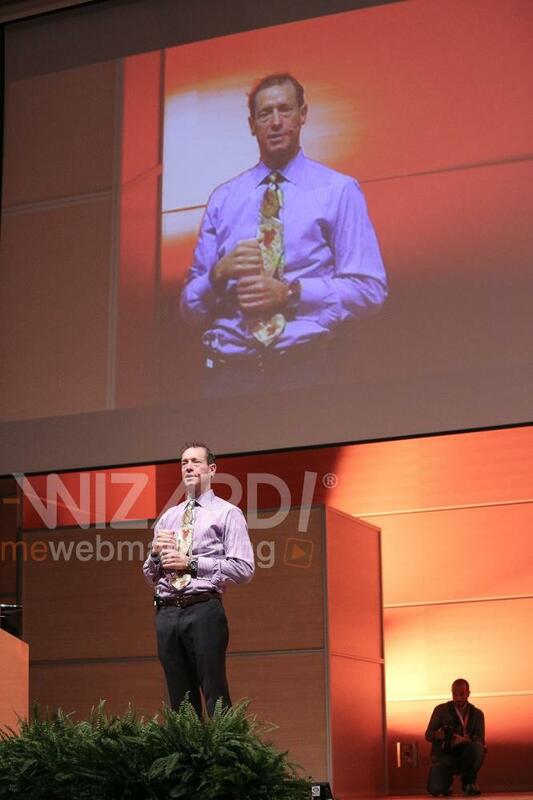 STORE360 minimizes manual operations, updates quantities and prices with maximum efficiency. 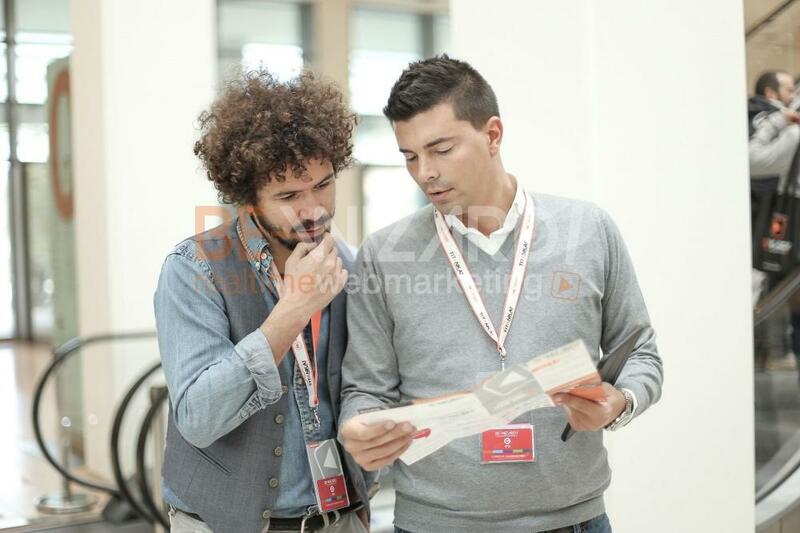 STORE360 is the best response to your reliability and result requests. 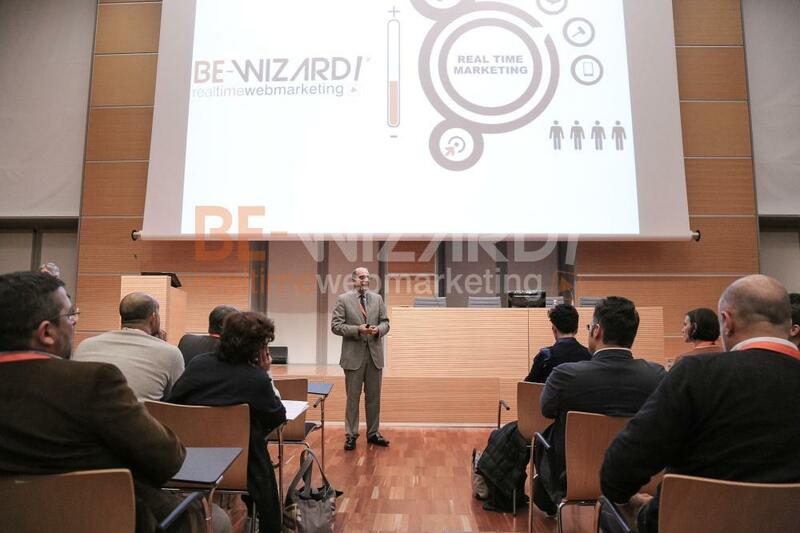 Marketing, Social Media and advertising strategy for your business. 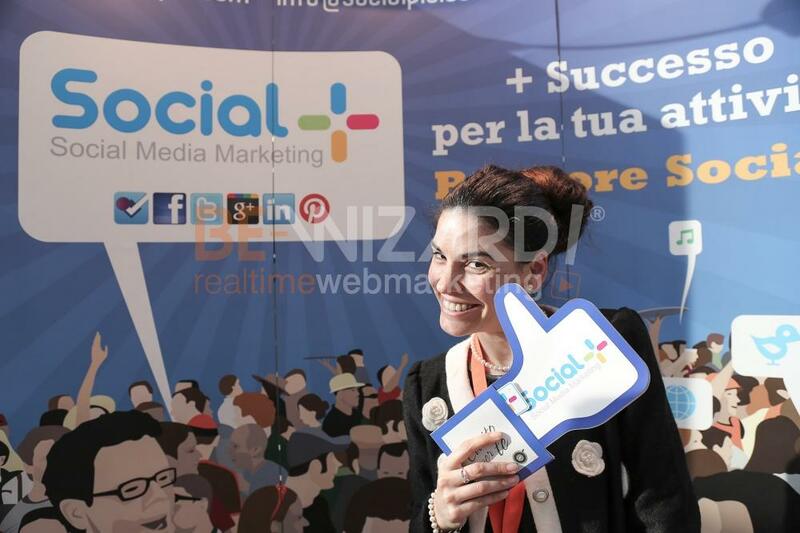 The social media agency, Social Più, designs customized social media marketing strategies. 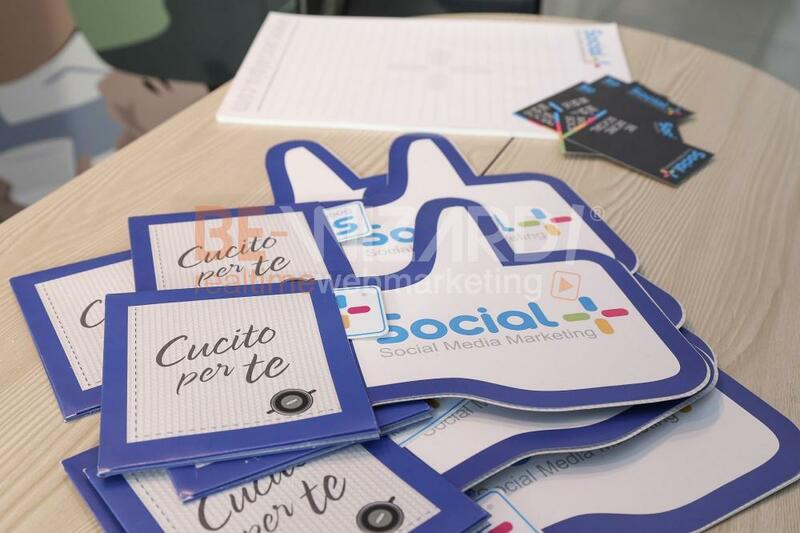 It offers its services to companies that would like to strengthen brand awareness on social media platforms and attract new target users and increase loyalty. 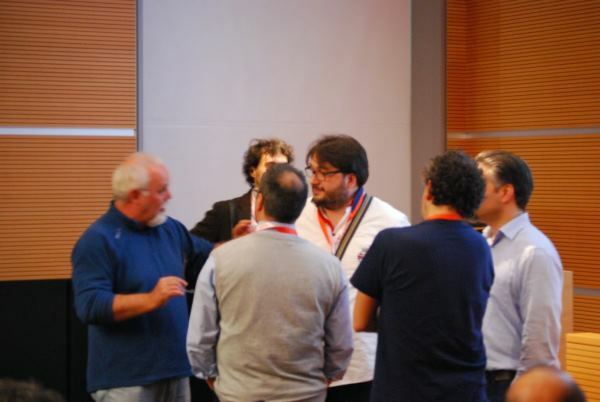 Teamwork is a company that operates within the hospitality industry. 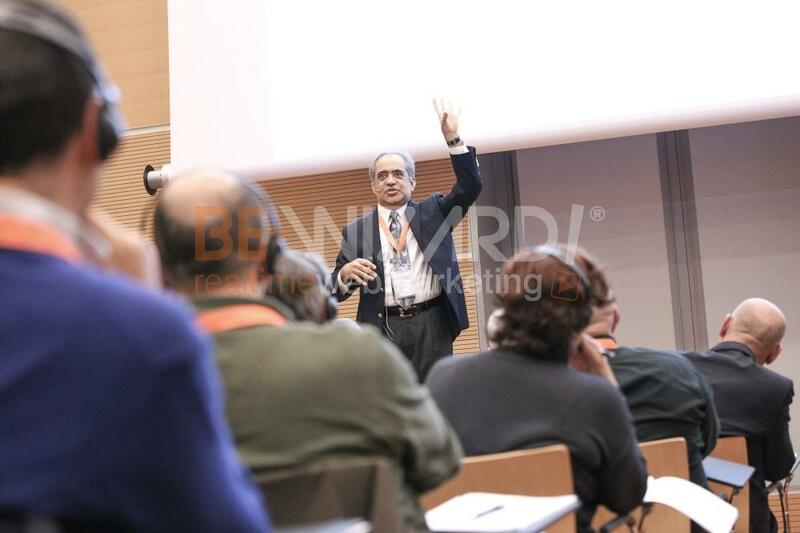 It deals with hotel CONSULTING, corporate training, market research, marketing plans, feasibility studies and BOOKS with publications on marketing and hotel management. 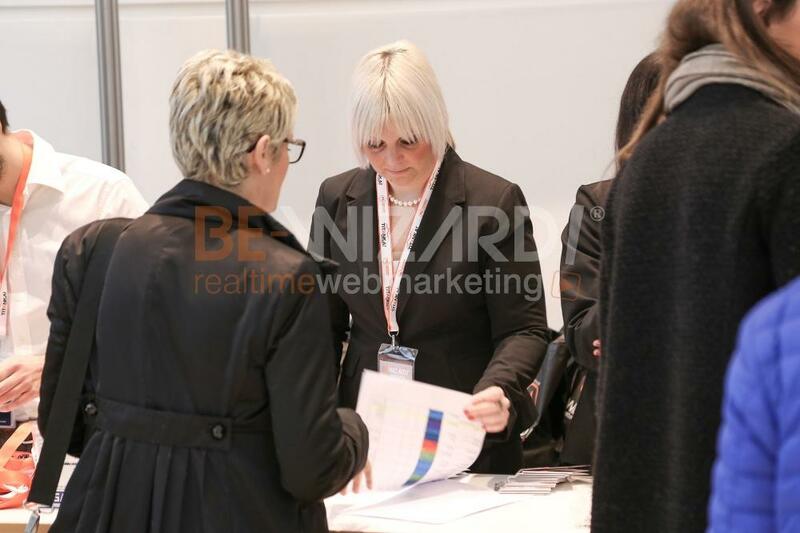 For over fifteen years, it has been providing for those who work in this field the knowledge and experience gained from their consultants. 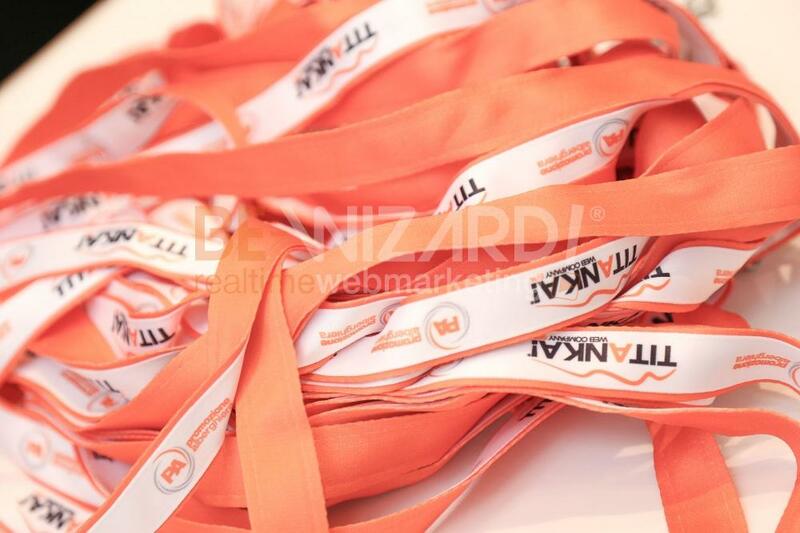 Providing thin plastic cards has never been so ... easy! 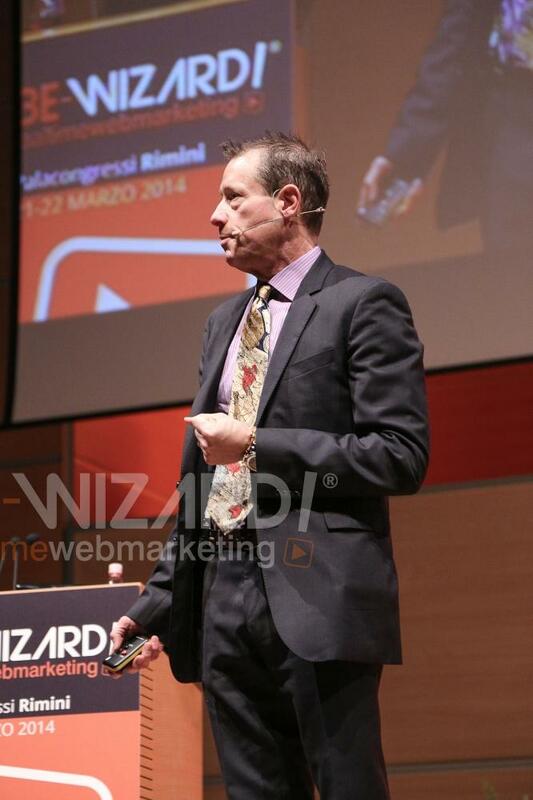 3- You get all of your cards in 48 hours! 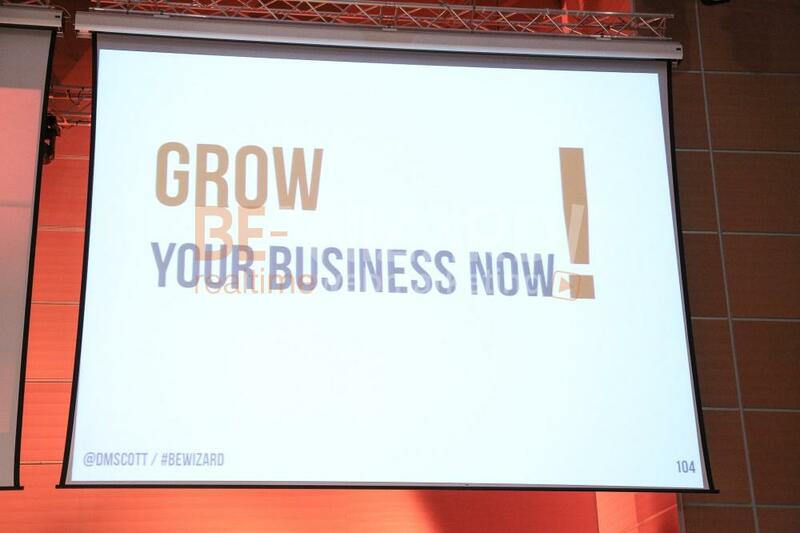 Cardfacile produces thin plastic cards in 1-5 working days and distributes throughout Europe. 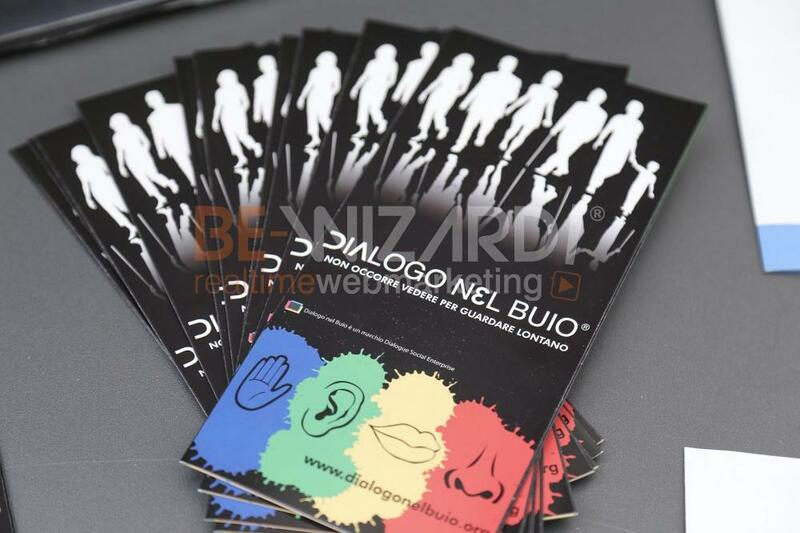 Create now your personalized card with Cardfacile and take advantage of our special offers! 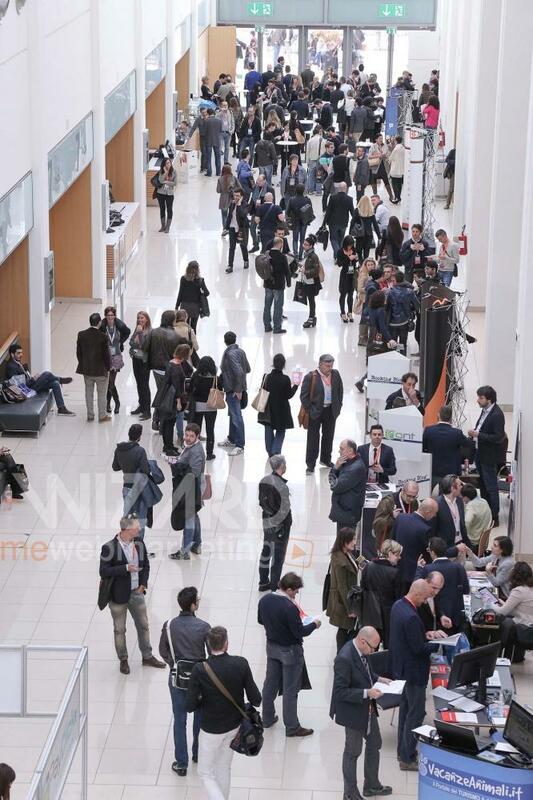 Master Meeting, the leading magazine in business tourism, is the favorite read of the companies' decision makers that want to keep updated on the new trends of this market and on the top-quality accommodation solutions. 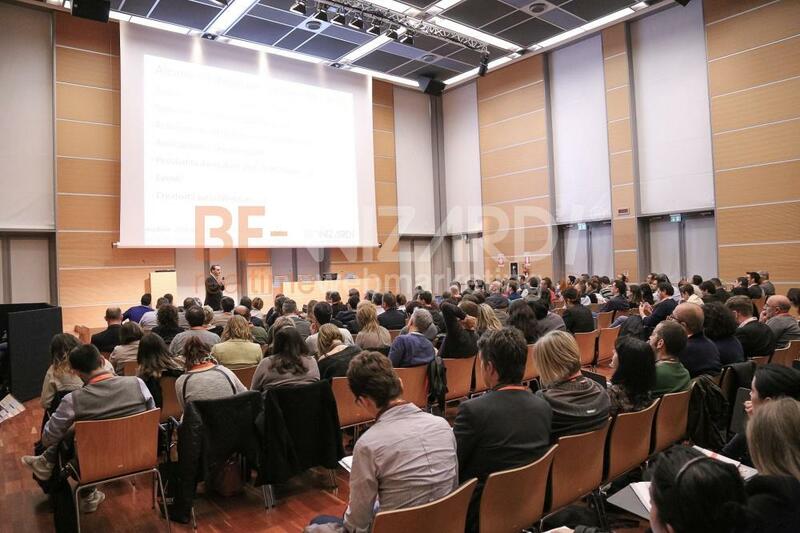 Its mission is to establish an excellence network in Italy, promoting the contacts between the high-end hospitality and the firms looking for an appropriate location for their events (meetings, incentives, conventions, workshops and presentations). 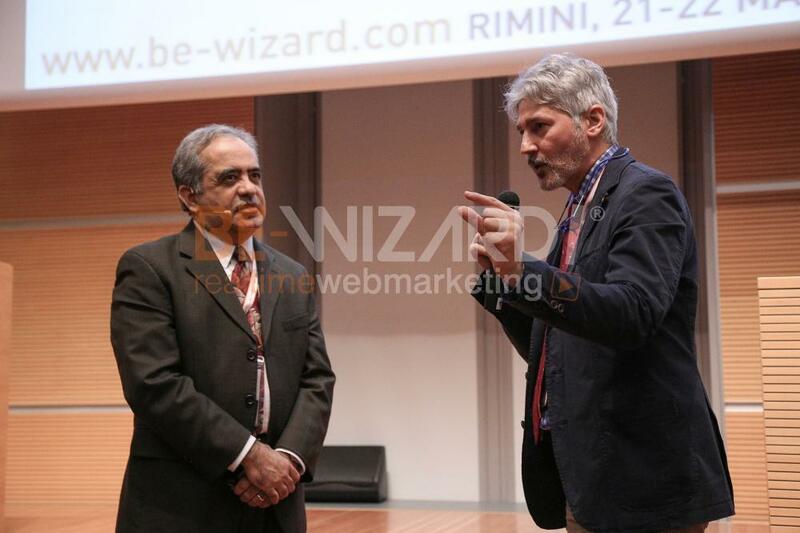 The greatest musical successes of the past and present, the friendliness and spontaneity of its own hosts, information widely linked to the area, the organization and production of entertainment events of great appeal, prestigious partnerships and special attention to the world of sports – they all represent the winning combination that has allowed for Radio Bruno’s exponential growth over the years and the constant acquisition of new frequencies. 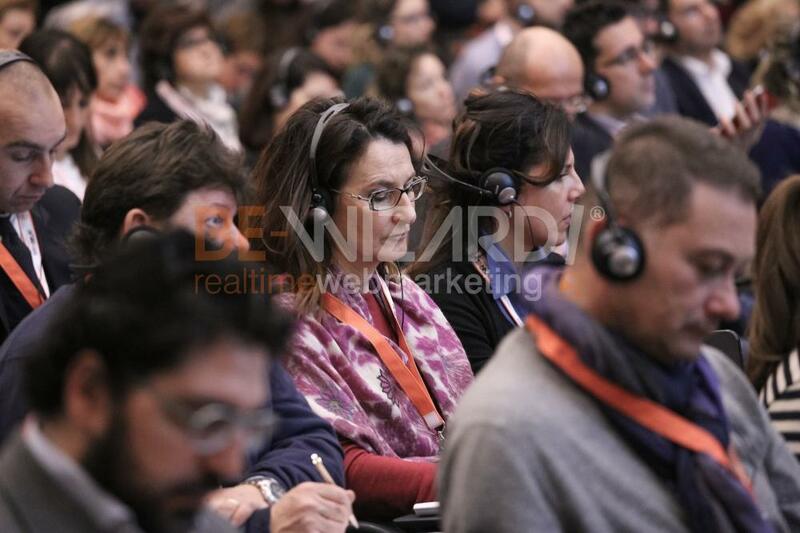 On www.radiobruno.it, it’s possible to discover the station’s event calendar and main events. 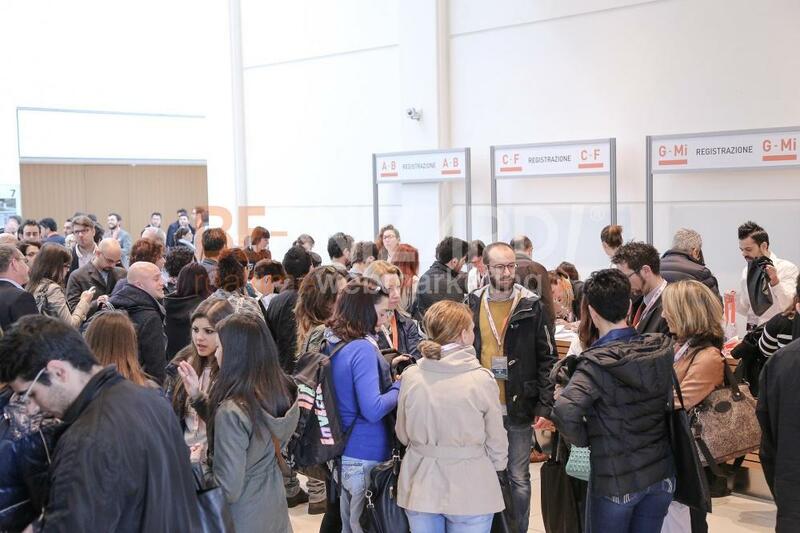 “TTG Incontri” is the most important Italian trade fair and the most frequented by national and international tourism professionals. 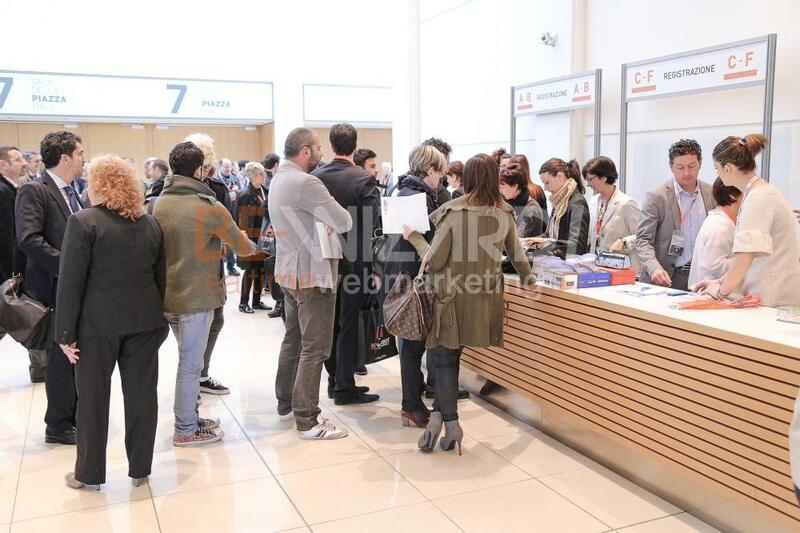 It is the fair with the highest number of countries represented: more than 130 destinations. 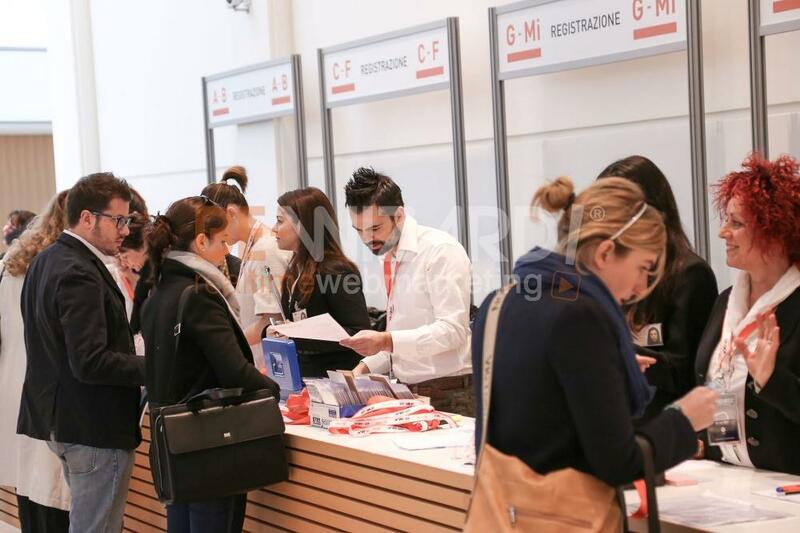 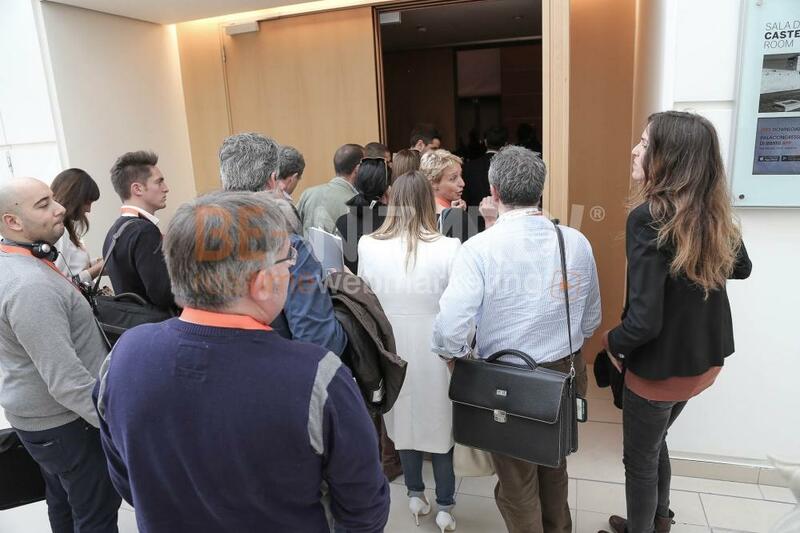 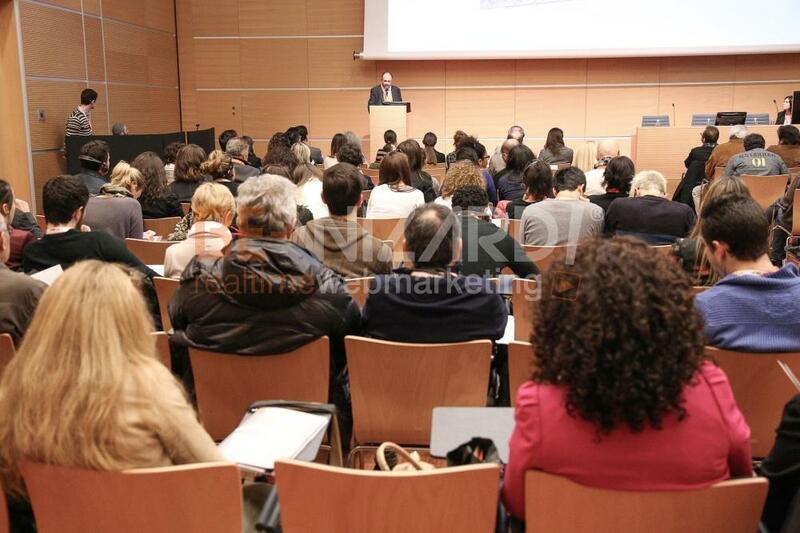 For the Italian commercial mediation it is the only opportunity to meet, in one fell swoop, all the most important world suppliers of tourism products: “TTG Incontri” is the fair with the highest number of travel agencies present. 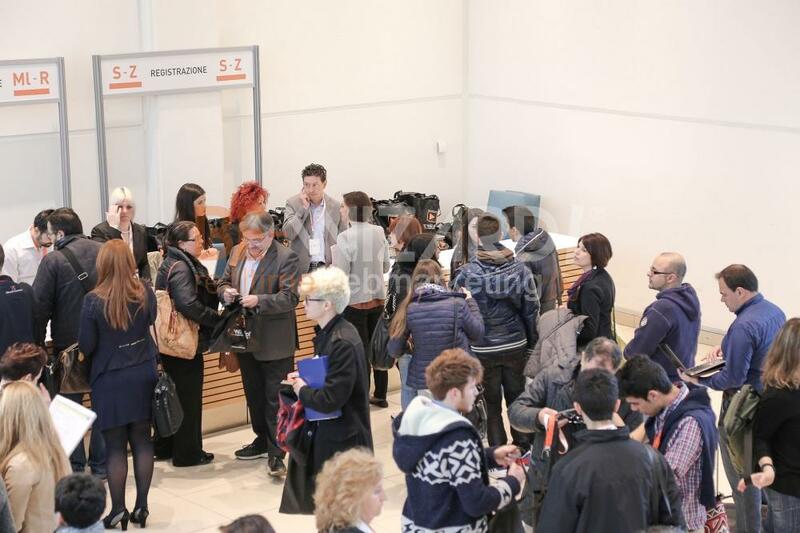 “TTG Incontri” is held simultaneously with Sia Guest, the International Hospitality Exhibition, and Sun, the Outdoor Exhibition: an innovative formula that concentrates in a single location and in three days all the products for tourism, hospitality and leisure, thus creating effective networking opportunities between those who create the product and those who distributes it. 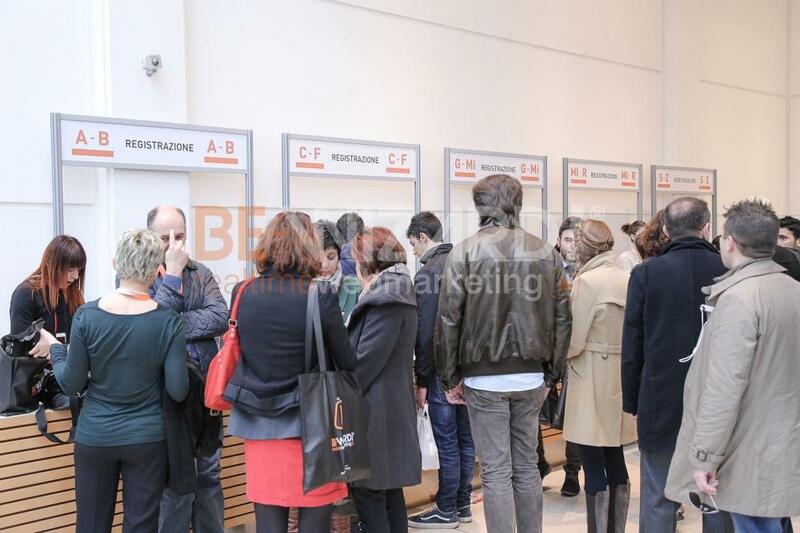 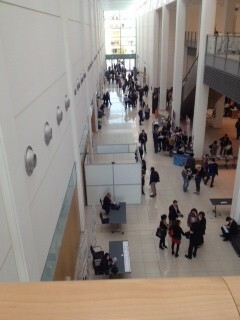 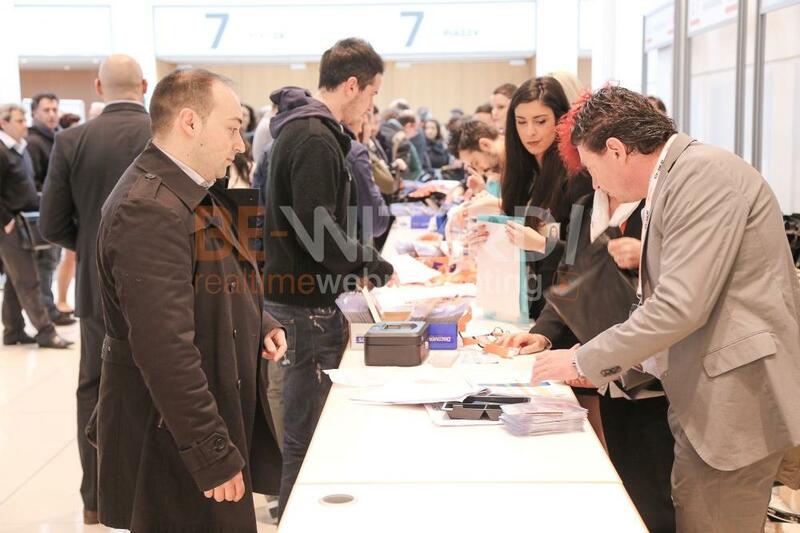 TTG Incontri is organized by Rimini Fiera (Rimini Fair). 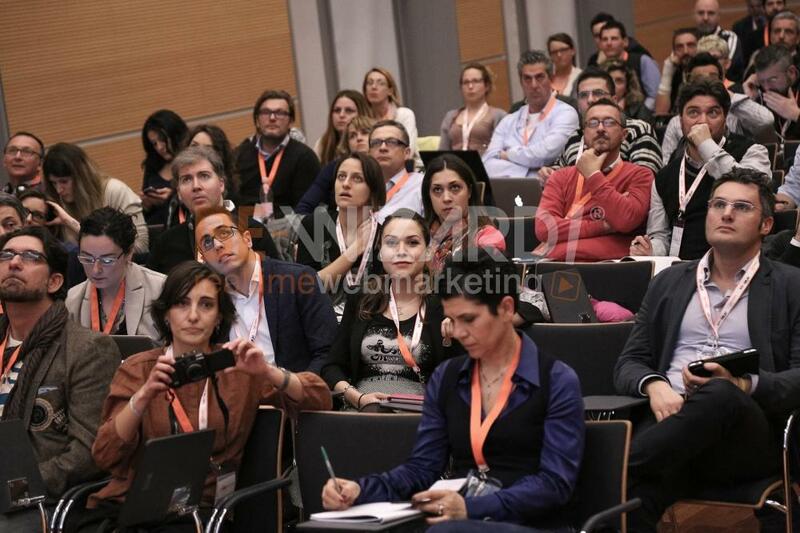 TVN Media Group is a publishing group and a key player in the advertising, marketing and new media sectors. 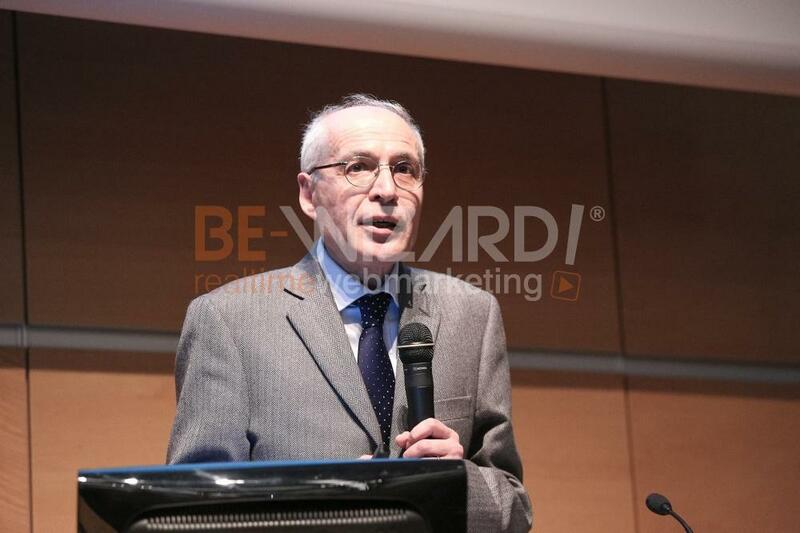 Publisher of titles such as Pubblicità Italia (Italian Advertising), ADV Strategie di Comunicazione (ADV Communication Strategies), Today Pubblicità Italia (Italian Advertising Today), L’Annual (The Annual); of the sites, MyMarketing.Net, Televisionet.Tv and toBEmagazine.it; creator of international awards in the communication world: InternationalGrandPrix Advertising Strategies, Brand Identity GrandPrix and InternationalEvents & Relational Strategies GrandPrix. 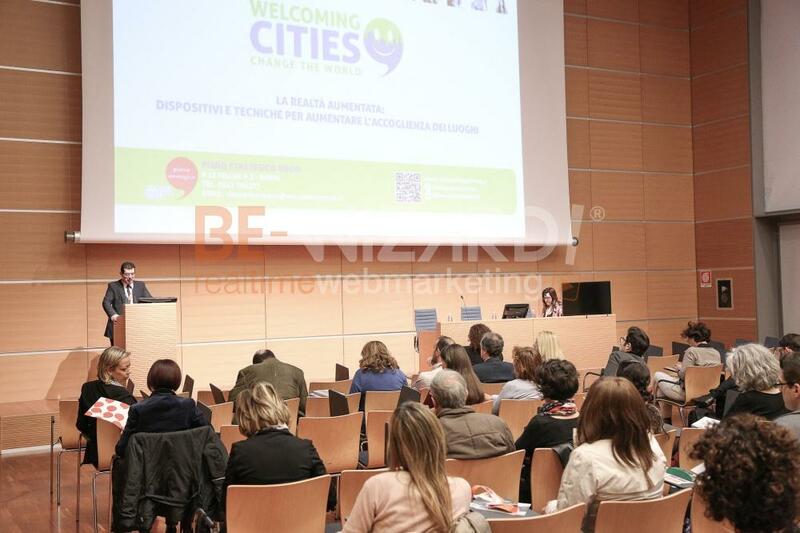 Altarimini.it is the online information portal for Rimini and its province. 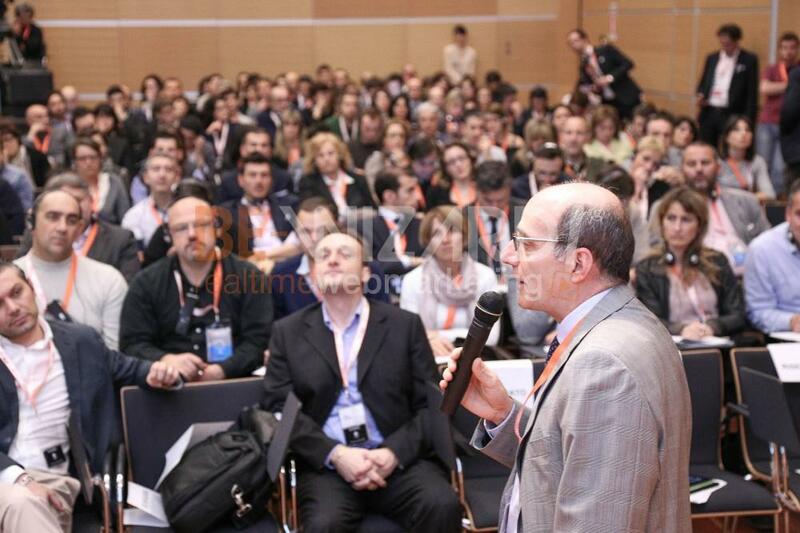 On Altarimini.it you will find up to date news that offers readers further information and informative multimedia coverage that is complete and timely. 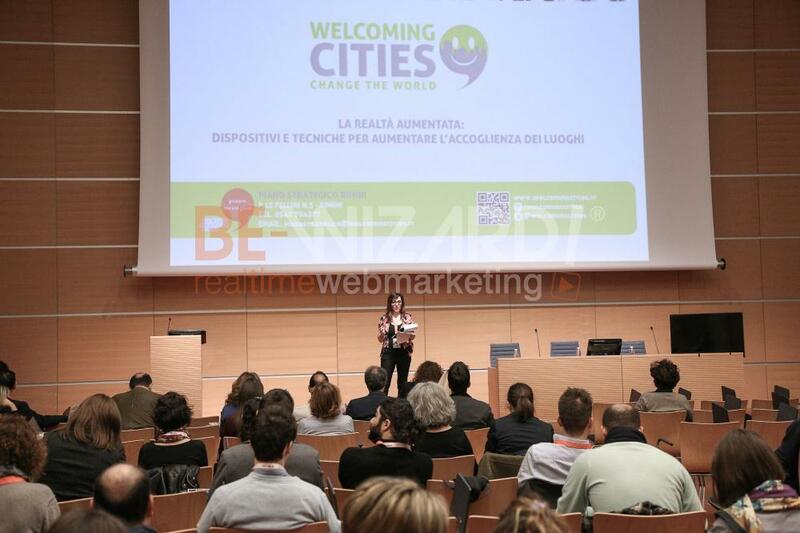 Altarimini is also available as a mobile version and an app, so that you won’t miss any updates about our city! 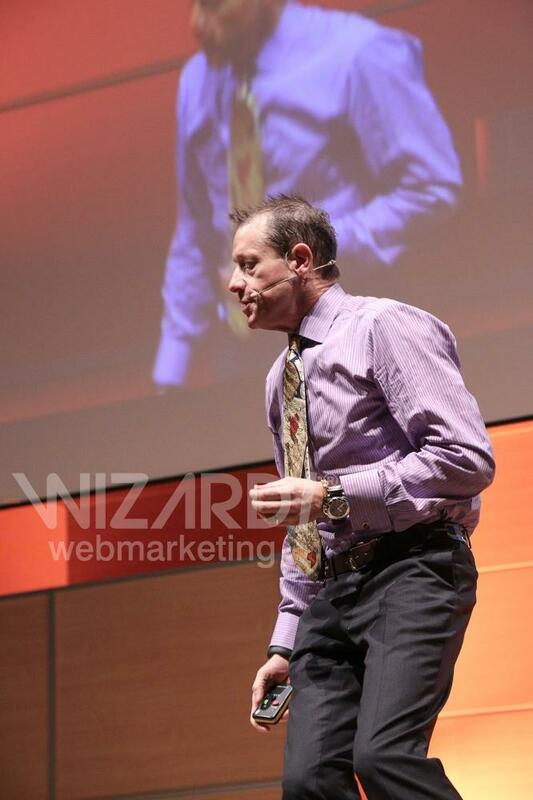 Sociable, curious, dynamic and smart. 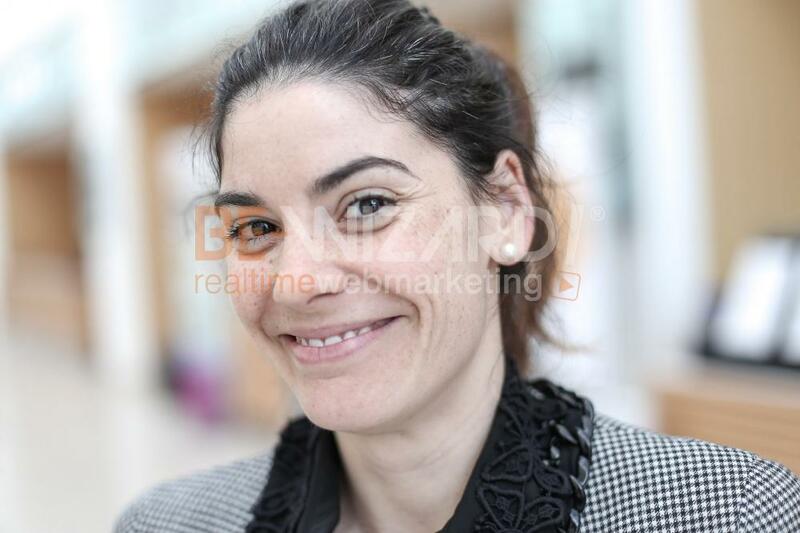 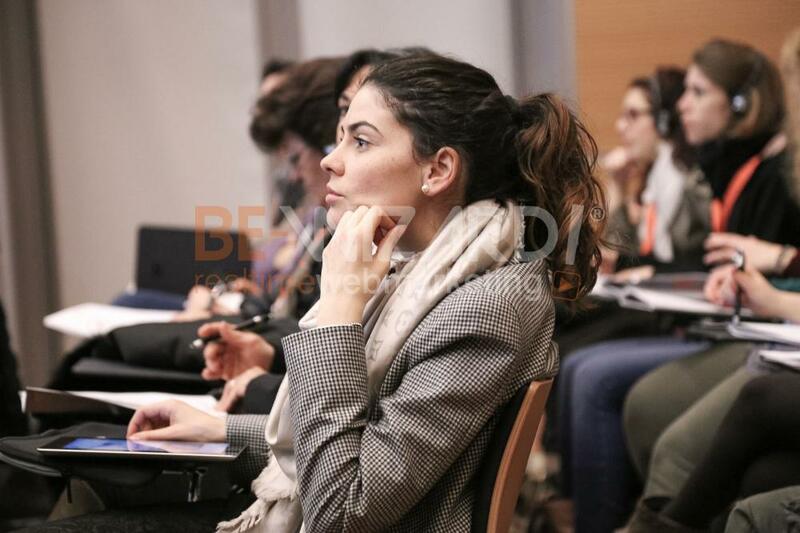 Sabrina is a freelance professional who provides strategic consulting services to public institutions, private companies, shows and major events, by managing external relations with stakeholders and the media. 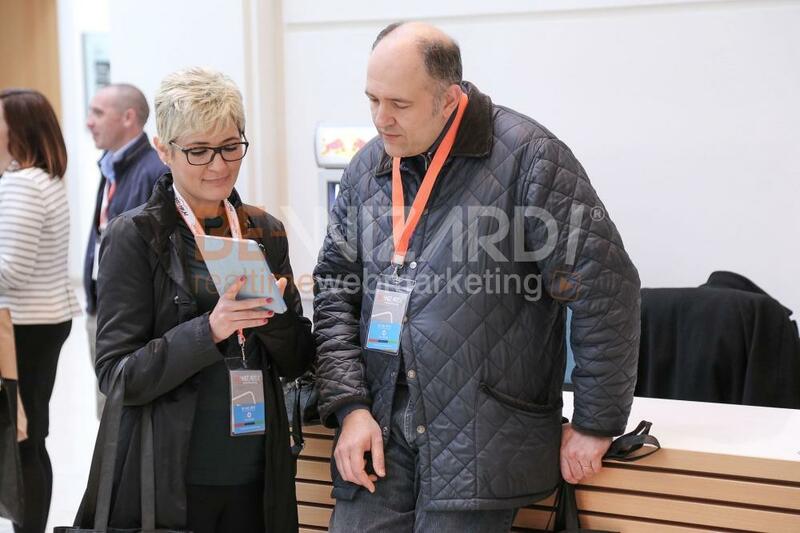 Press office management and PR are her main areas of activity, in addition to the preparation of texts for corporate use and management of official social profiles. 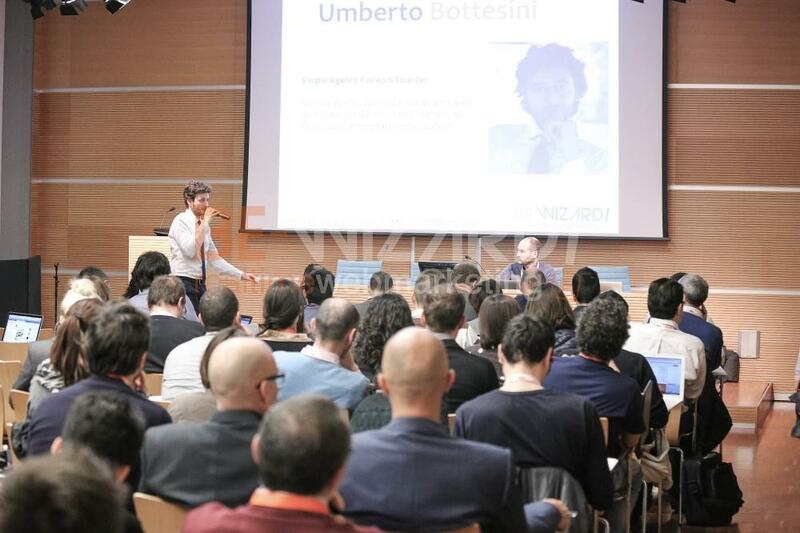 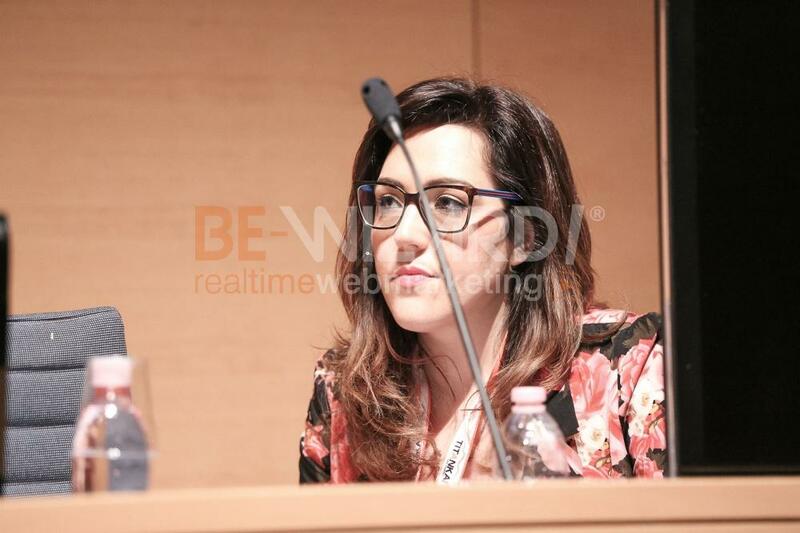 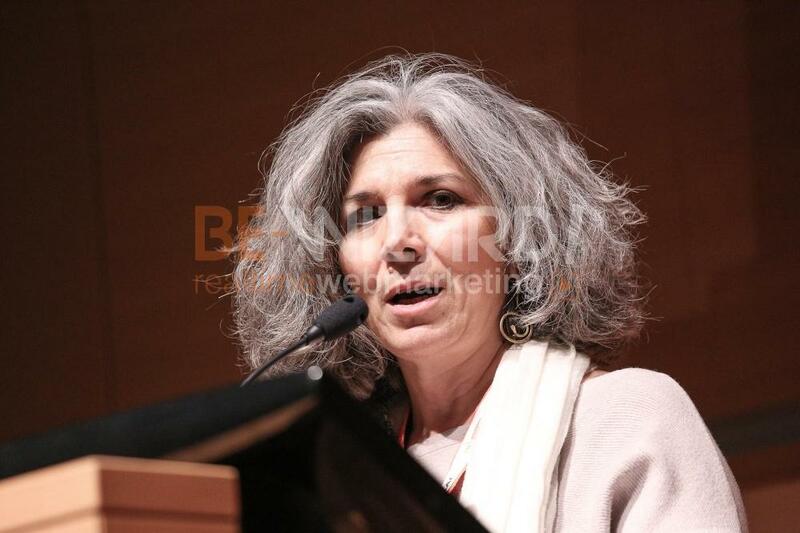 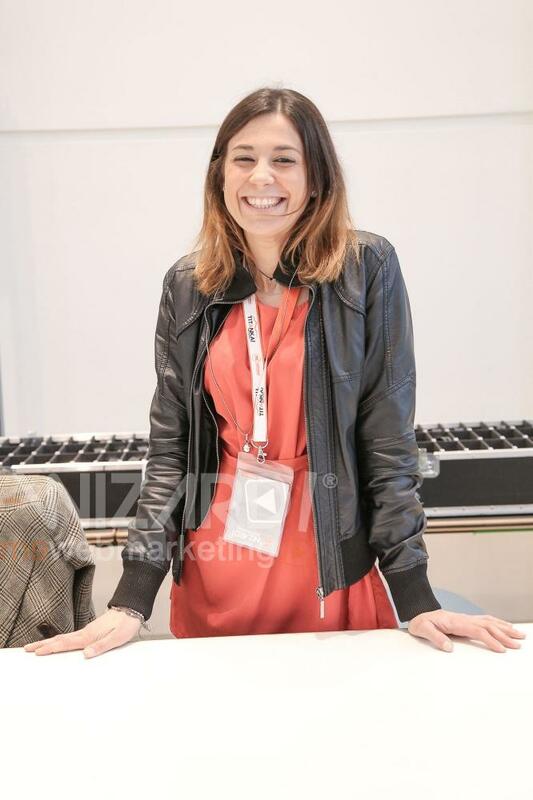 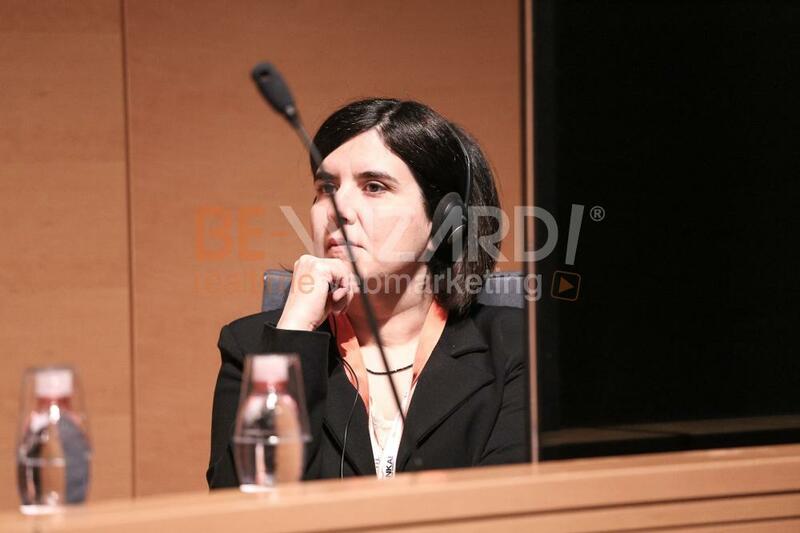 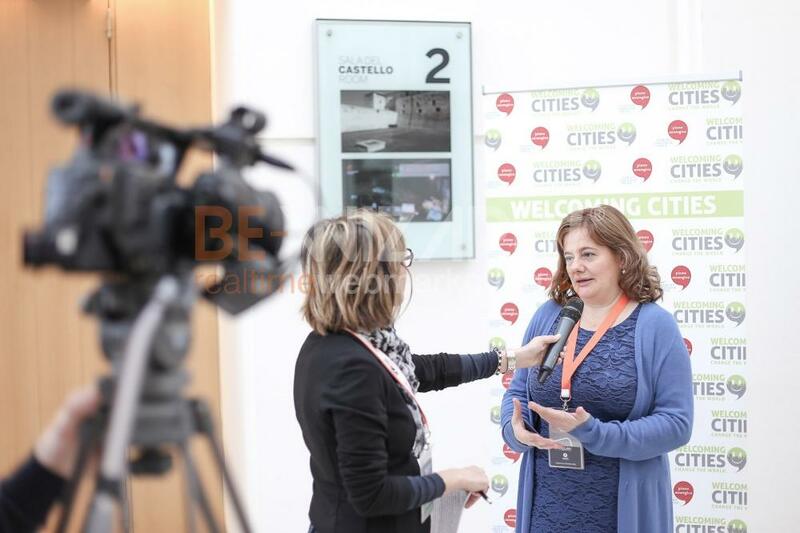 She has been registered at the ODG Emilia Romagna since 2006 and has carried out editorial collaboration activities with local and national newspapers. 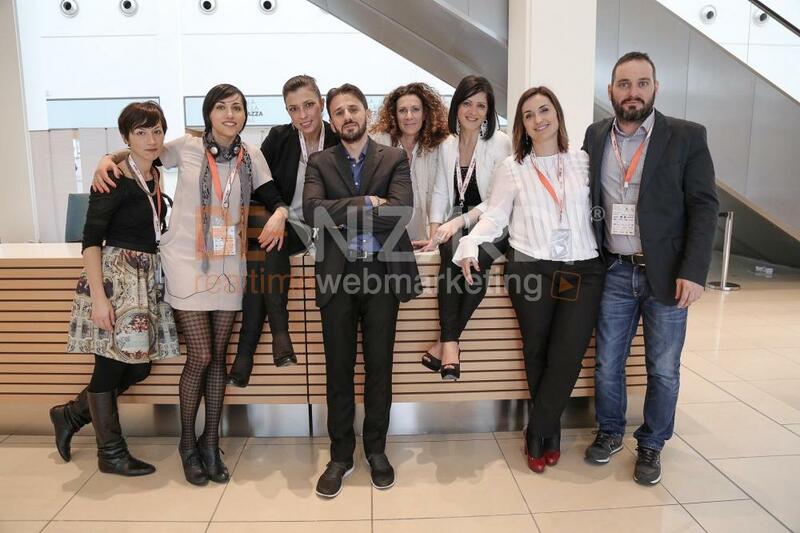 ShinyStat™ is the professional analytics platform which is leader in Italy and has been accredited by Audiweb for the certification of Internet traffic. 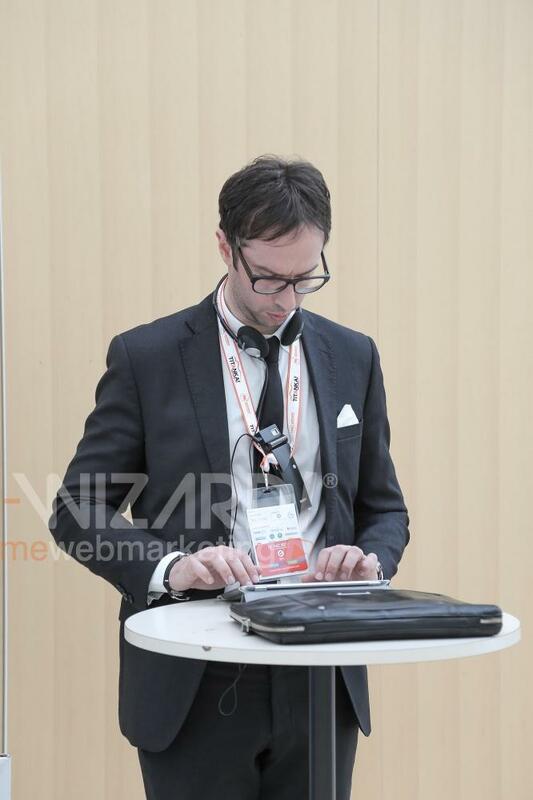 It is the only platform currently able to detect and process data instantly without storing log files on ones server. 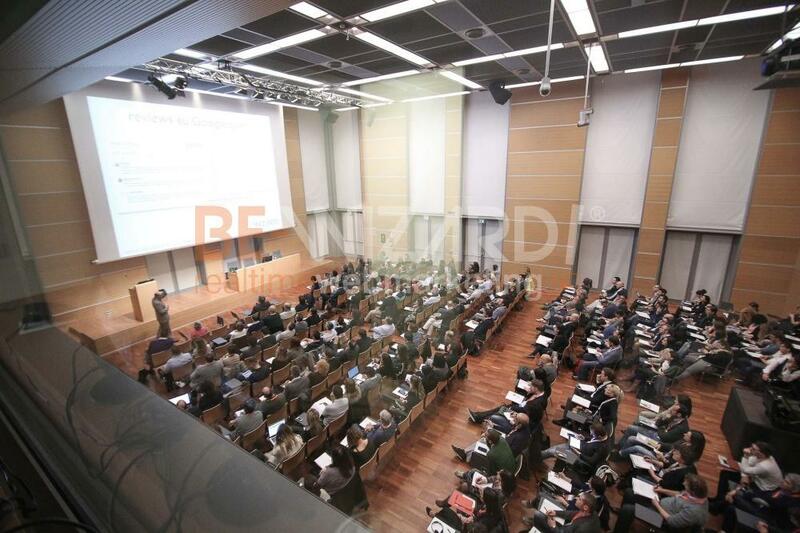 This is why it represents an essential support for those who want to measure efficiency of their online investments and with the utmost respect of Privacy regulations regarding net users. 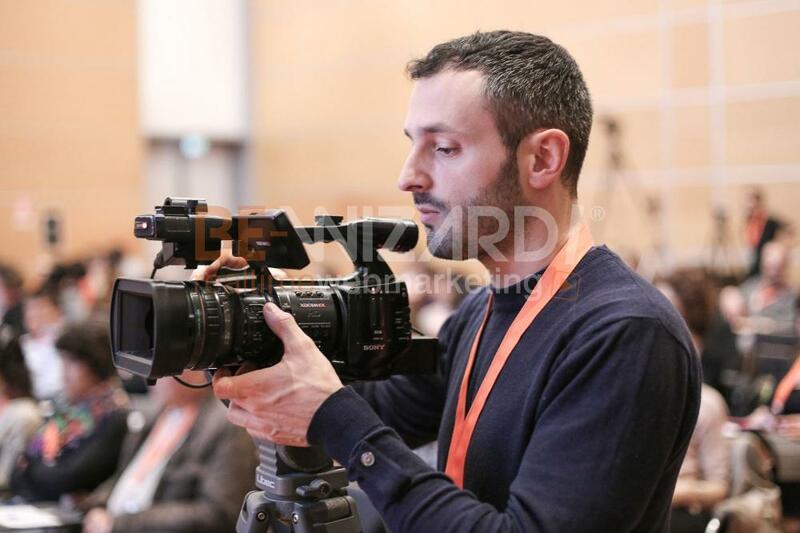 ShinyStat™ stands out because of its special all inclusive service which is a complete package for the analysis of digital traffic that integrates Web, Mobile and Video Analytics. 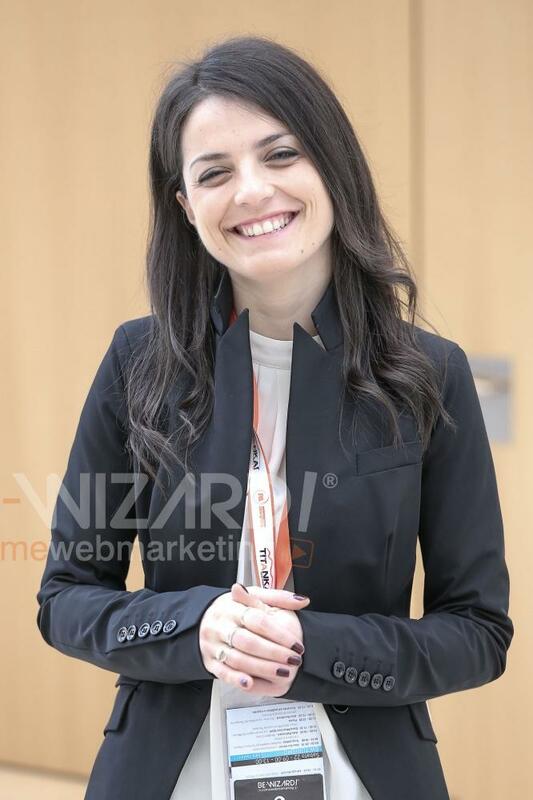 The high level of flexibility of the platform makes ShinyStat™ the ideal partner for leading companies who require customized services for Web Analytics design.